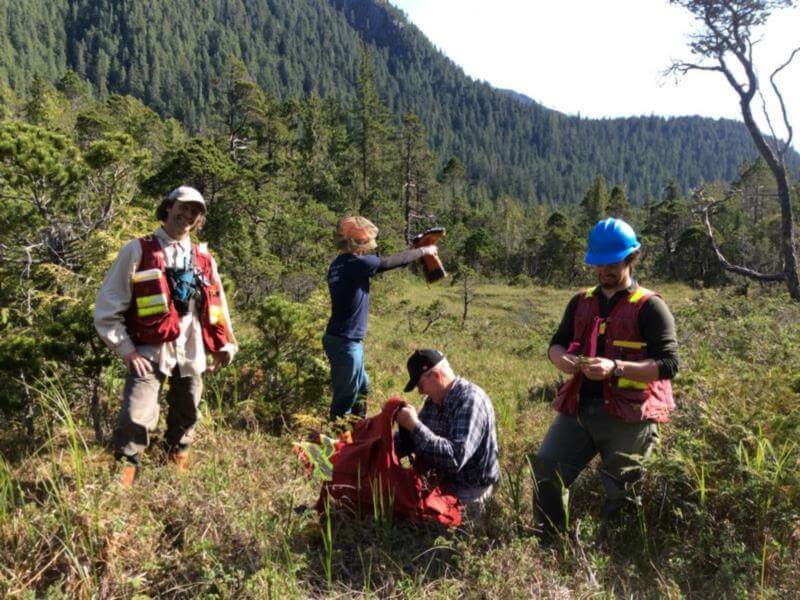 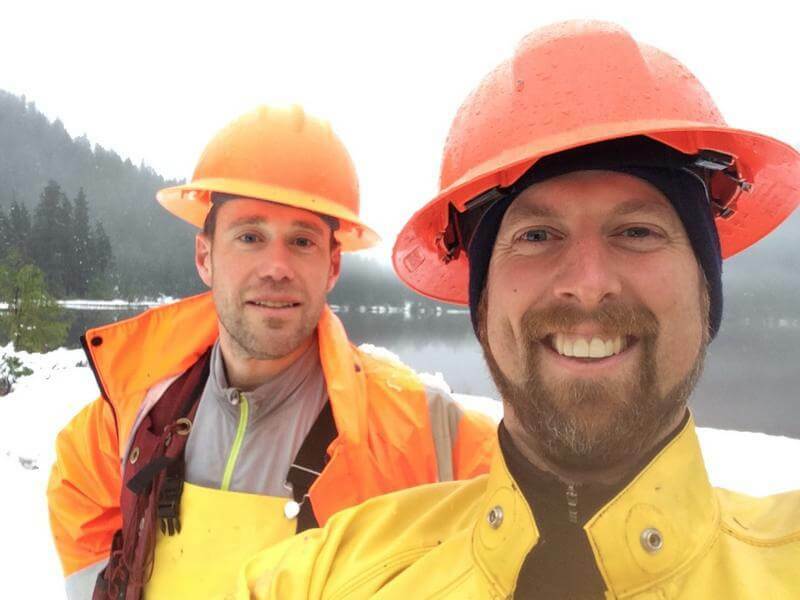 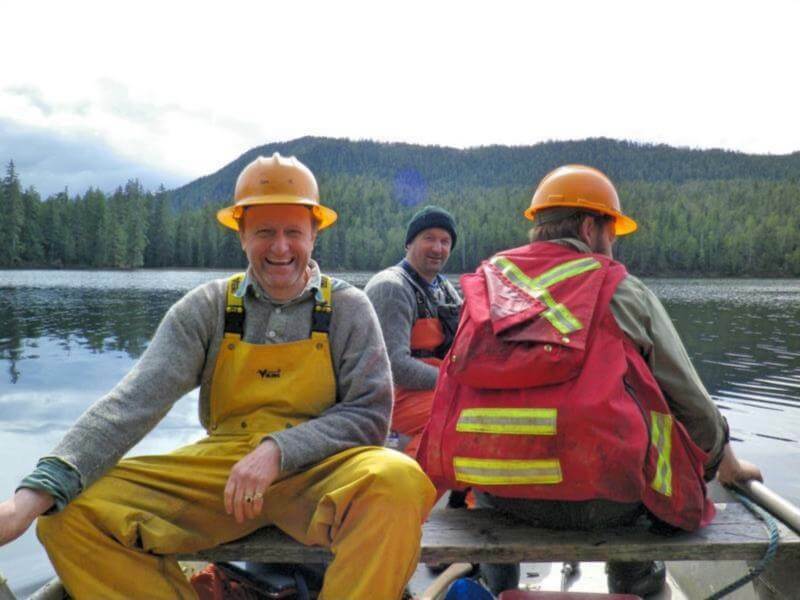 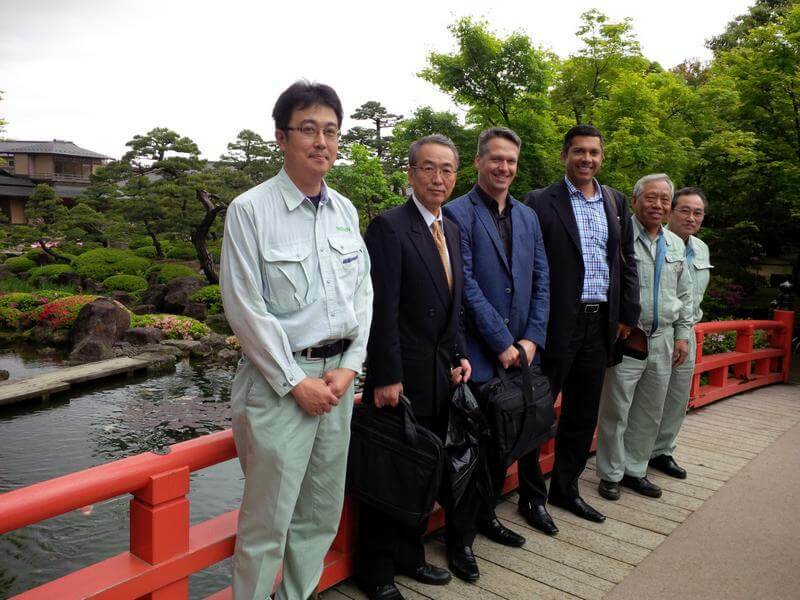 Our planning and engineering group approaches the management of each license differently depending on a multitude of variables which may include: Client Values, Species Profile, Old Growth vs Second Growth, Geography, Degree of Isolation, Cultural and Social Values, to name a few. 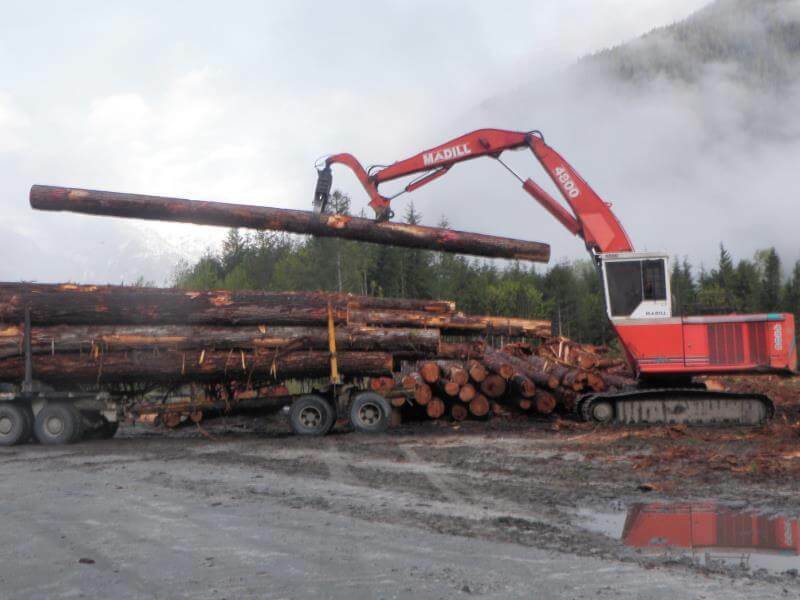 Based on these variables we will design a harvesting program that not only matches the highest end users (Customers) with the timber profile, but will also deliver the logs to the market at the right time. 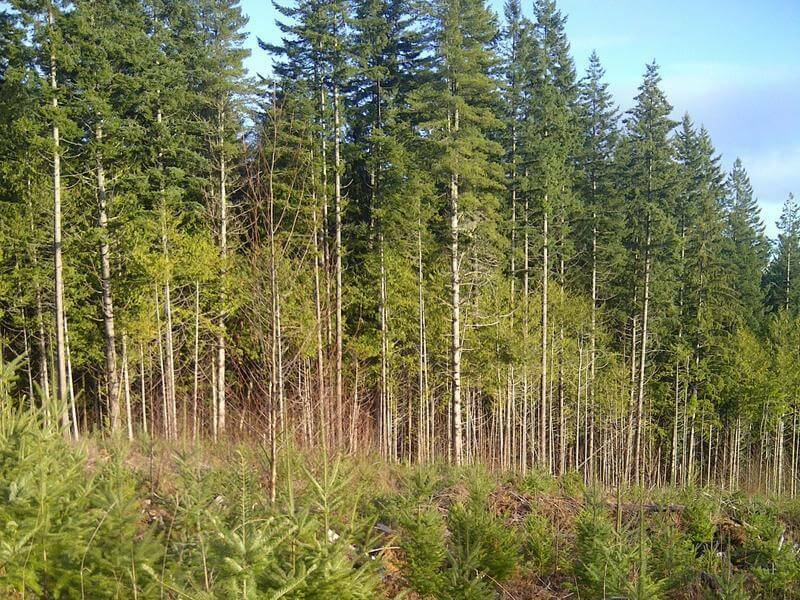 ​ Forest Stewardship Plans – constructed to meet governmental legislative requirements and the management needs of the client to provide the guiding principles of license development and management. 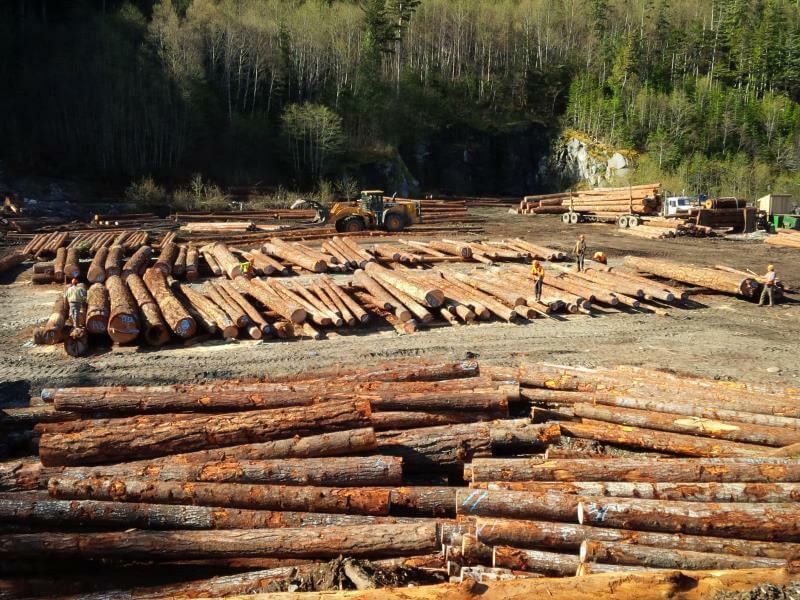 ​ Five, ten or as far out as twenty year harvest planning forecasts – these plans identify the timber opportunities available within a license for all market conditions. 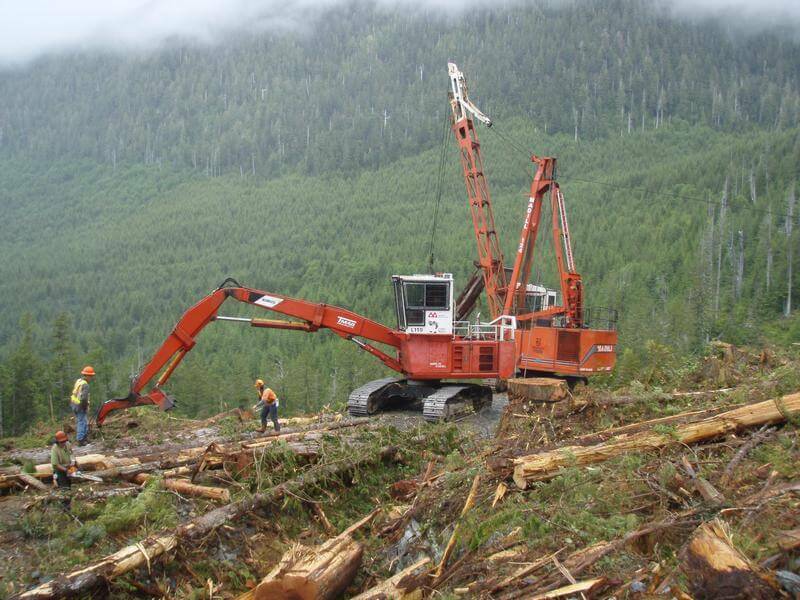 ​ Efficient Harvest Block Design – matches timber value with maximum logging chance efficiency i.e. 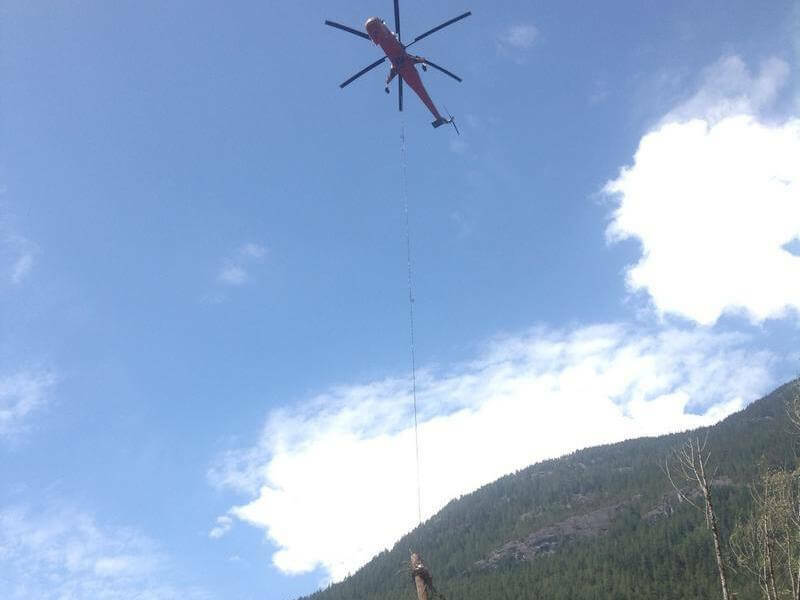 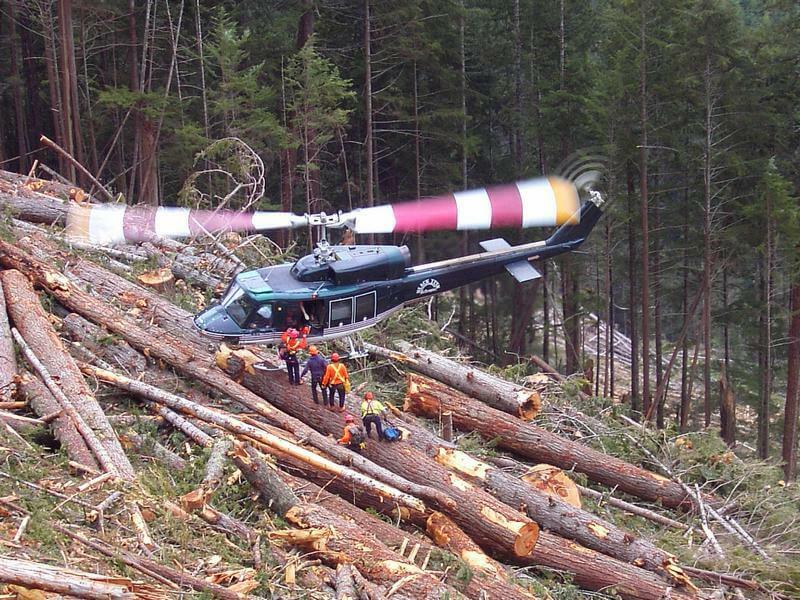 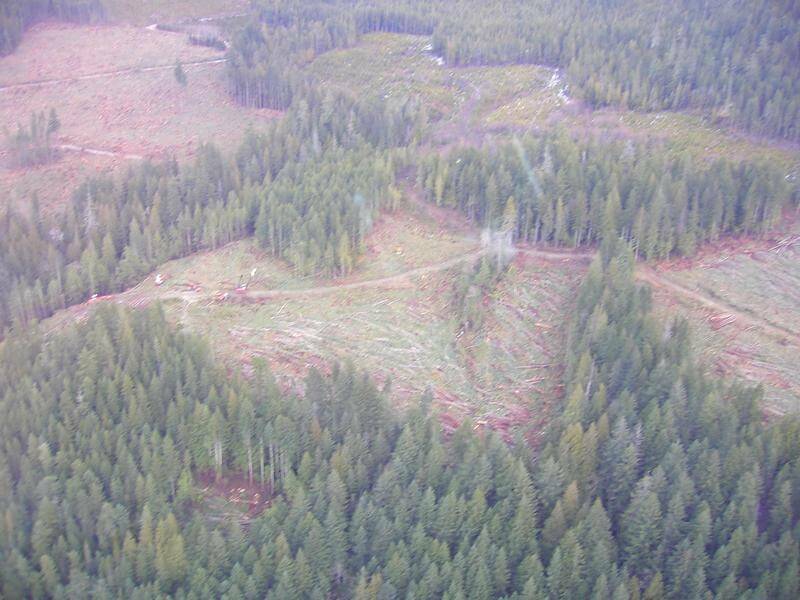 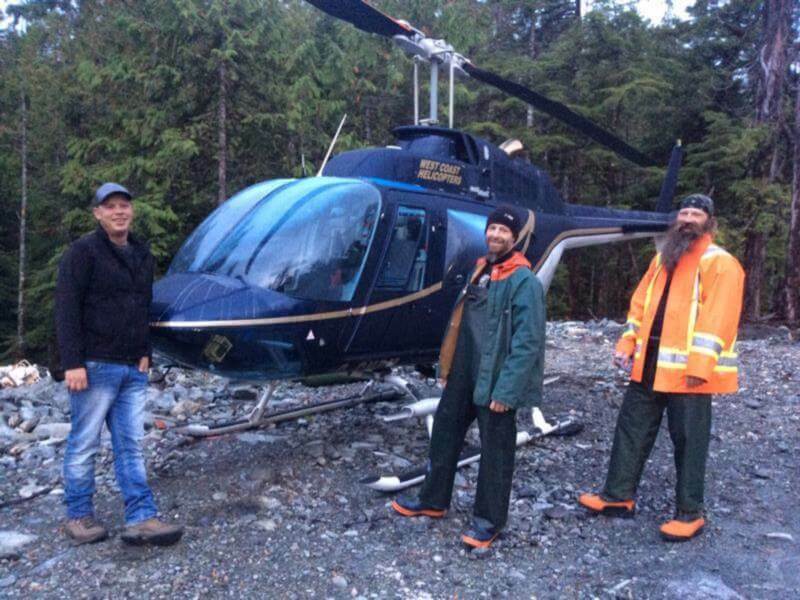 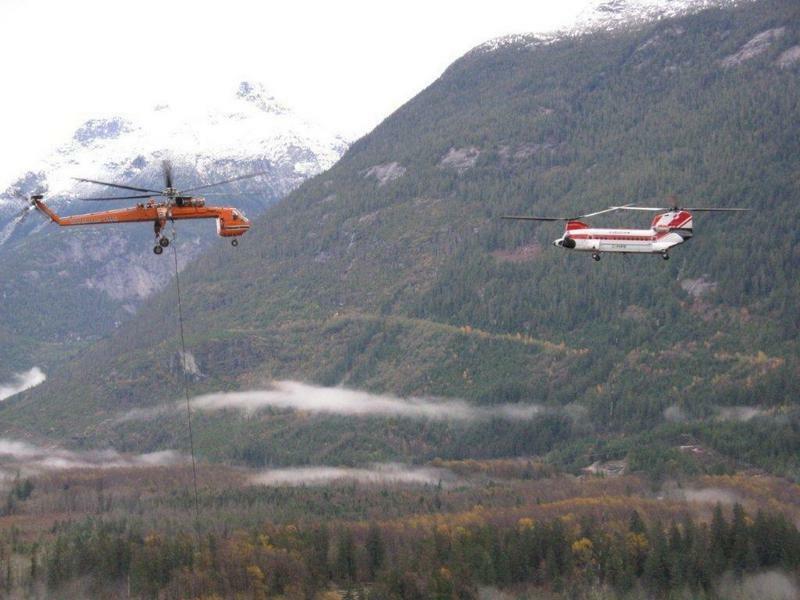 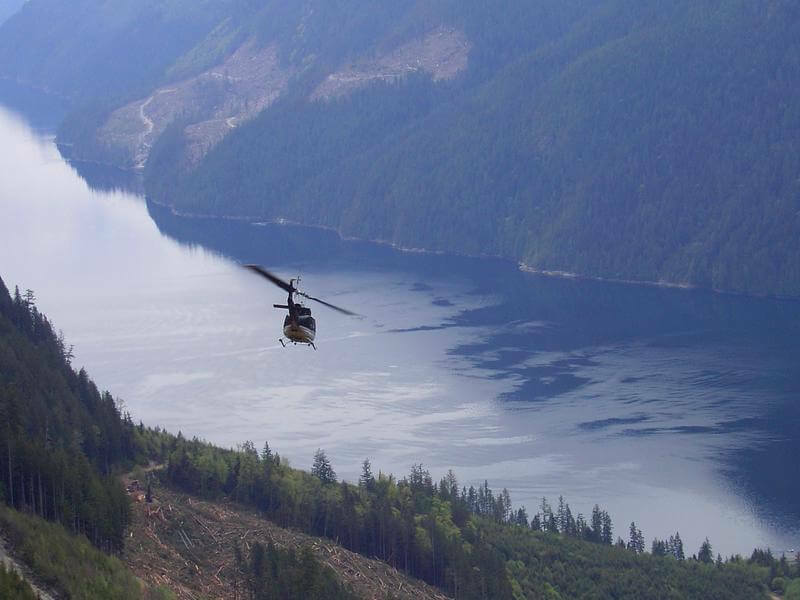 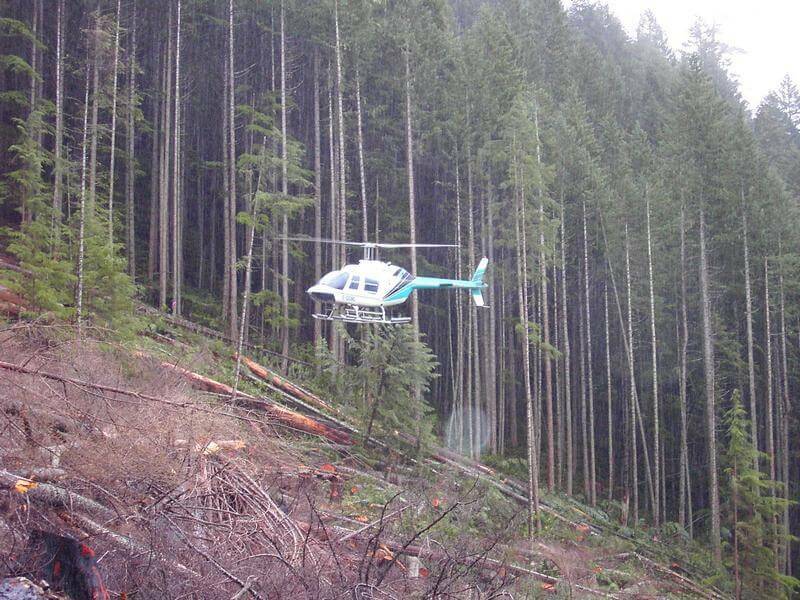 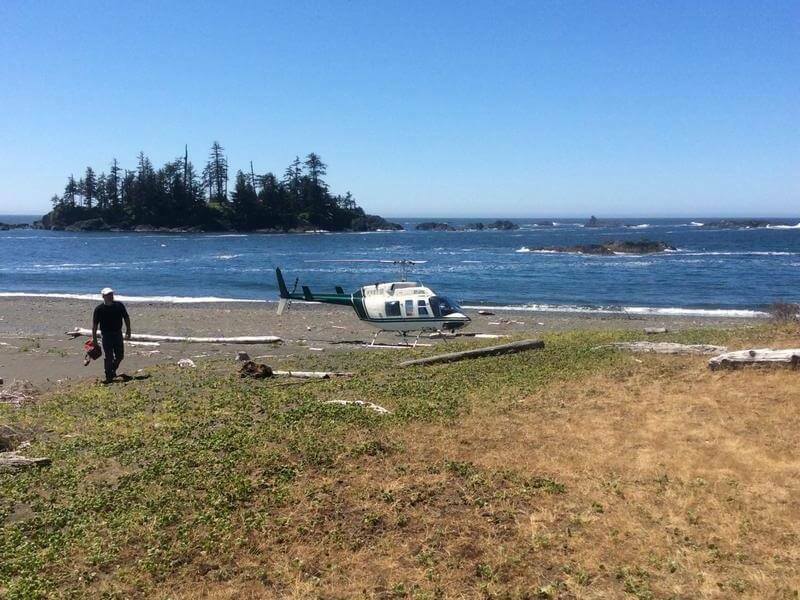 helicopter vs conventional logging. 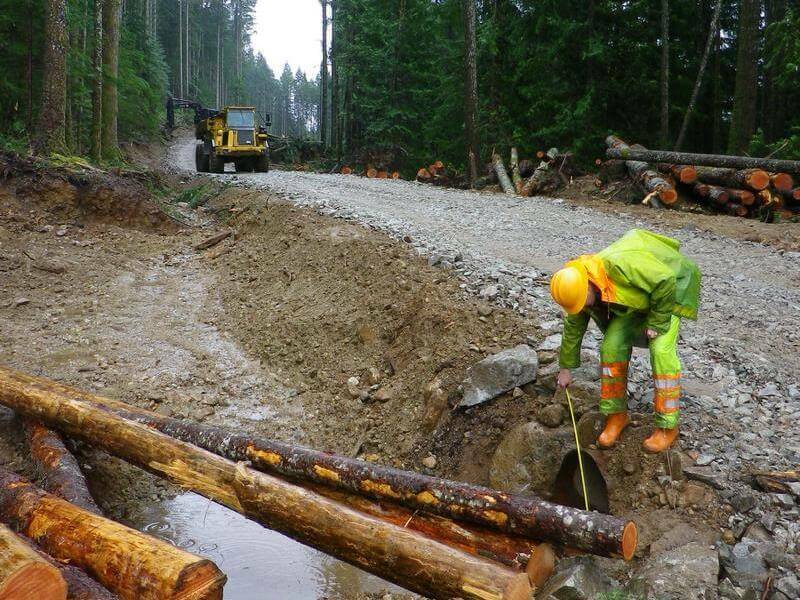 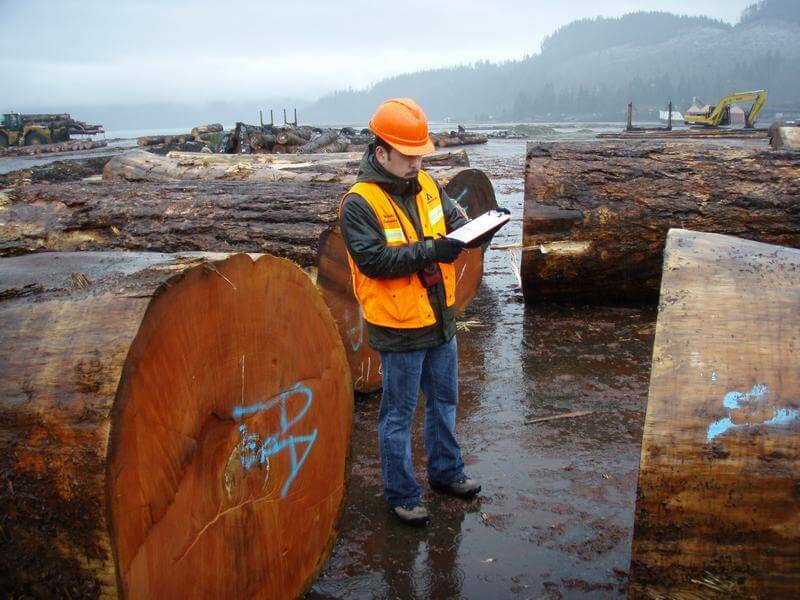 ​ Timber Evaluation – Before any road-building or logging contracts are signed, we will review the value of the timber based on forecast market condition to ensure there is a reasonable profit margin once all the costs are considered. 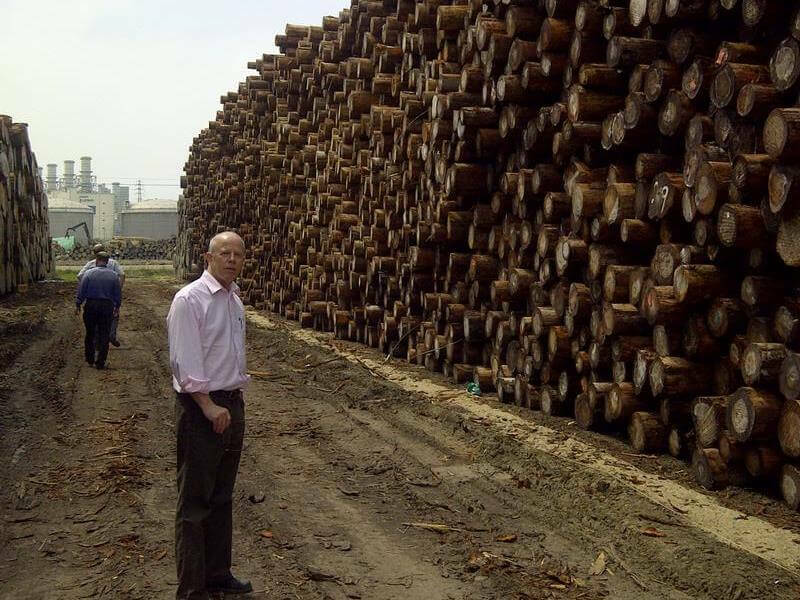 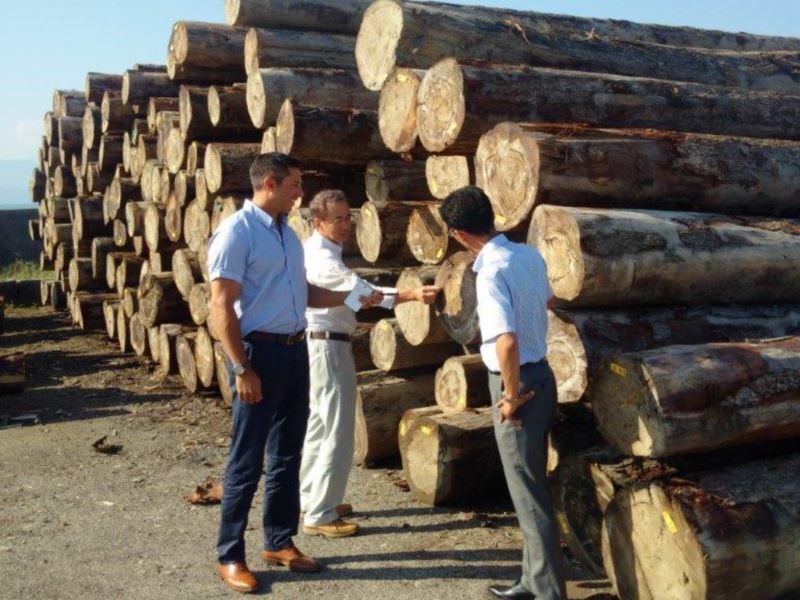 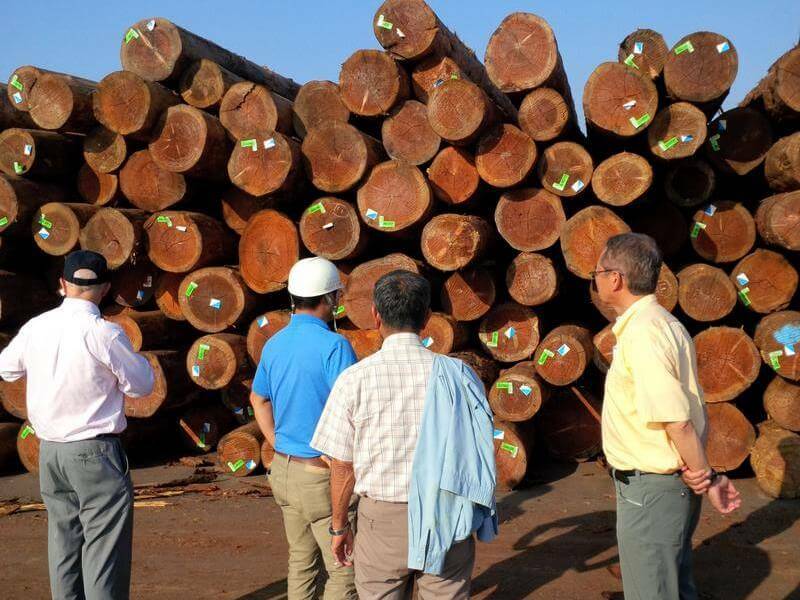 At this point we review the marketing plan for the exact timber profile being harvested in order to ensure that the highest end use and highest value is being achieved for the various log qualities. 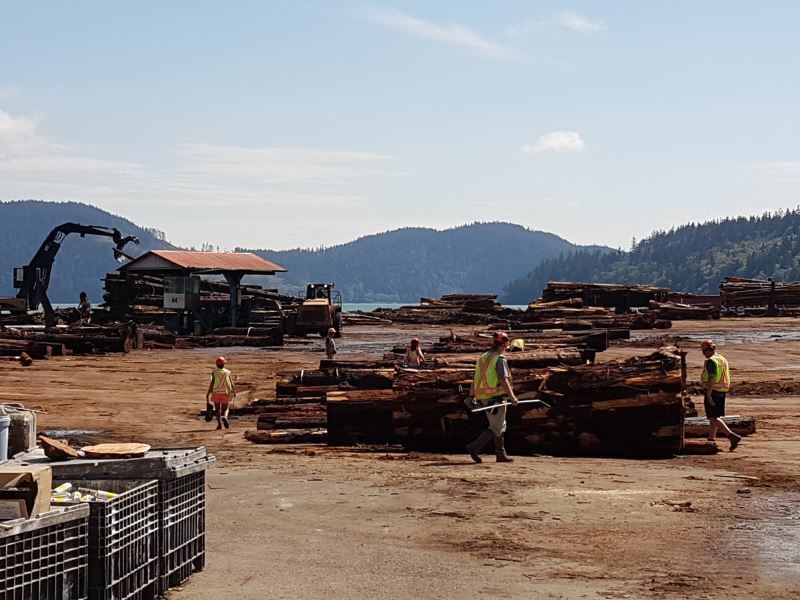 ​ Customer Identification – Once a project is in the 'go' position our log supply team will begin arranging delivery plans with potential customers to ensure efficient sales cash flow back to the project as the volume is produced. 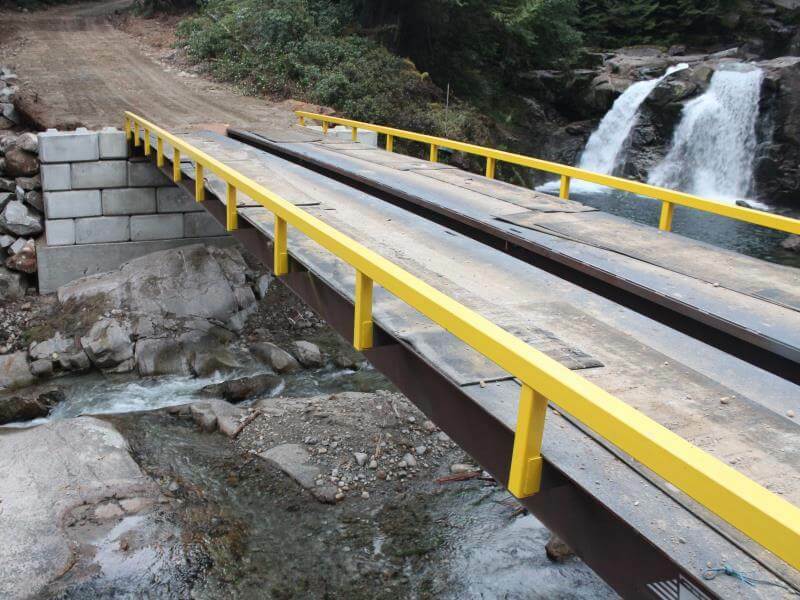 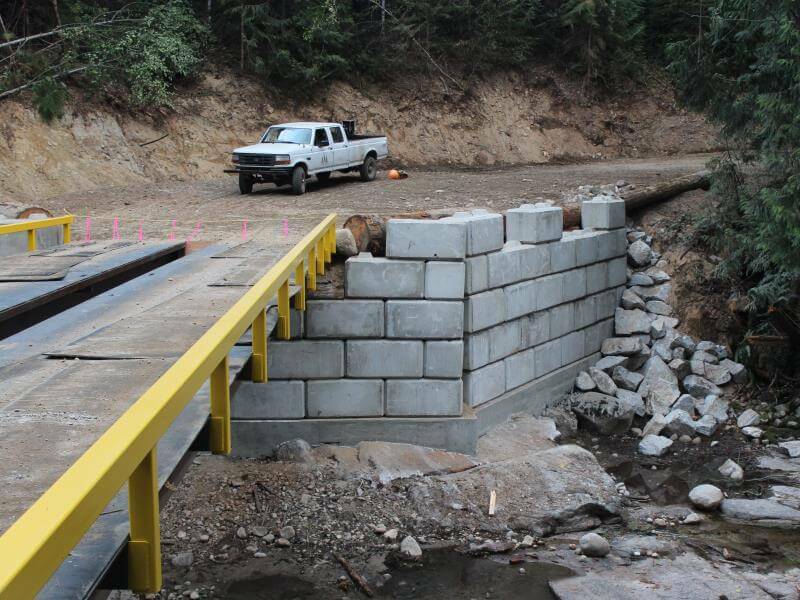 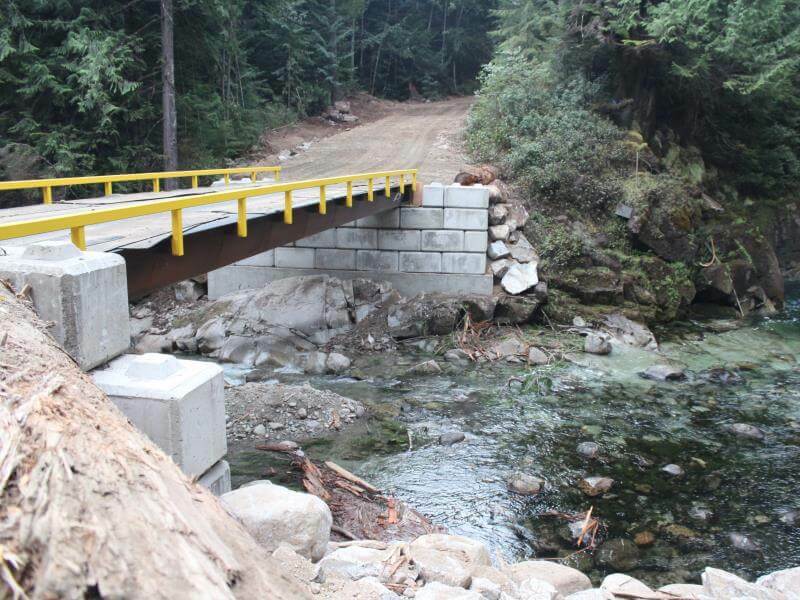 We offer bridge building and design, road building and design along with construction and management services such as road maintenance. 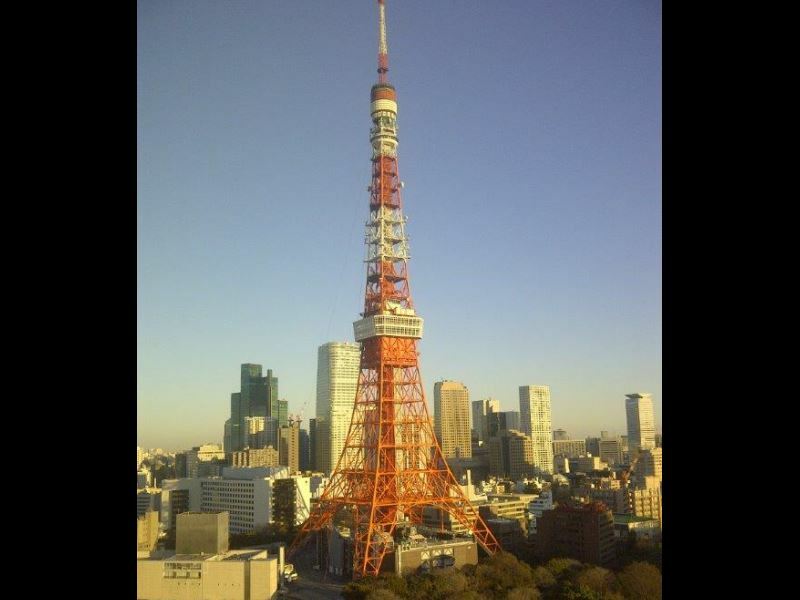 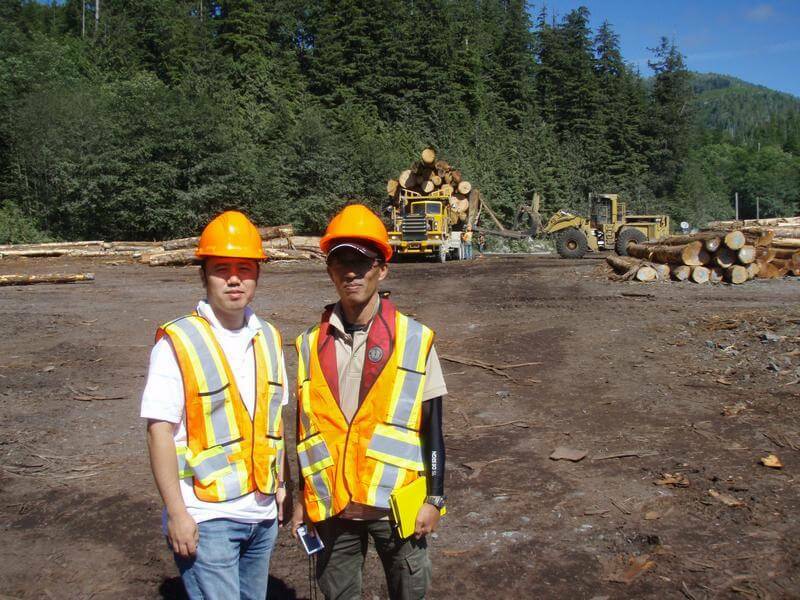 We adhere to stringent environmental protocols with all of our projects. 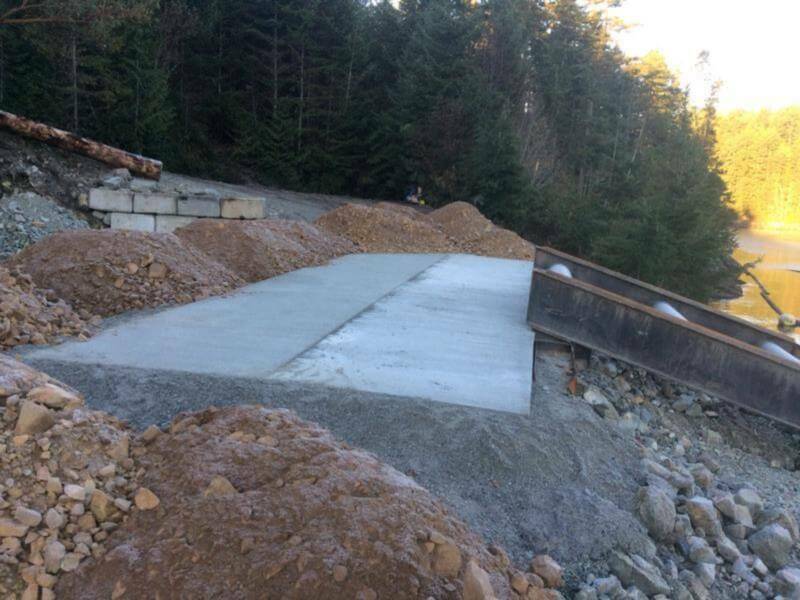 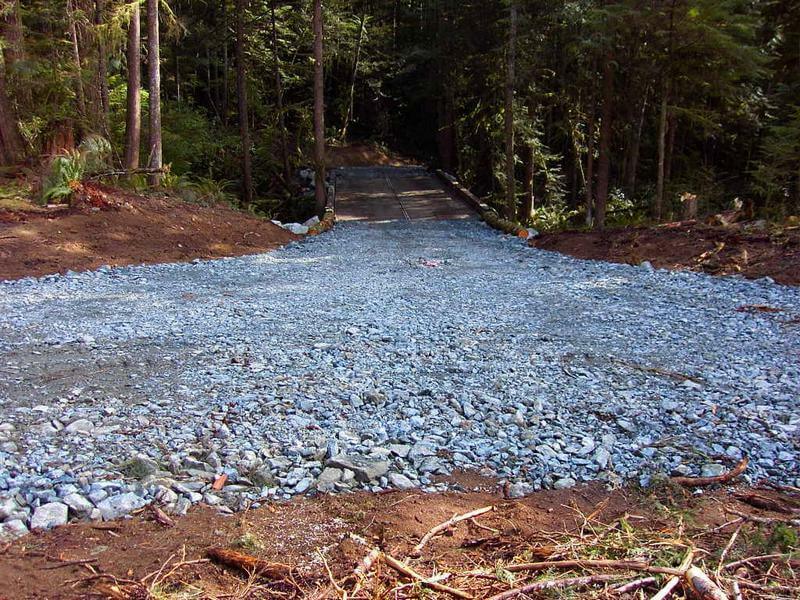 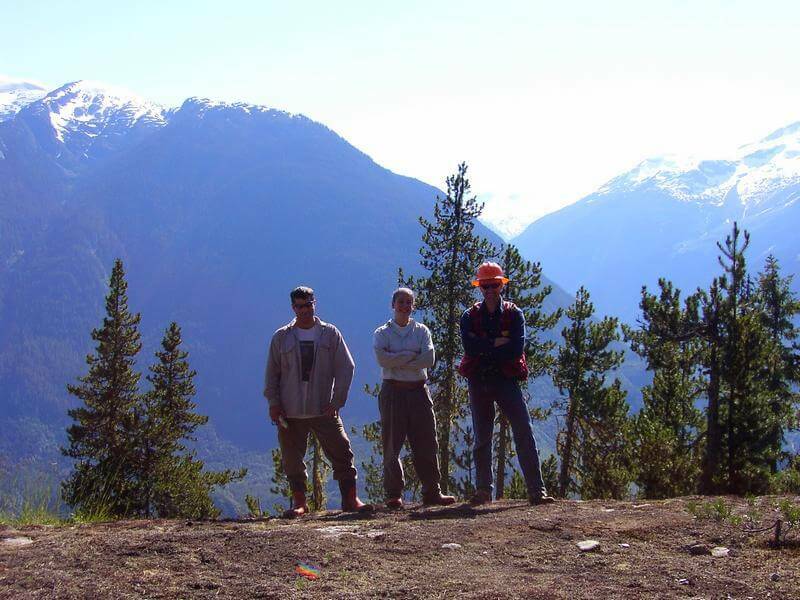 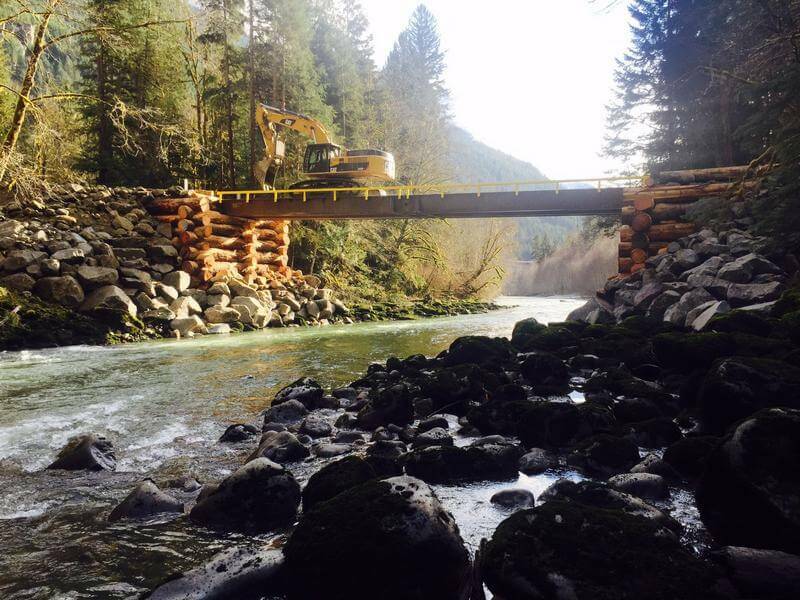 Our management team of engineers, terrain specialists and other professionals work diligently and oversee each phase to complete our jobs on time and to the highest standard. 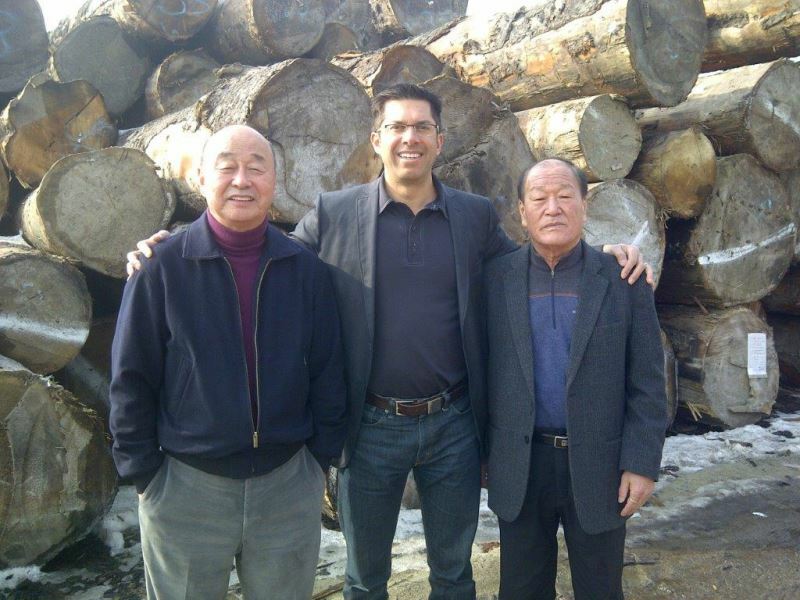 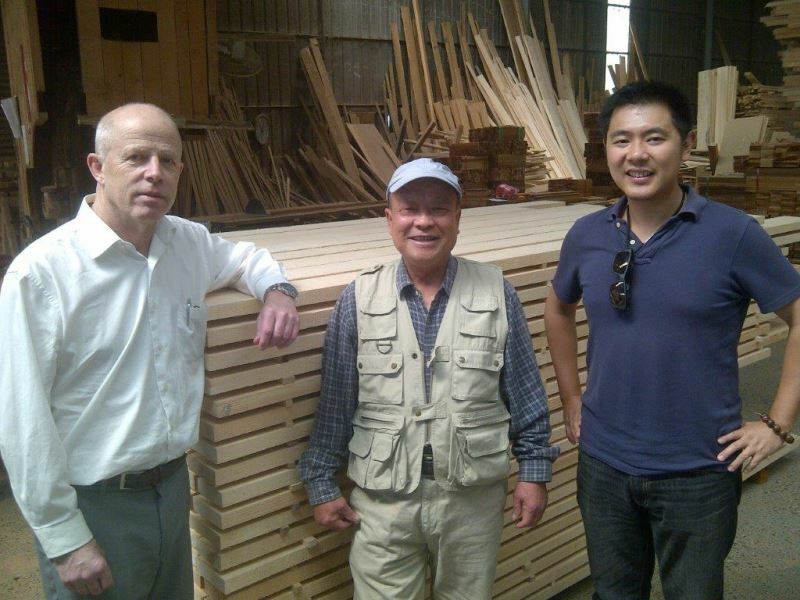 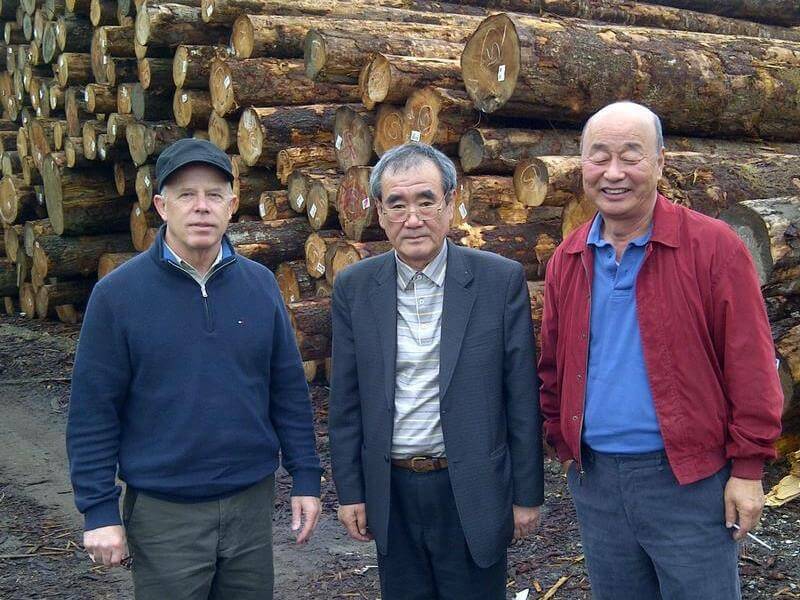 A&A Trading optimizes quality and harvest volume using different systems to harvest, based on the wood and the terrain. 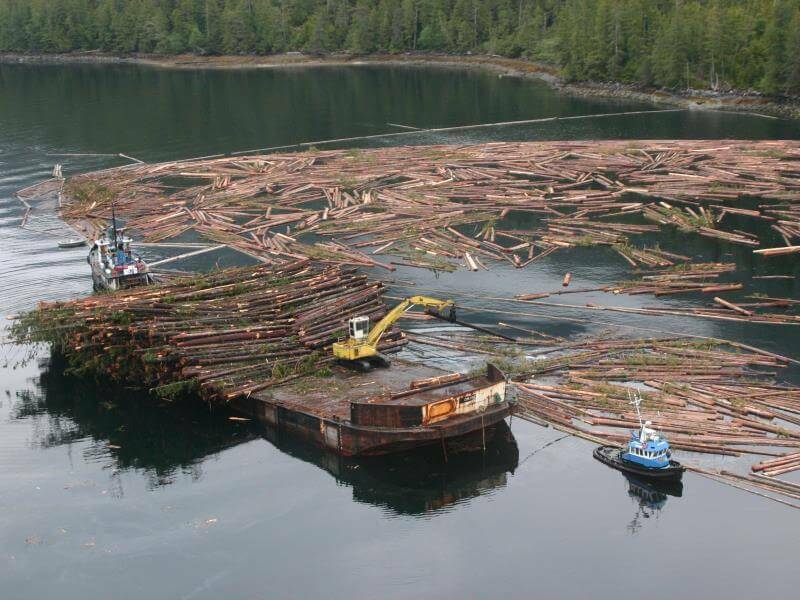 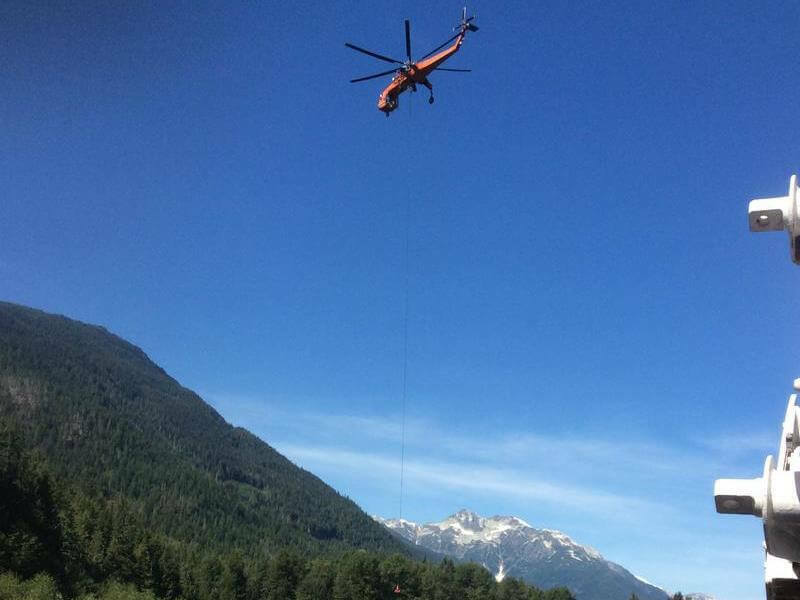 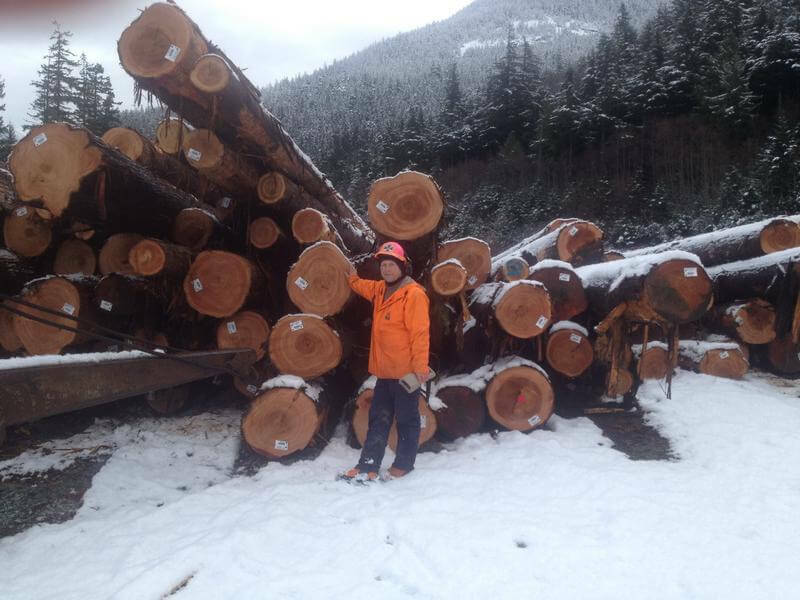 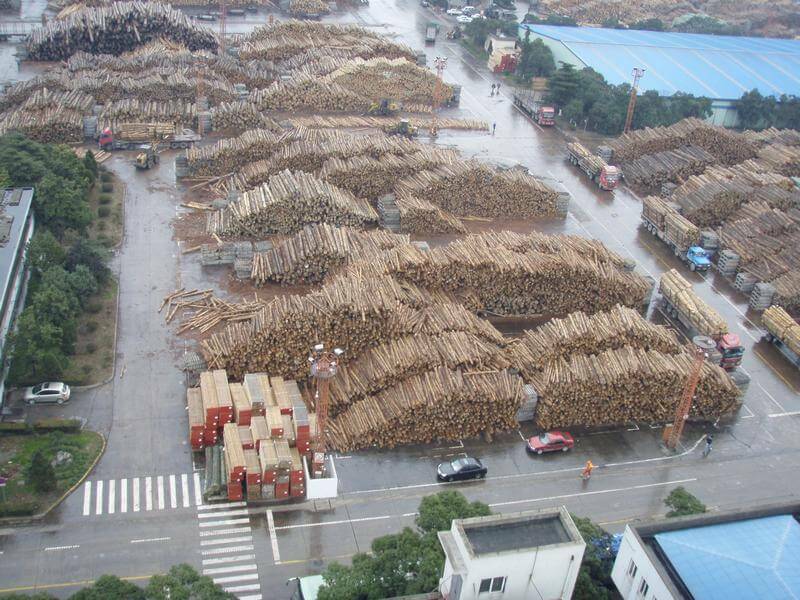 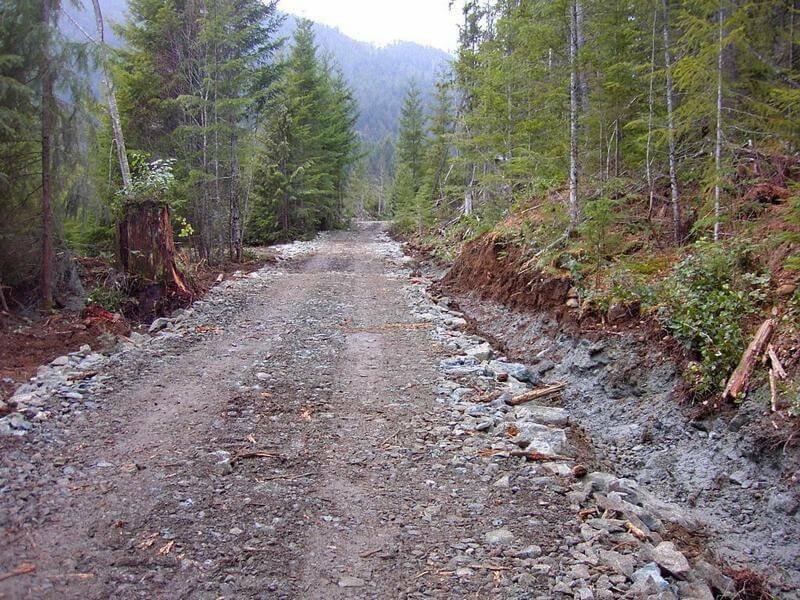 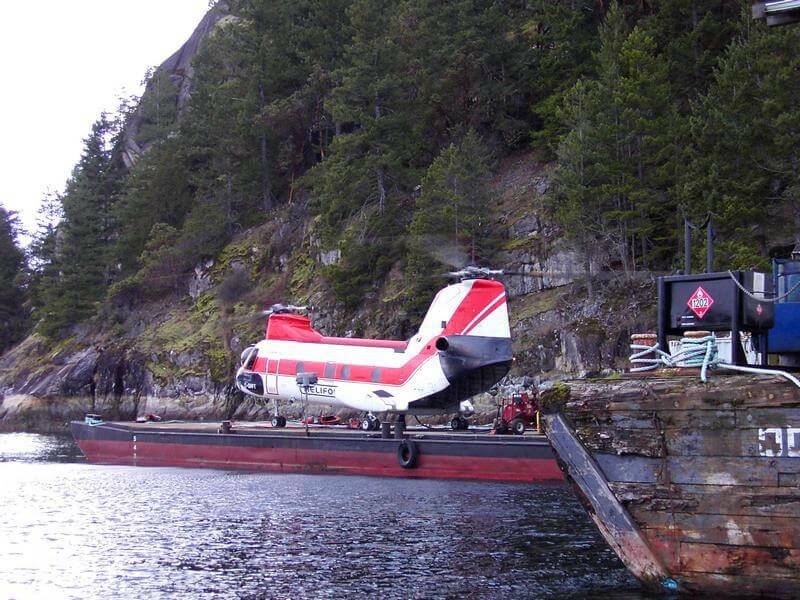 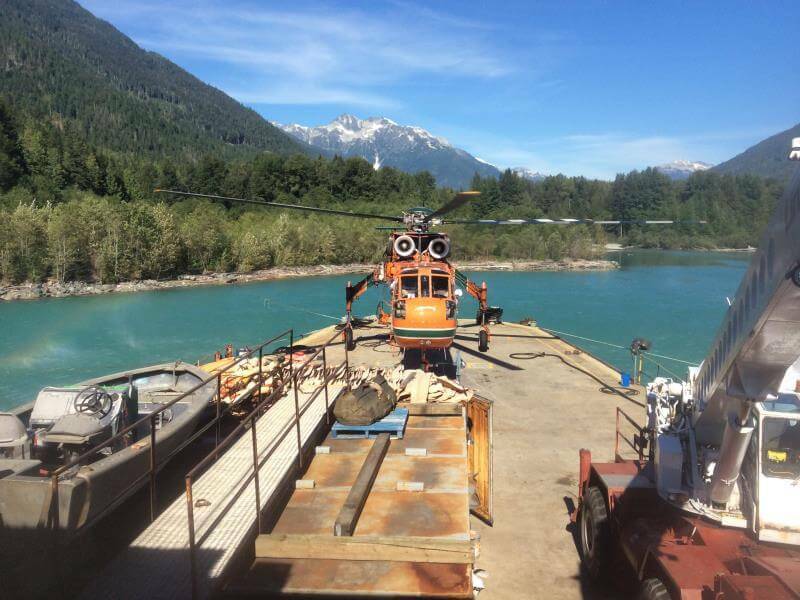 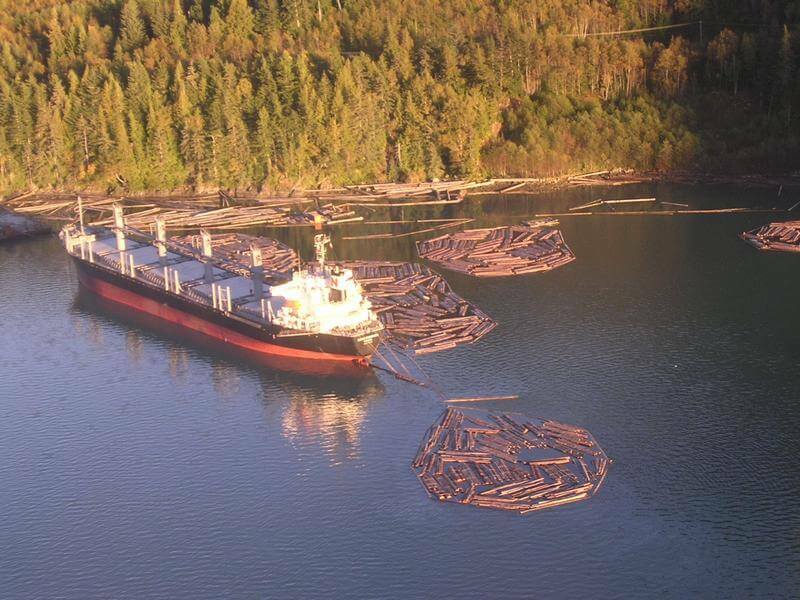 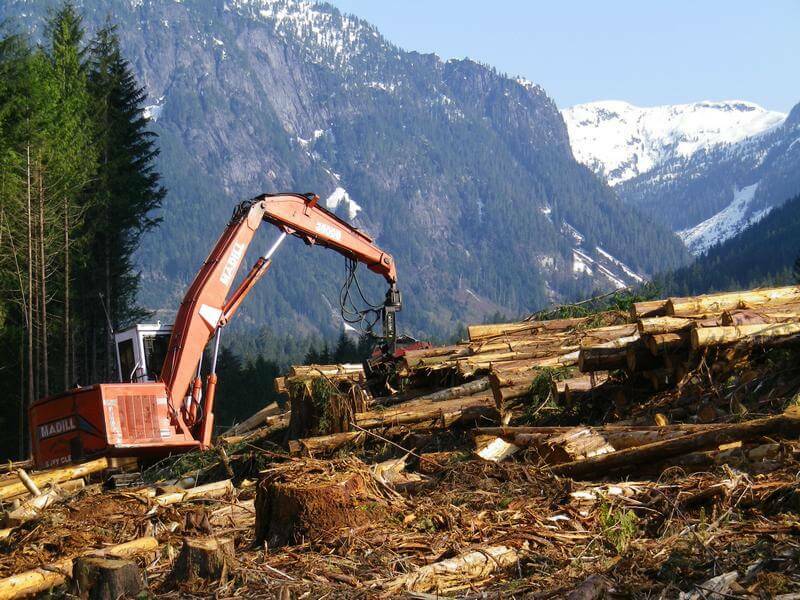 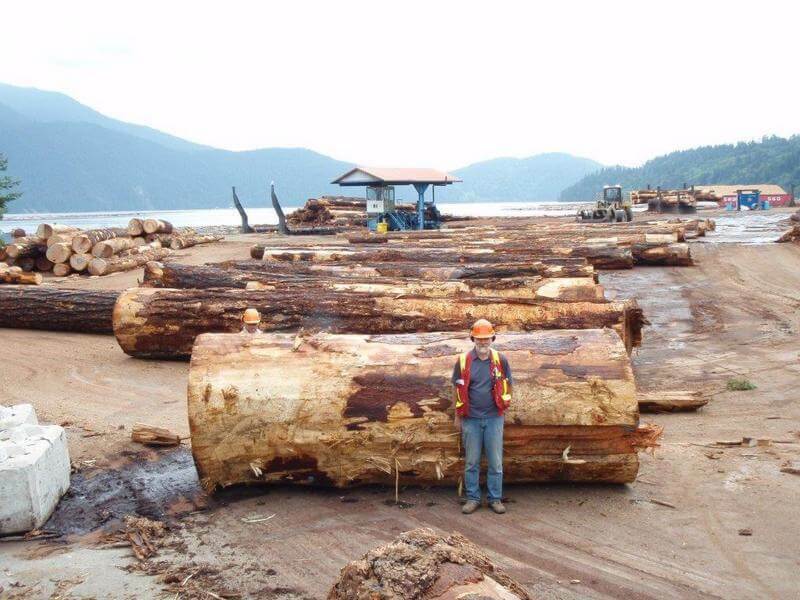 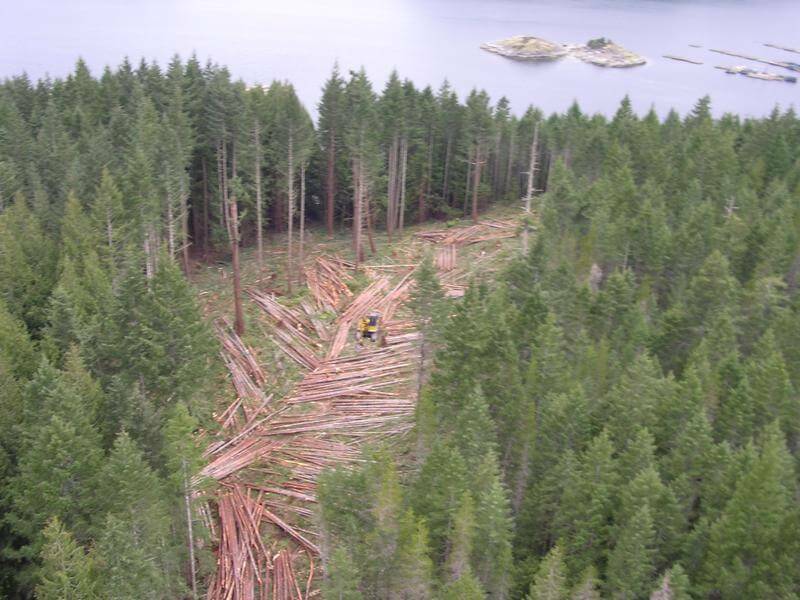 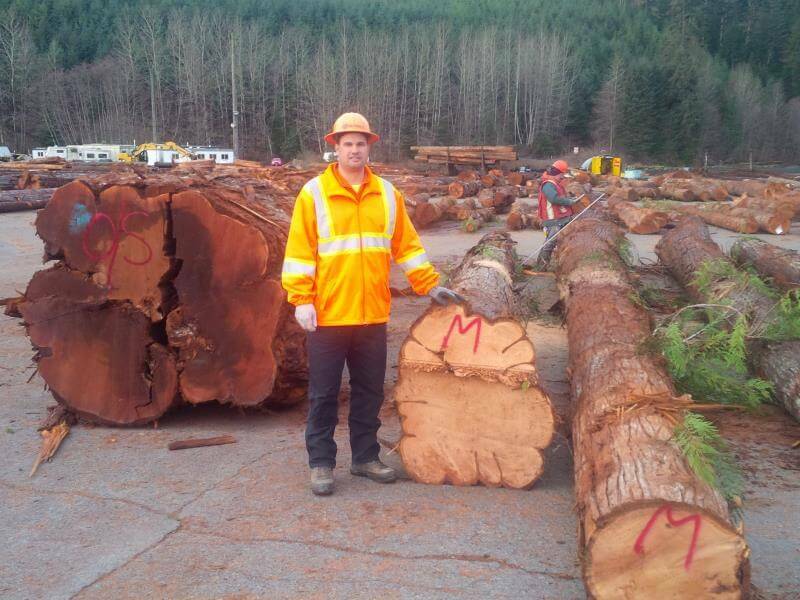 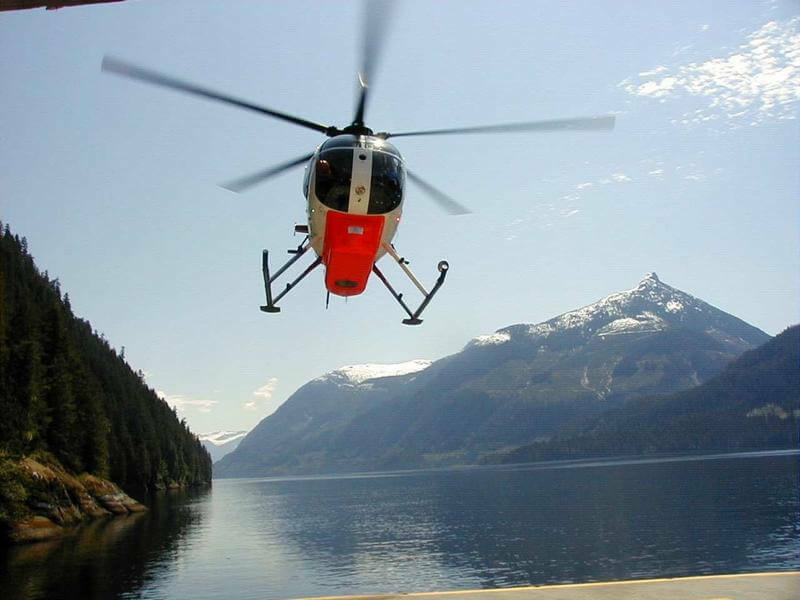 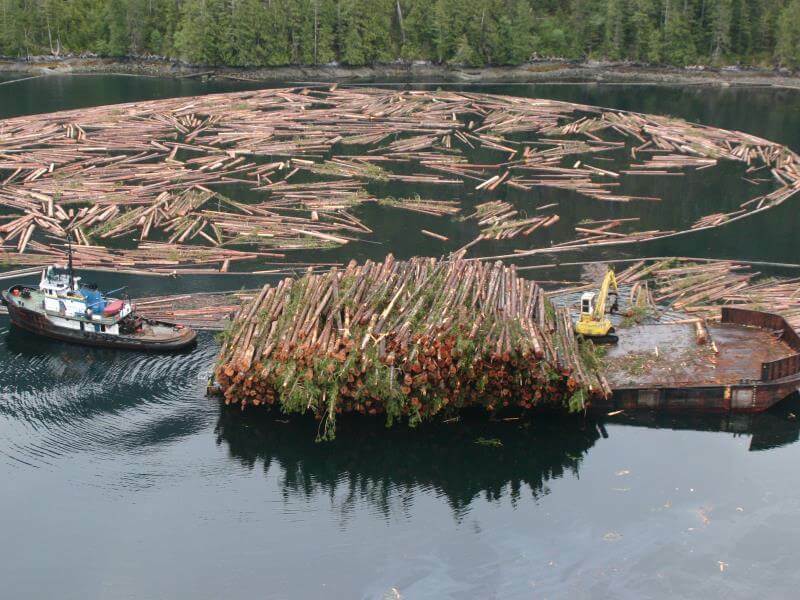 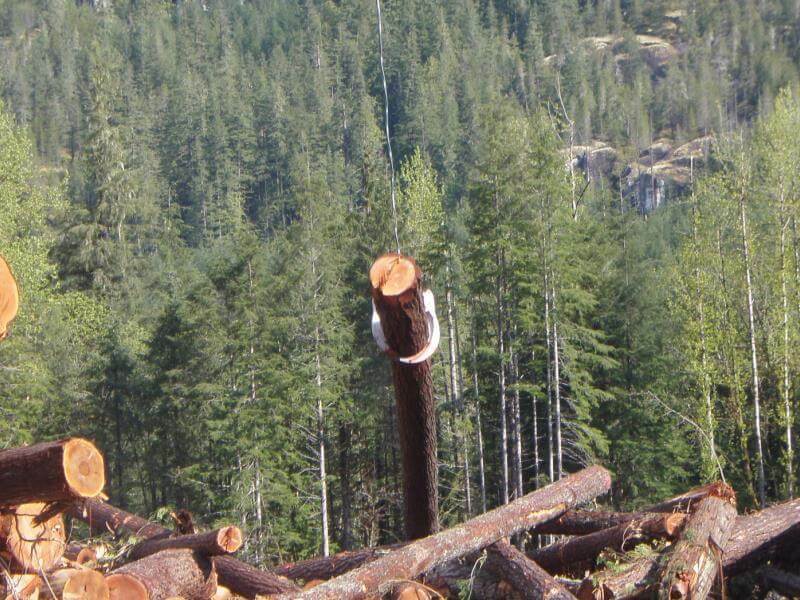 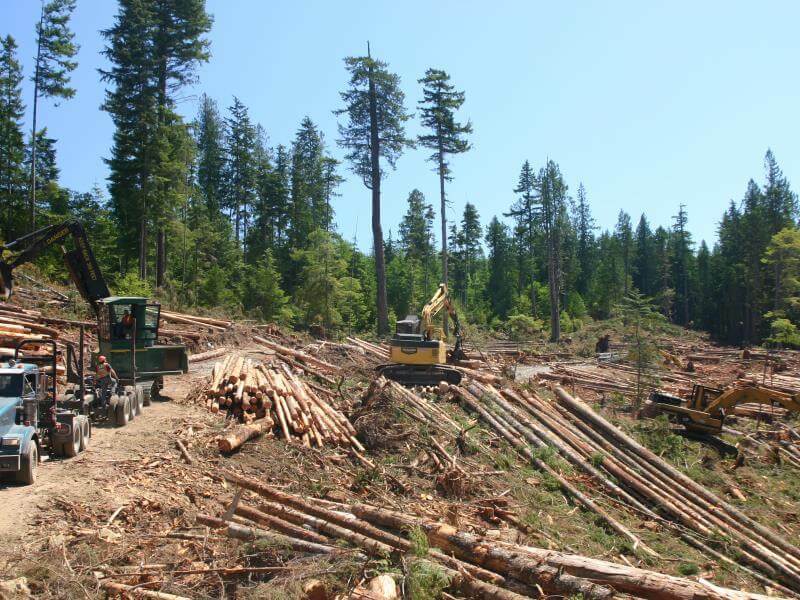 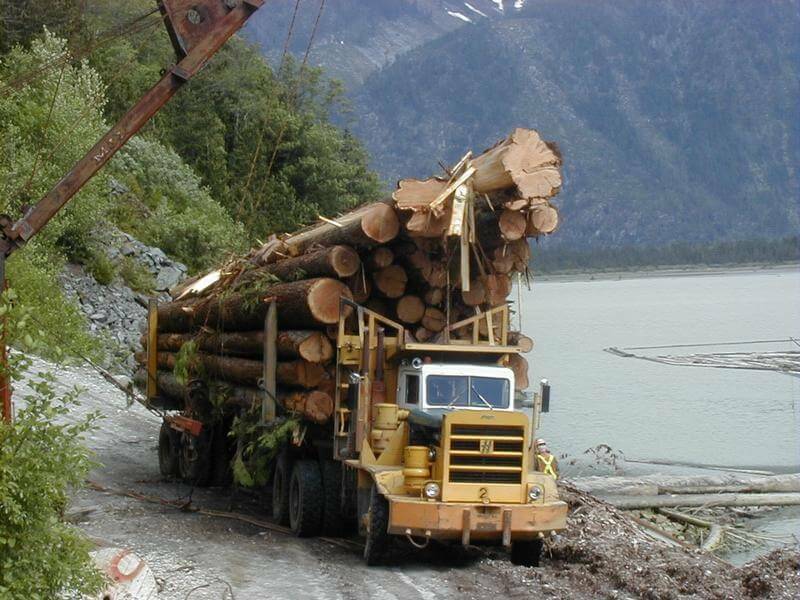 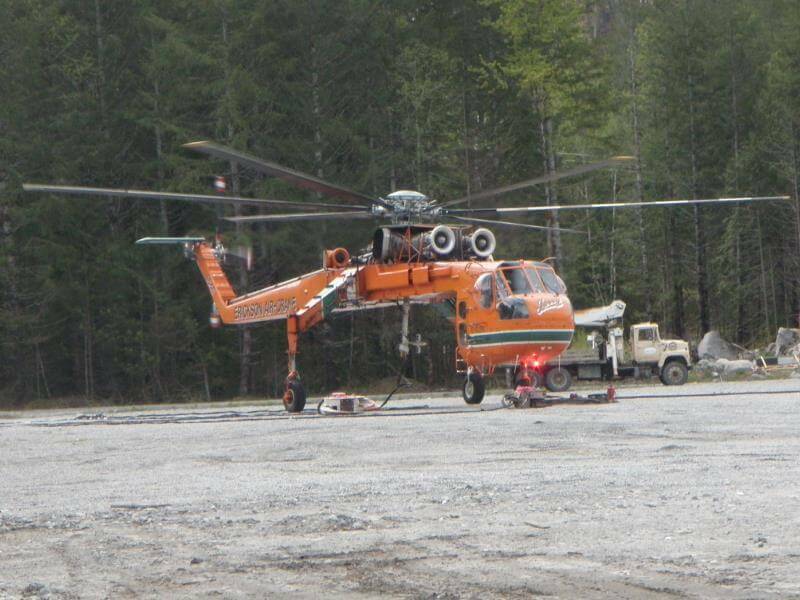 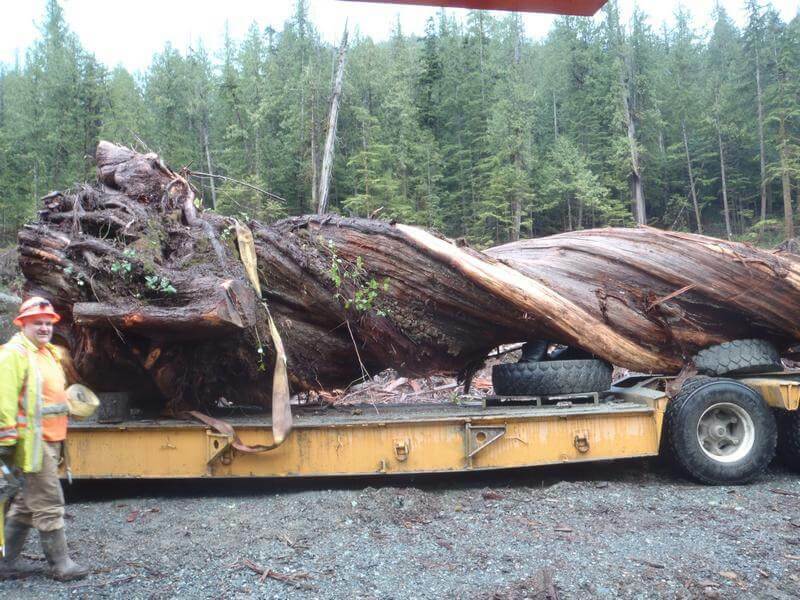 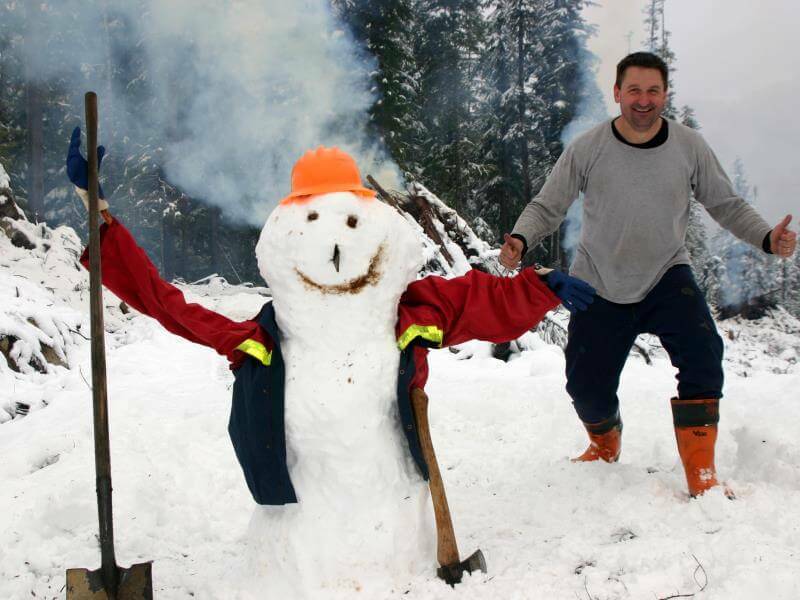 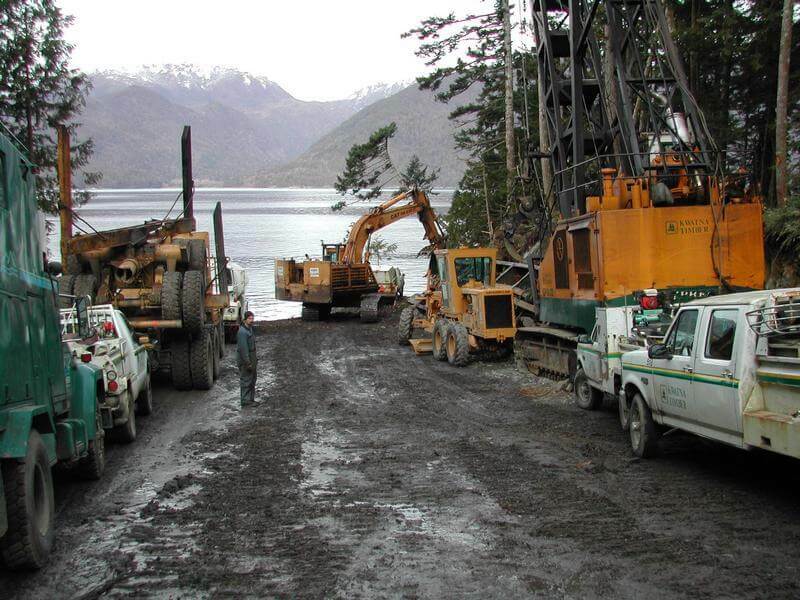 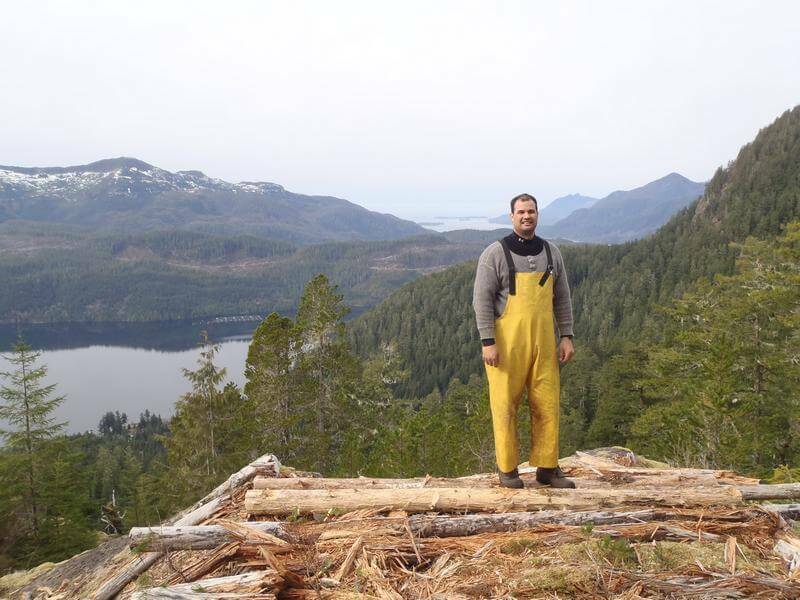 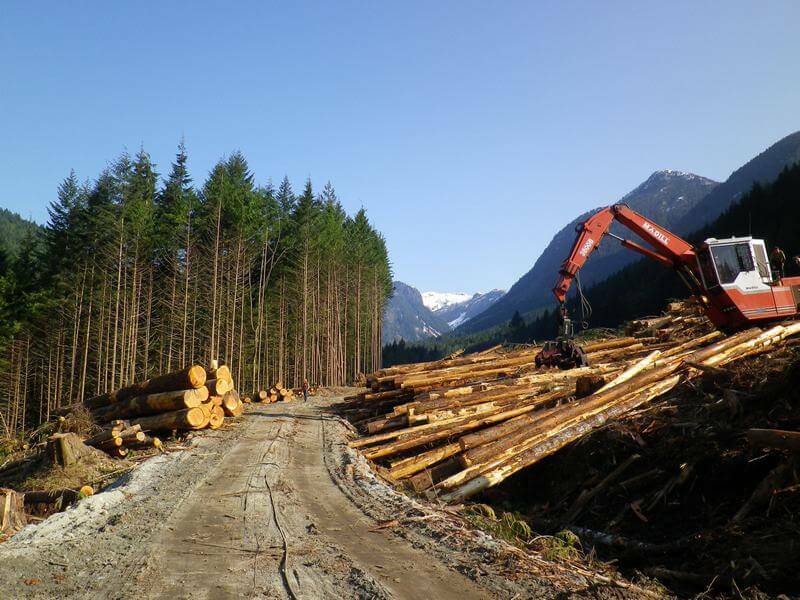 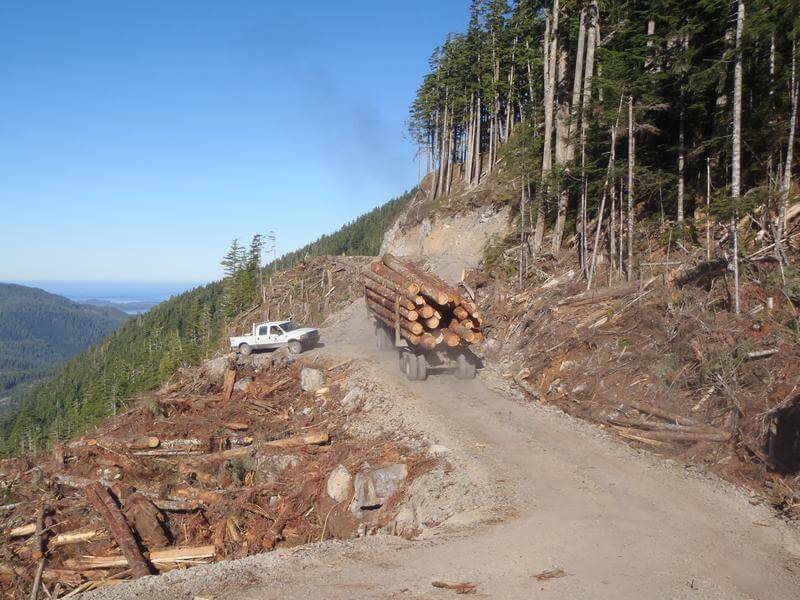 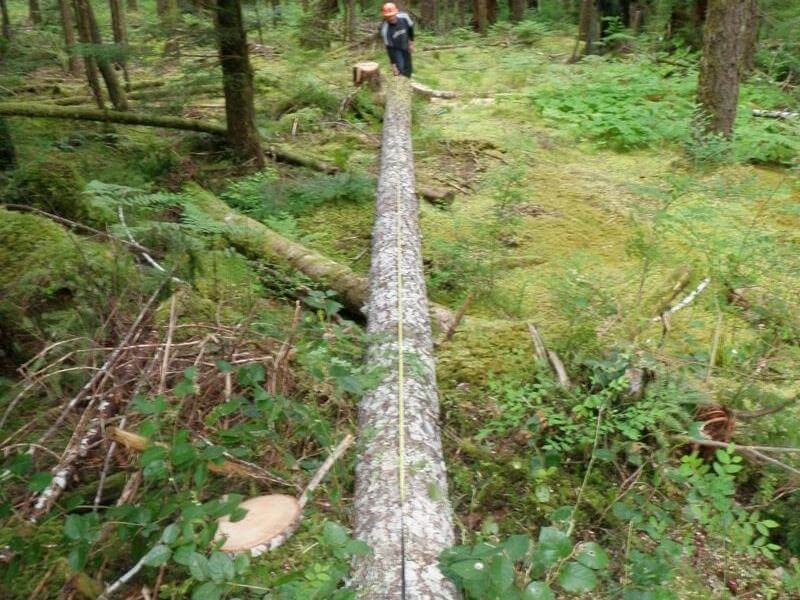 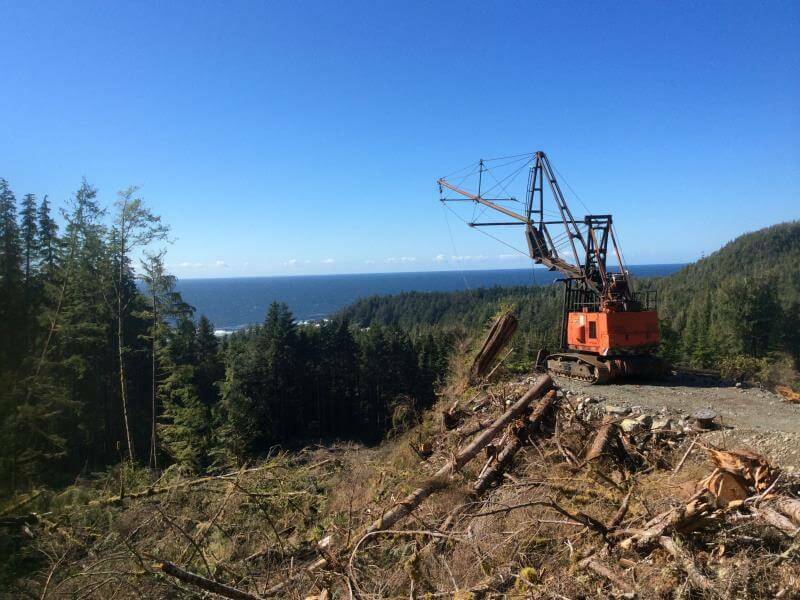 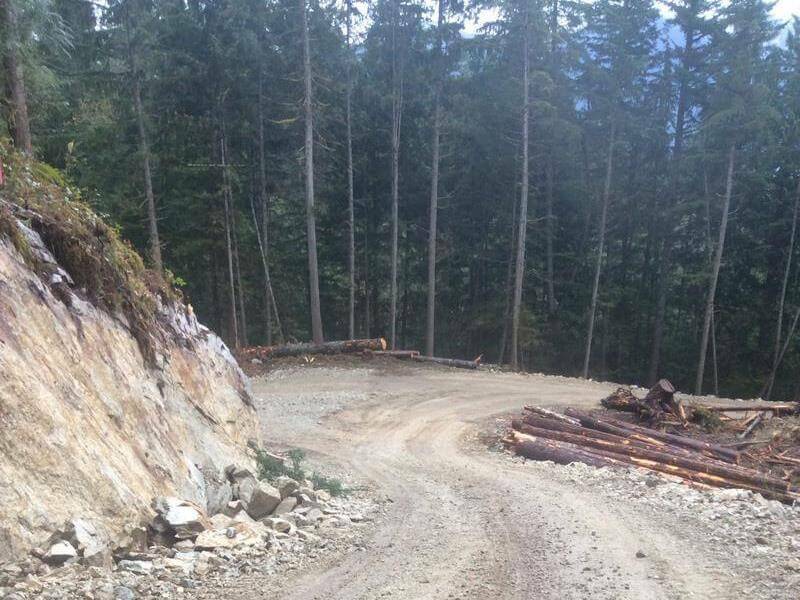 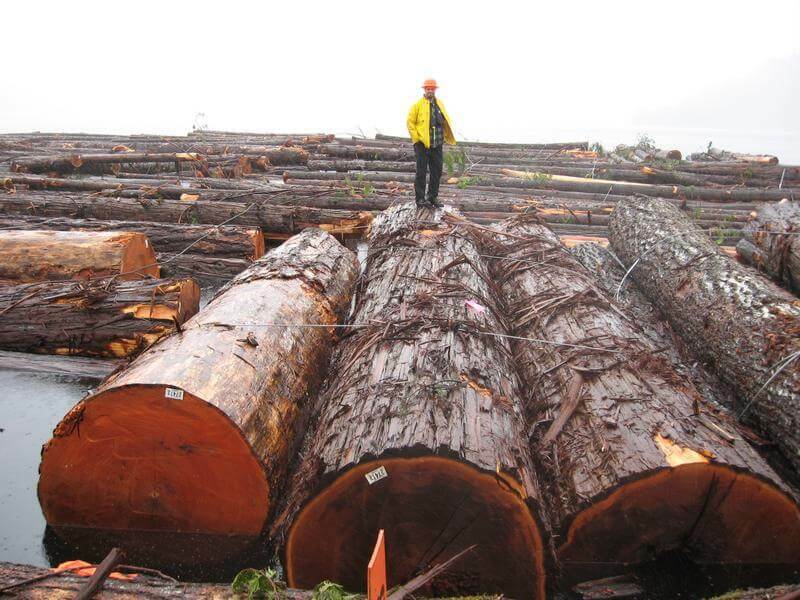 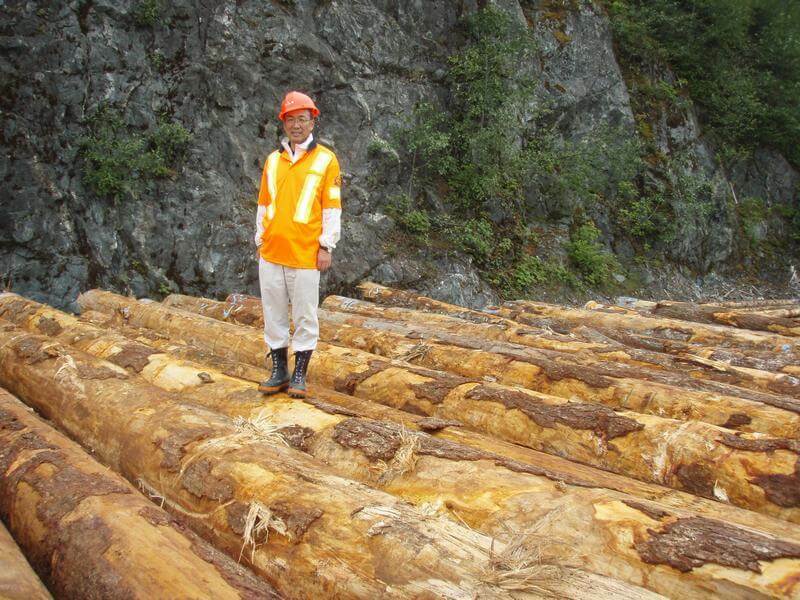 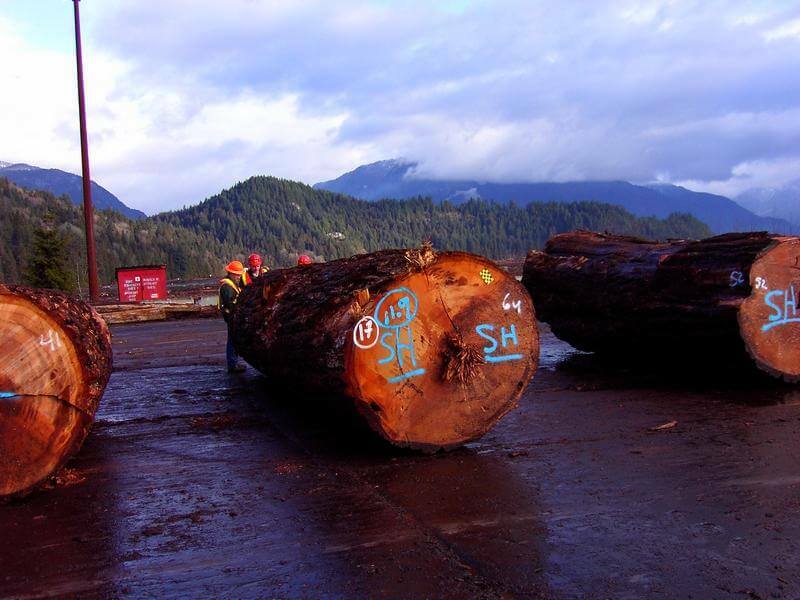 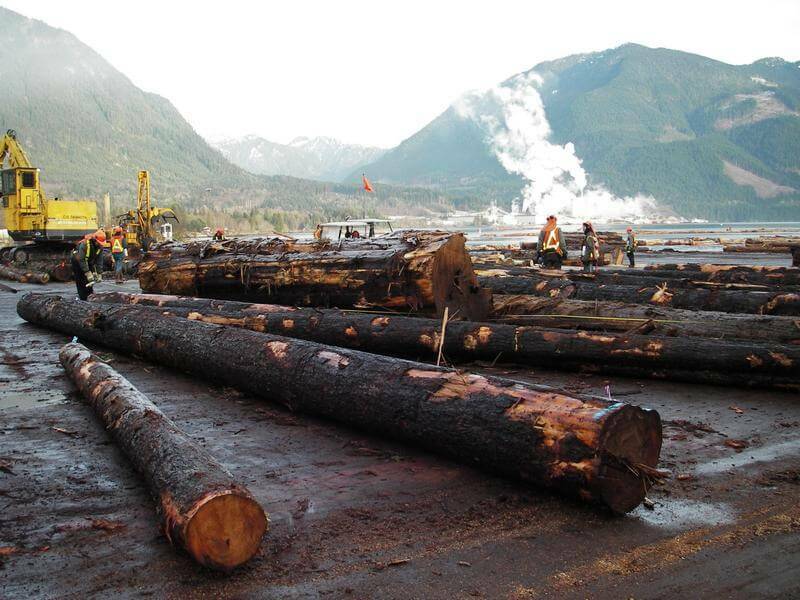 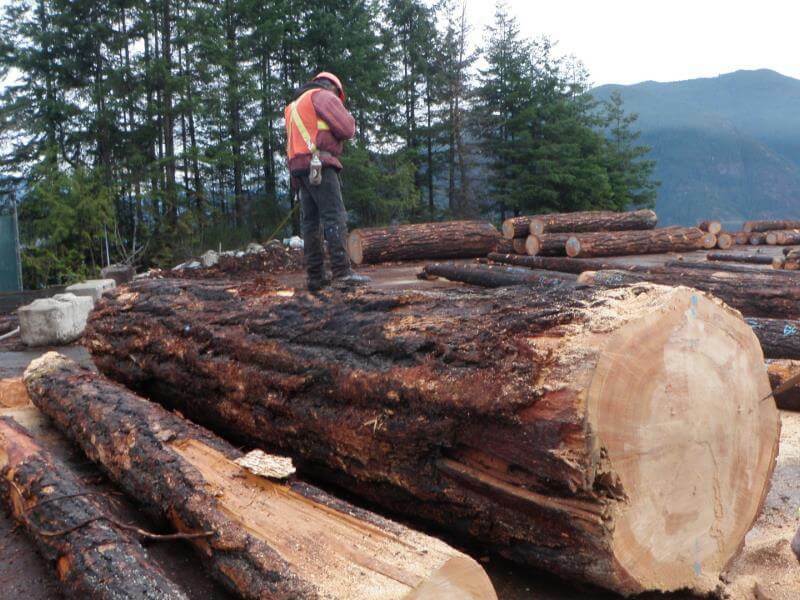 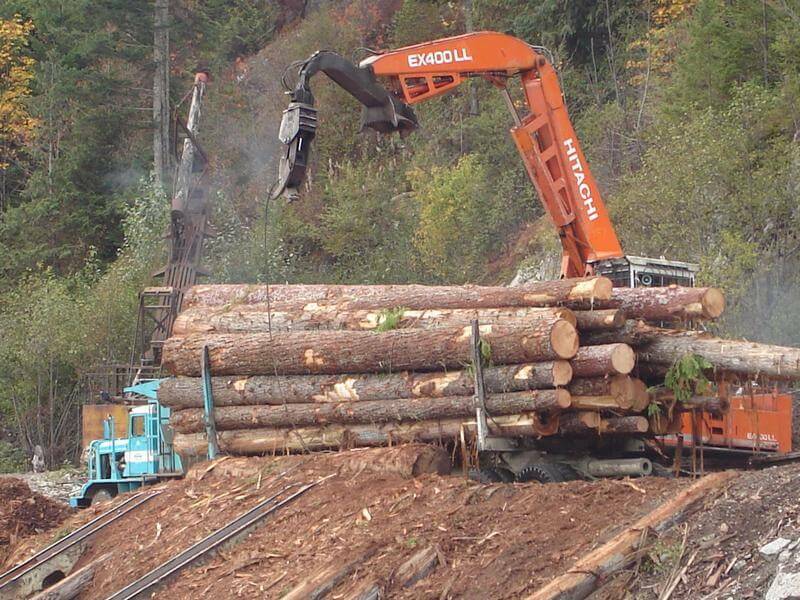 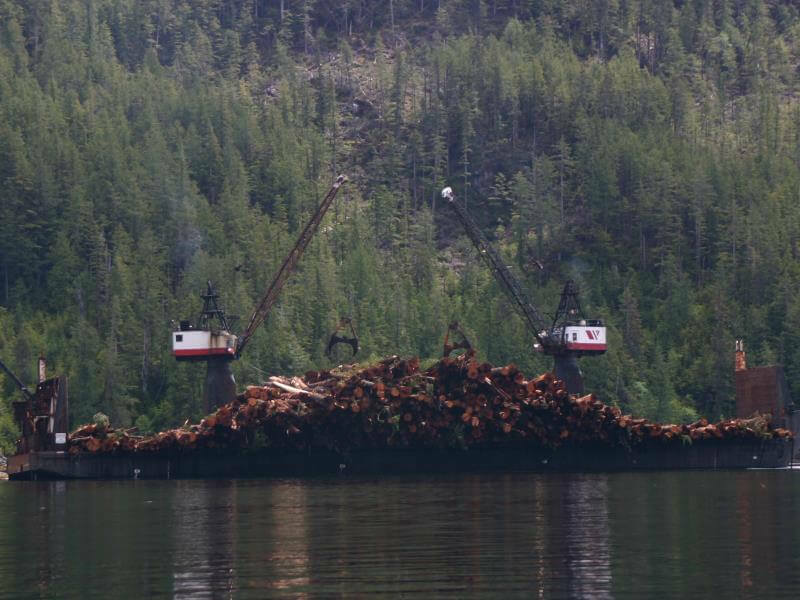 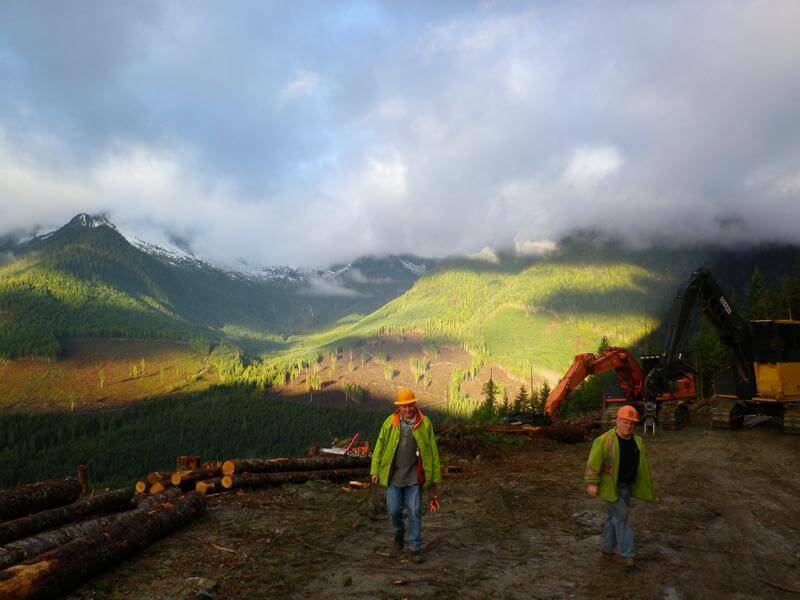 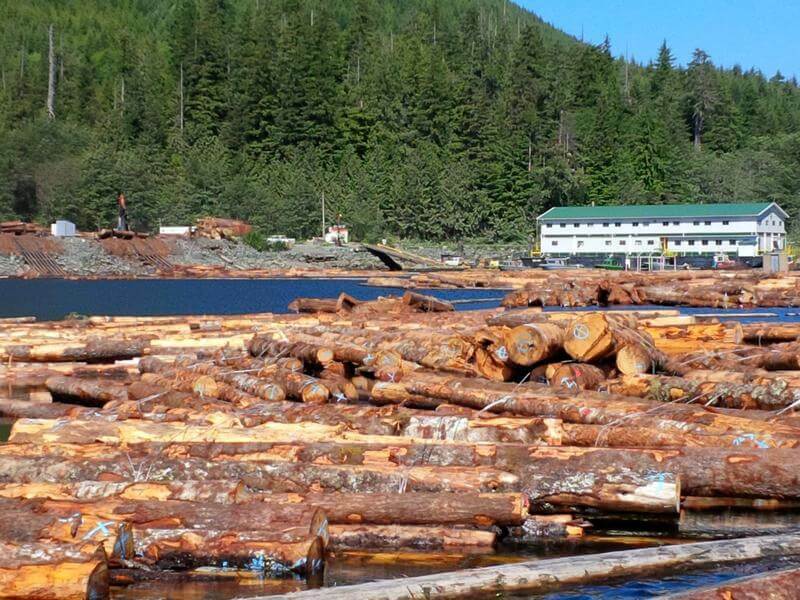 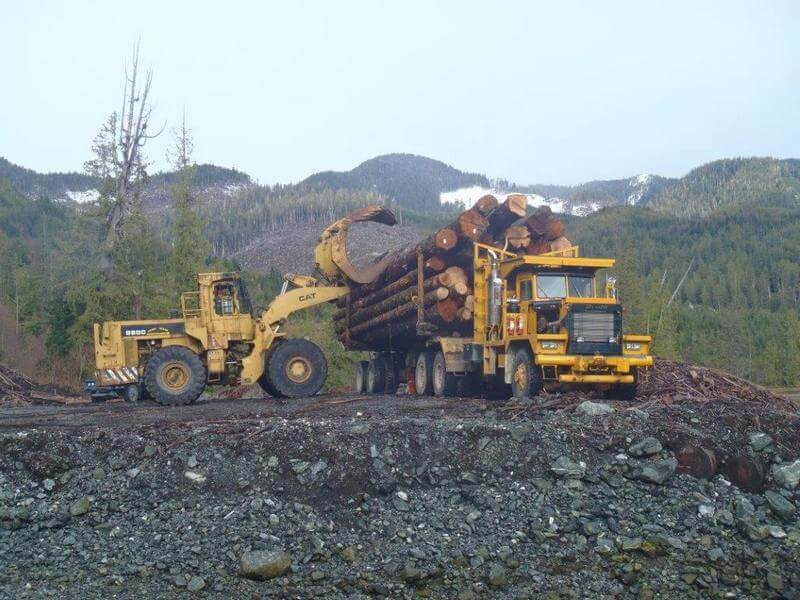 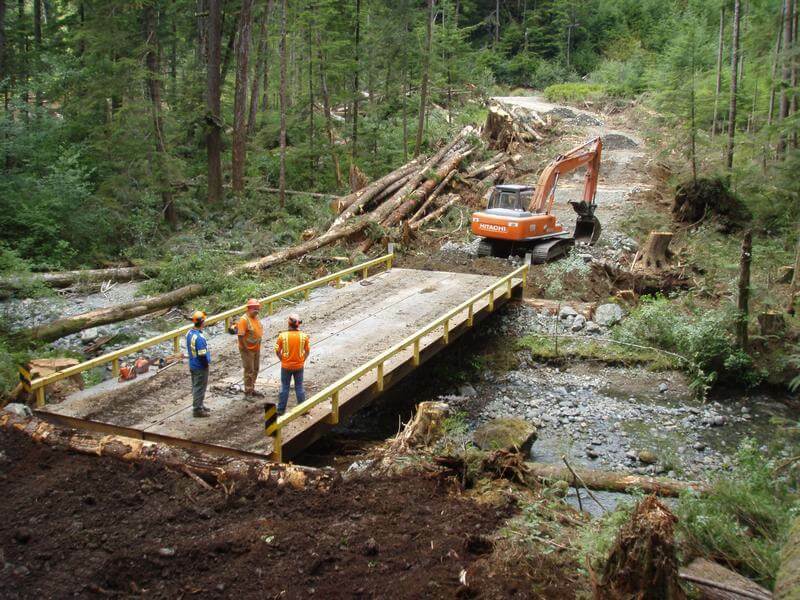 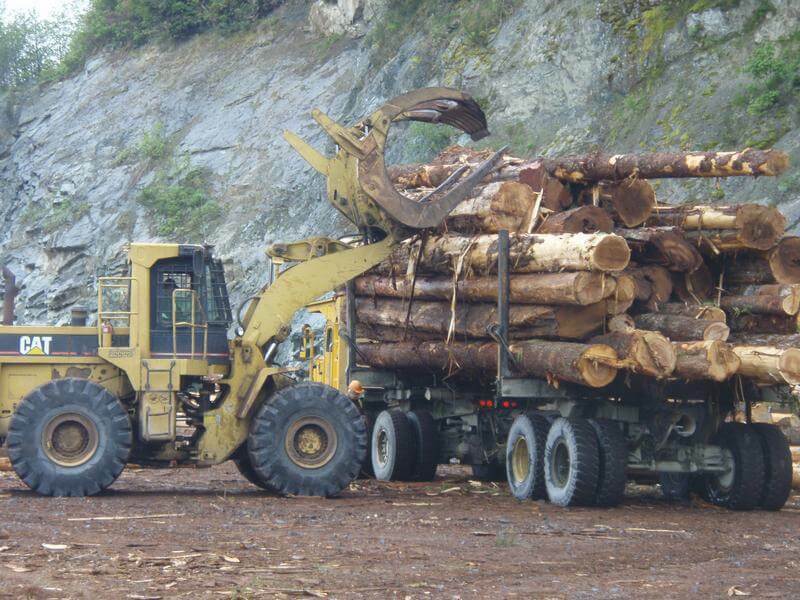 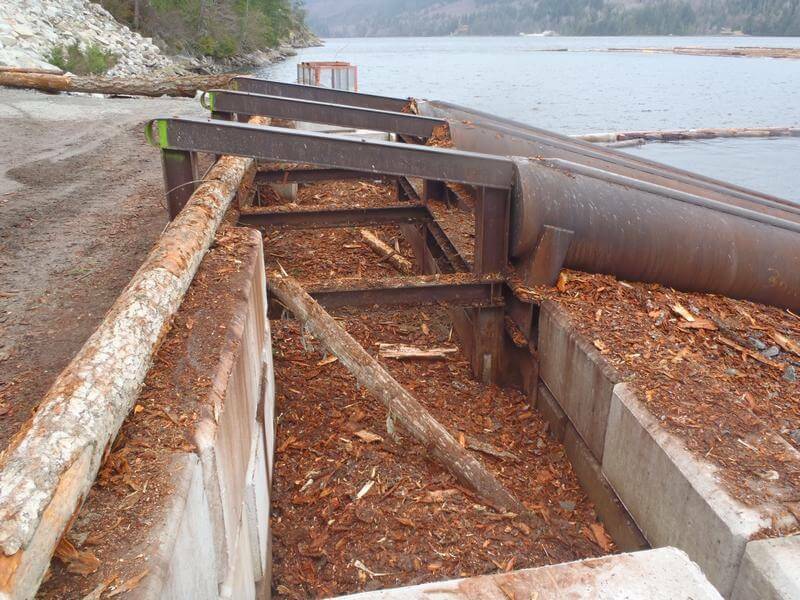 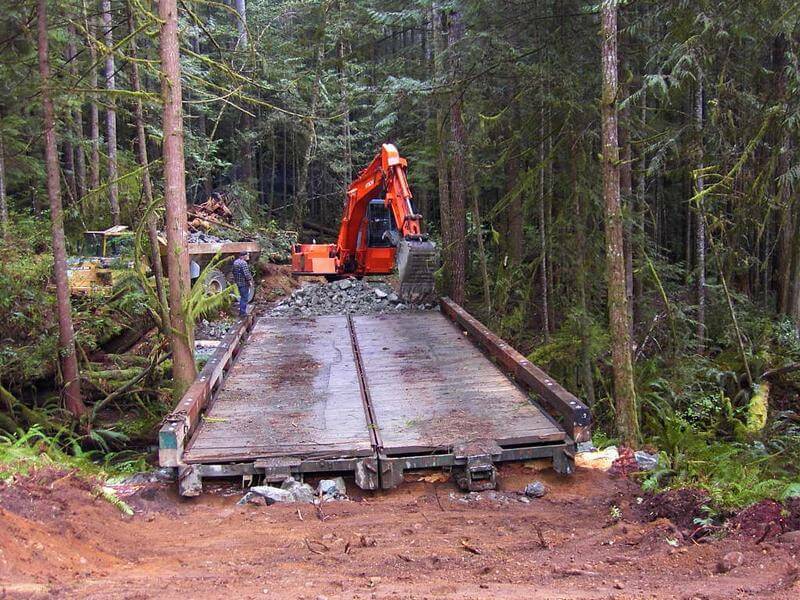 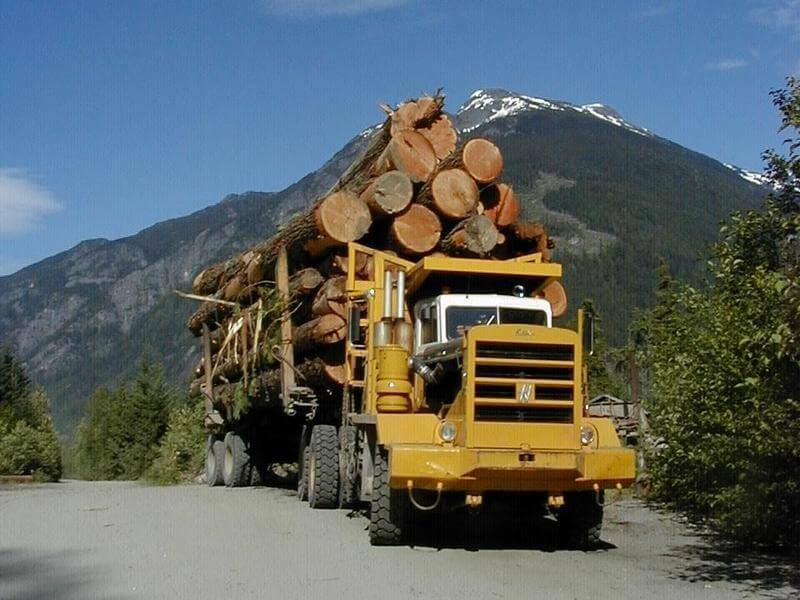 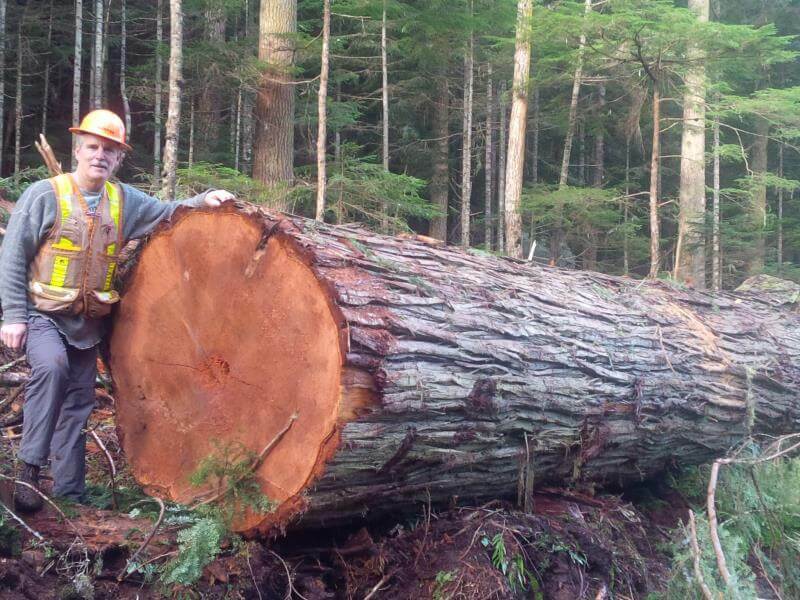 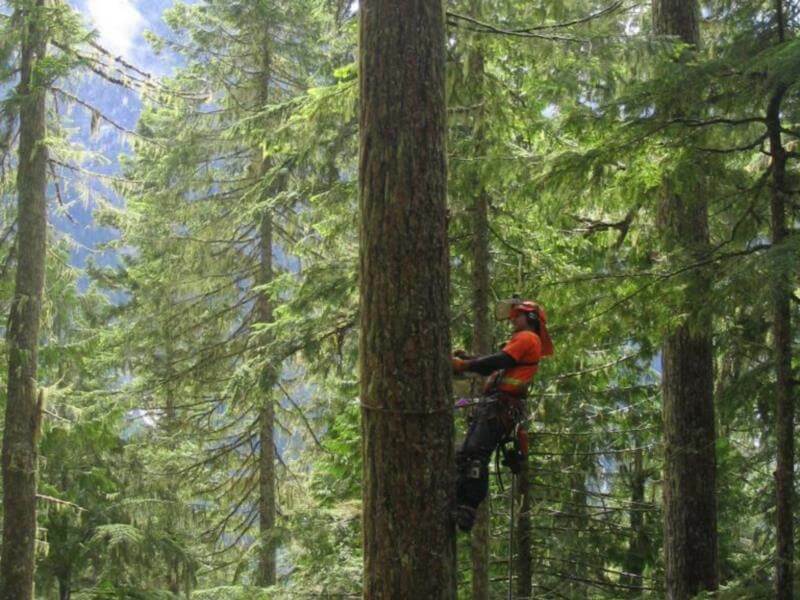 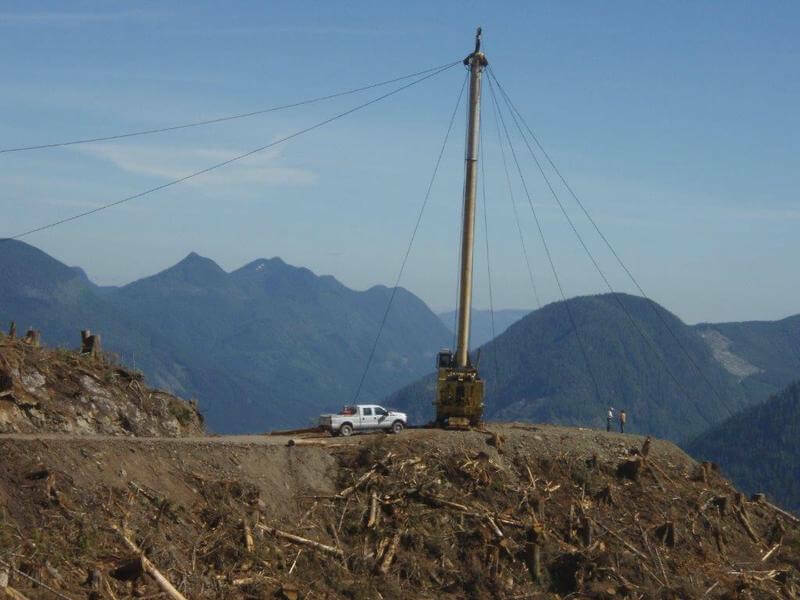 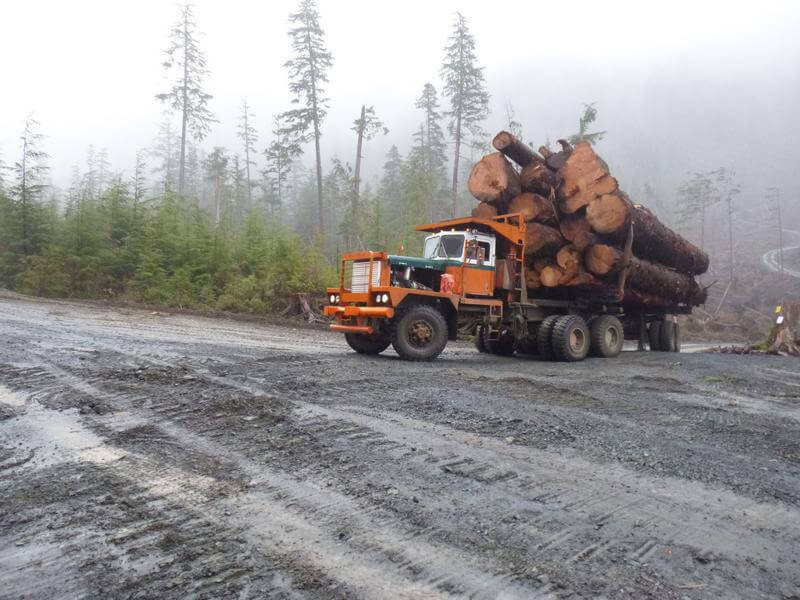 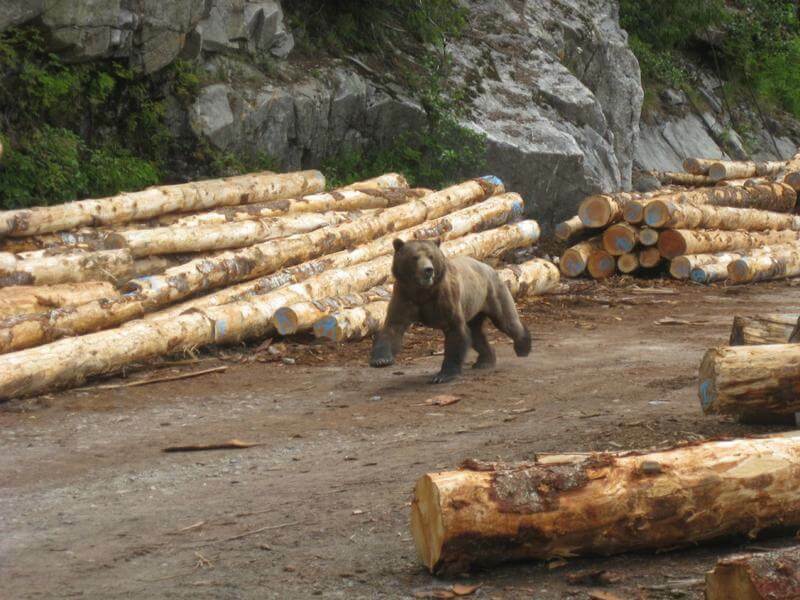 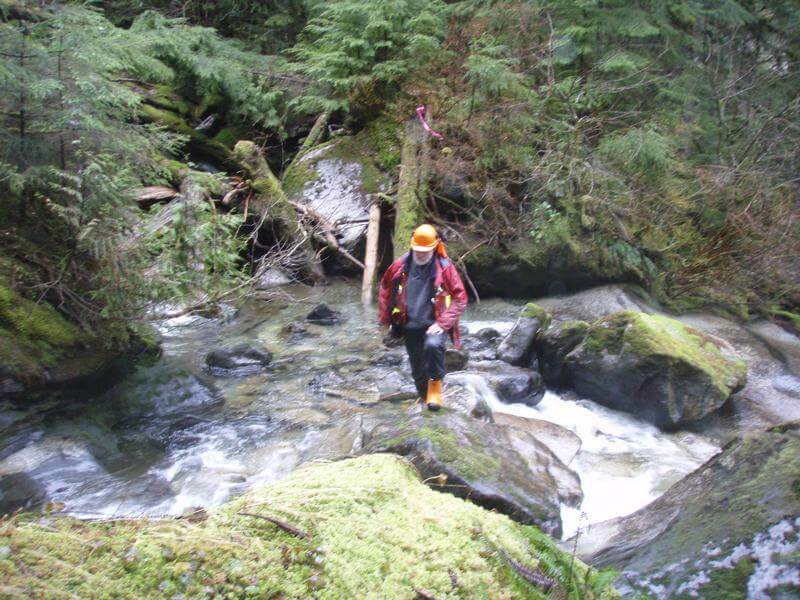 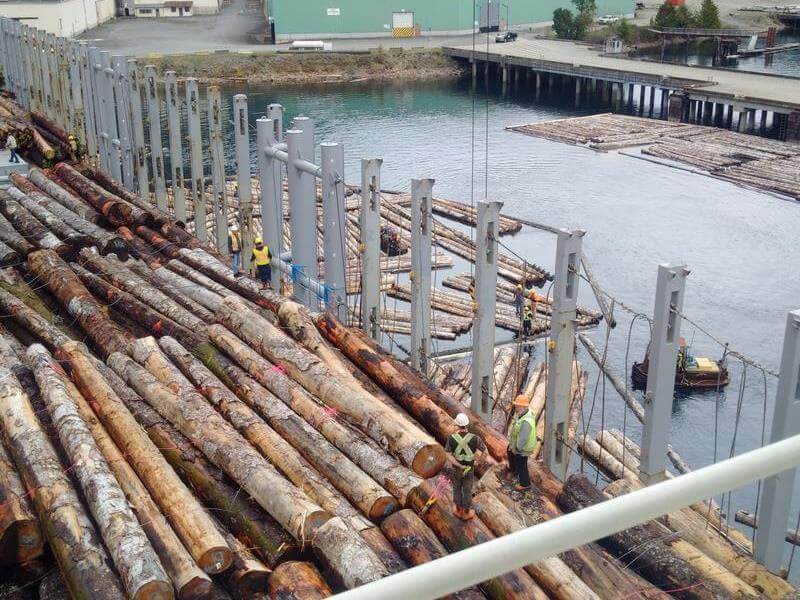 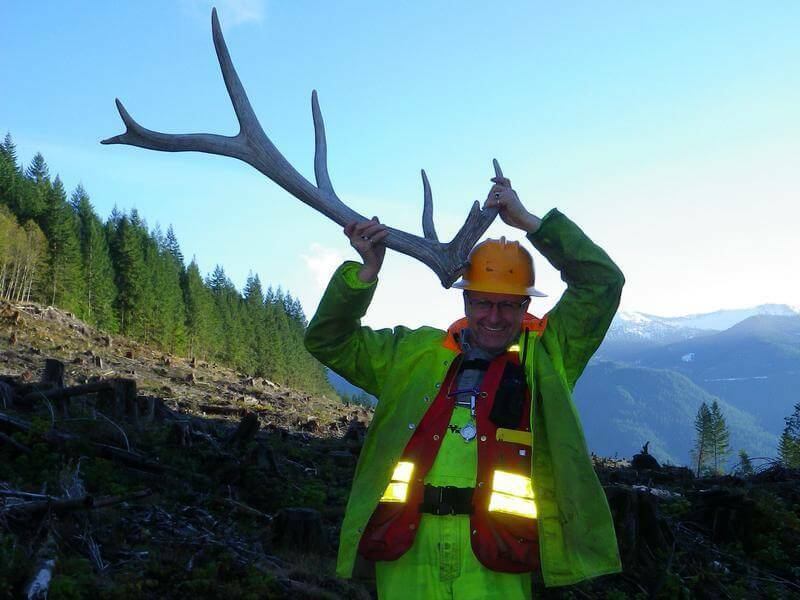 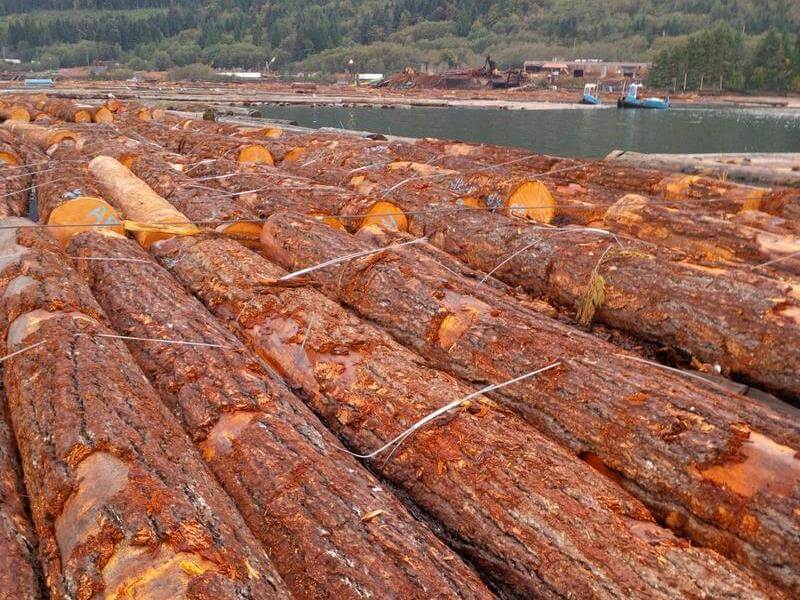 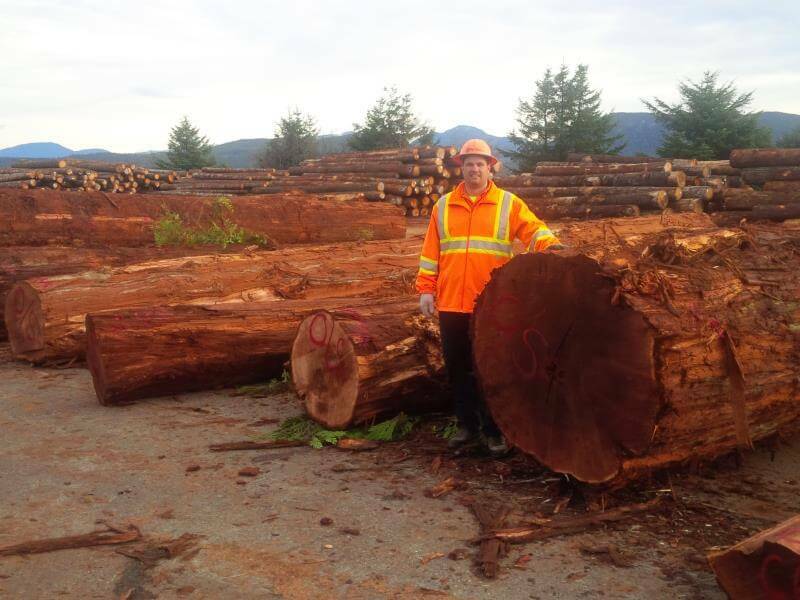 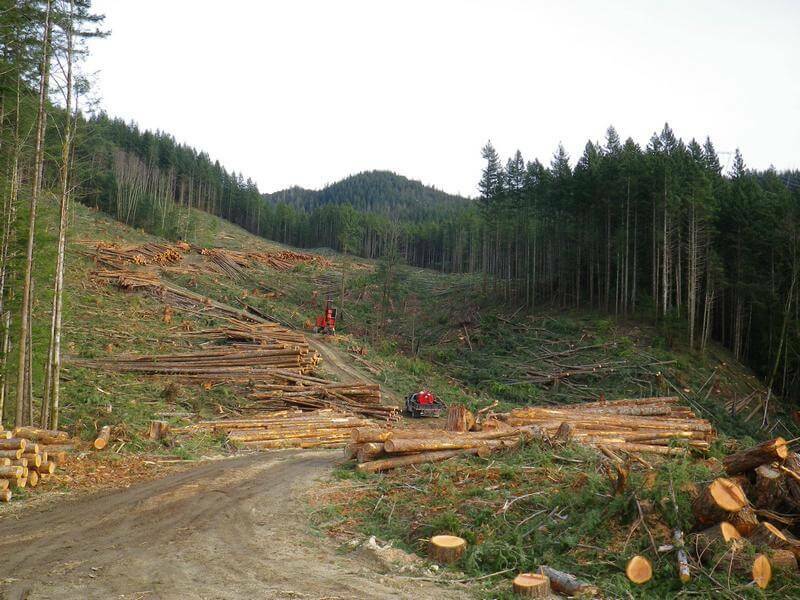 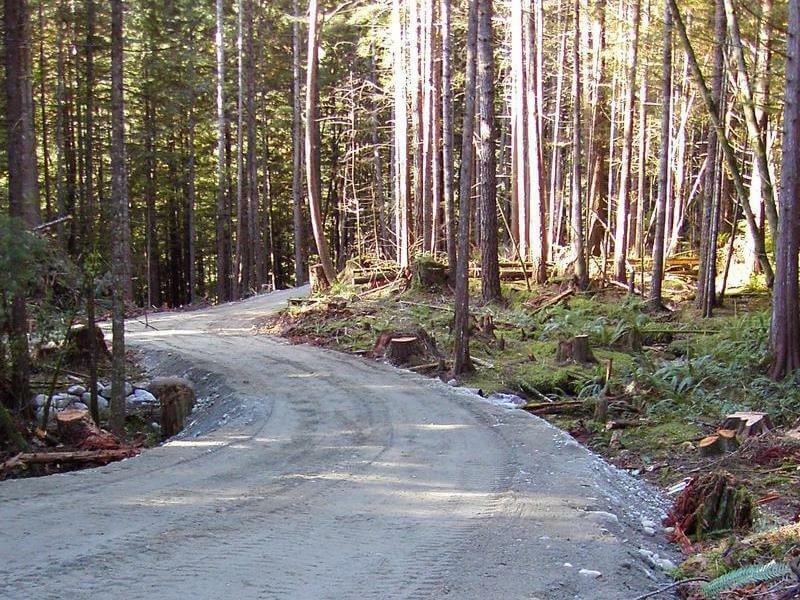 This ranges from heli logging and single stem heli logging to conventional logging. 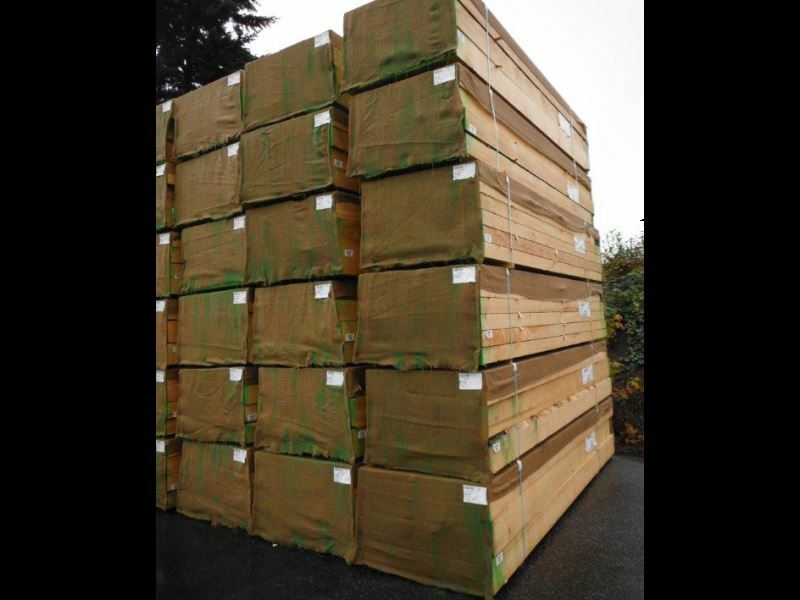 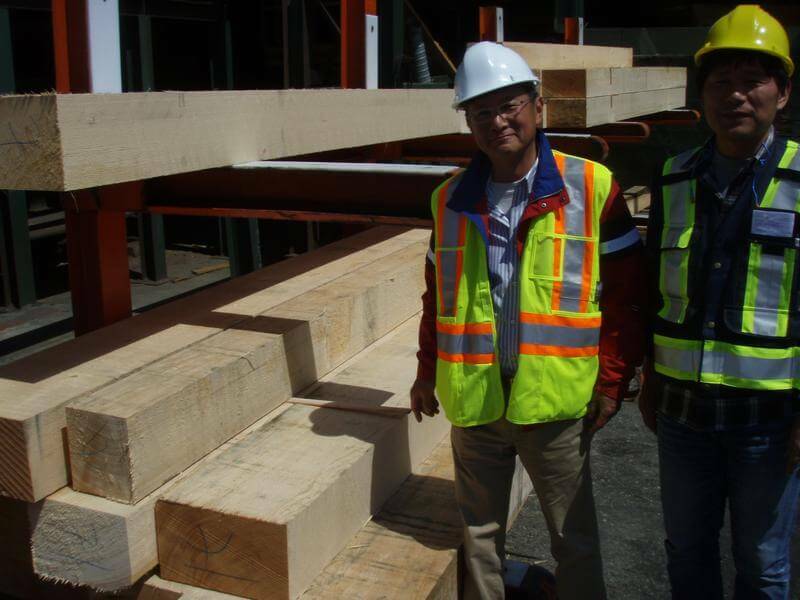 We use our own contractors to maintain quality and a consistent supply of wood to the market. 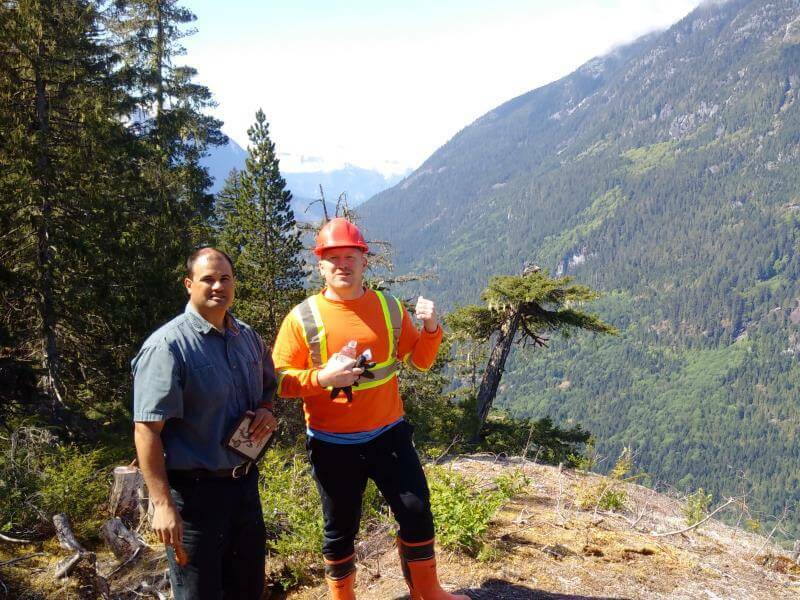 We have long term relationships with contractors that are experts in the industry; all are SAFE Certified, efficient and deliver the work with assurance, based on their solid knowledge of the high level of environmental stewardship that we require. 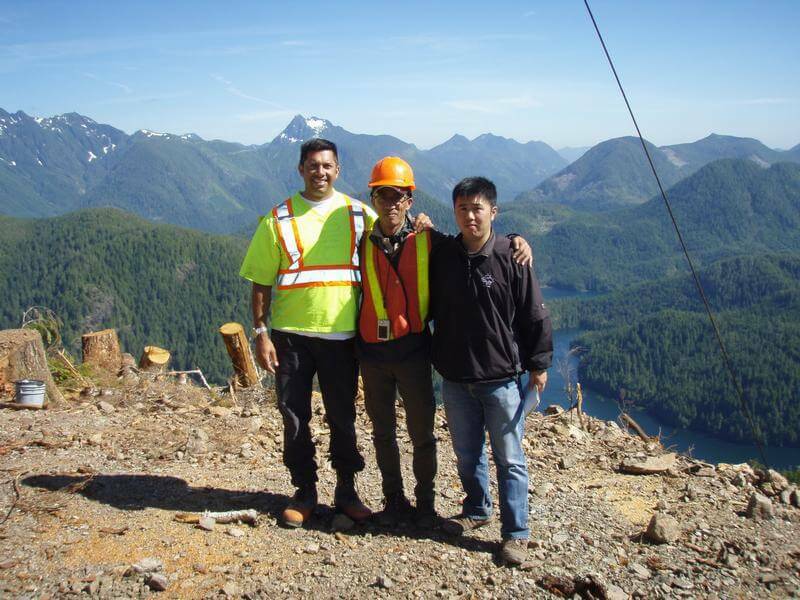 By utilizing our own contractors A&A Trading has the flexibility to hire and train from within our partnerships. 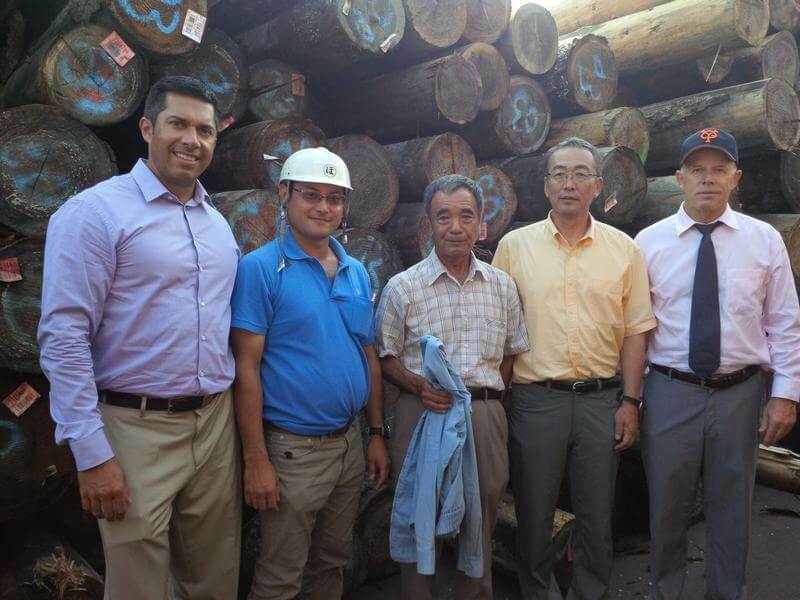 A&A Trading is responsible for the stewardship and reforestation of the areas that the company harvests each year under various forest licenses. 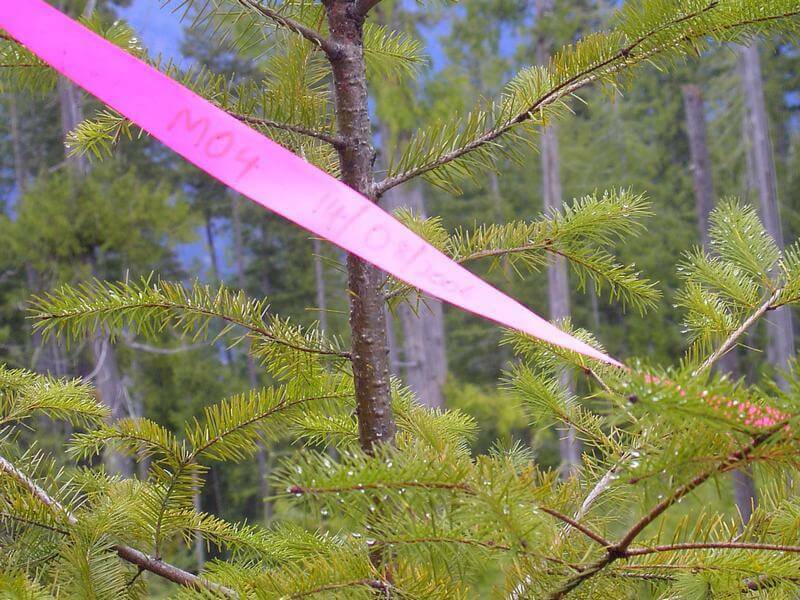 Each year A&A Trading replants an average of 500,000 native conifer tree species. 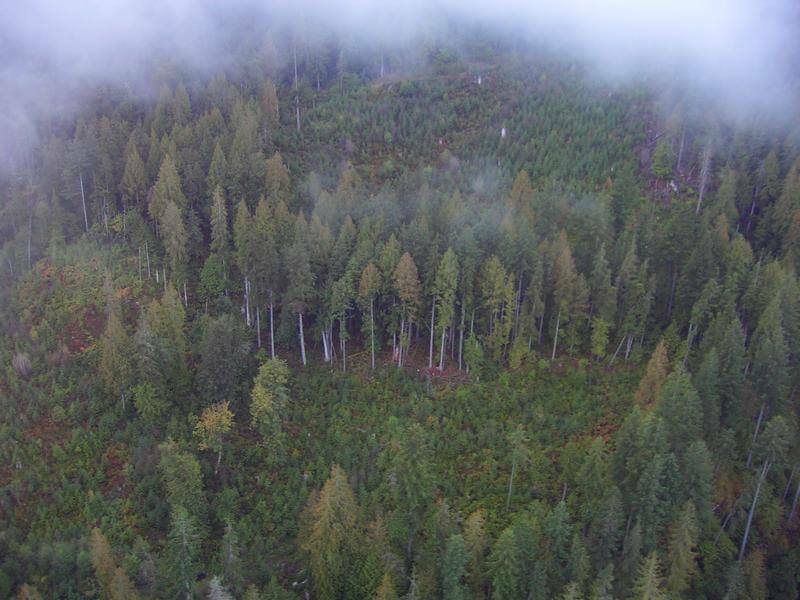 Reforestation is a key aspect of forest management and ensures that the land base continues to grow harvestable trees for the future. 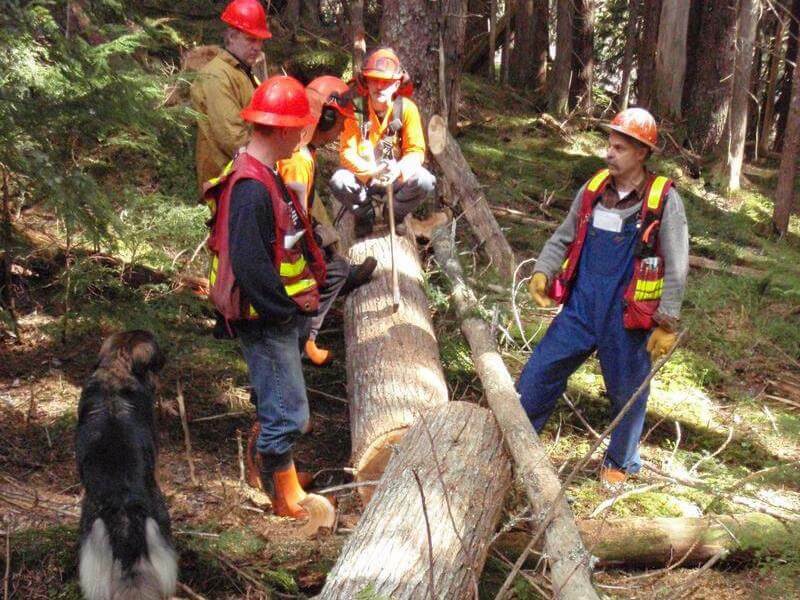 The silviculture foresters at A&A Trading work with the engineering team during pre-harvest planning to develop a harvest plan that protects the ecological resources of the site that will be harvested. 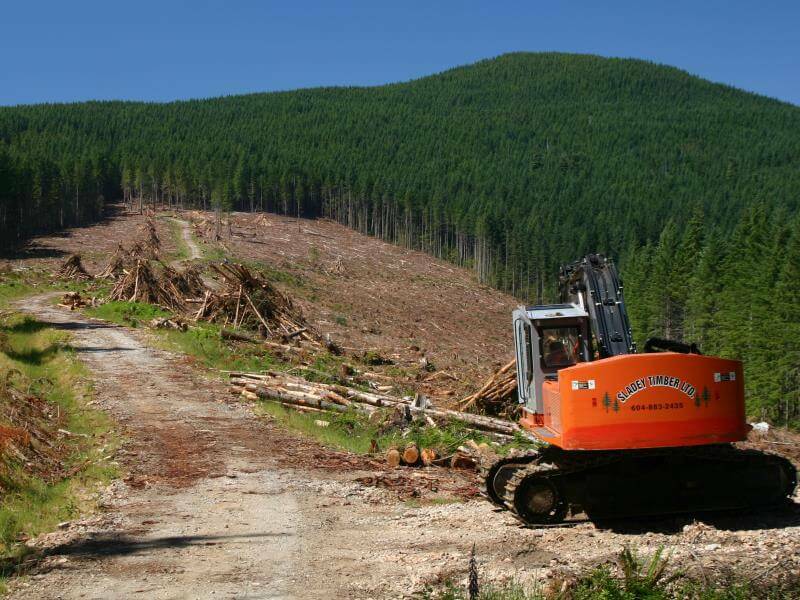 As part of the planning process, the silviculturalists identify the ecology of the sites and develop planting prescriptions that use a mix of conifer species ecologically suited to the specific site planned for harvest. 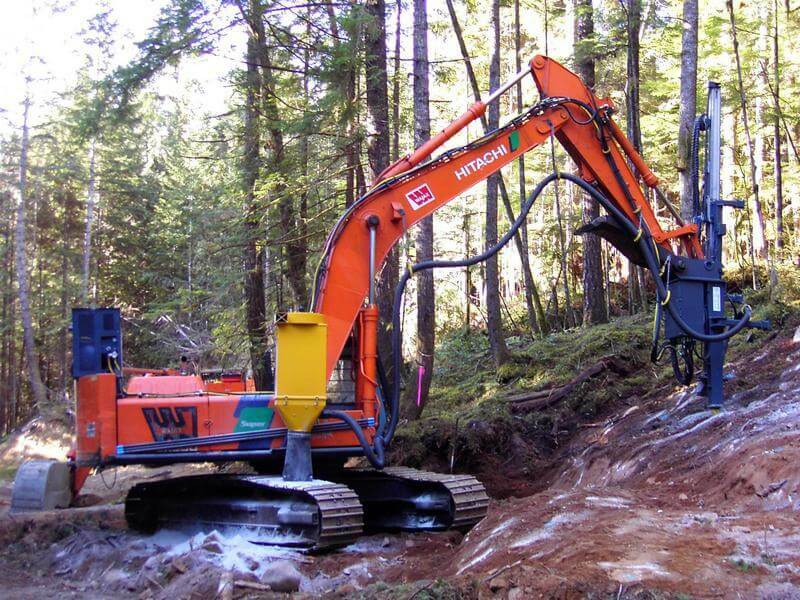 Most sites are planted the first spring following the completion of harvesting activities, ensuring the continual growth of trees on each cut block managed under A&A Trading’s cutting authority. 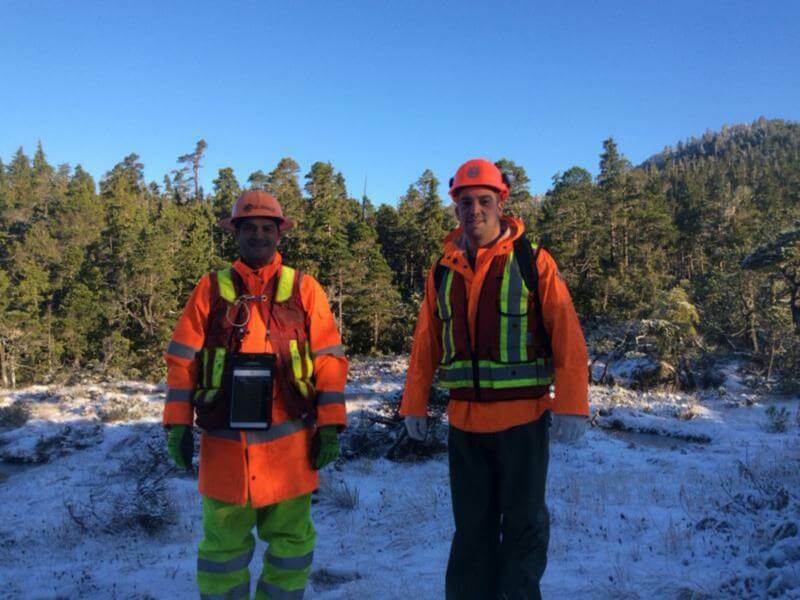 The silviculture foresters and their contractors manage the acquisition of appropriate seed, audit the seedlings at the nurseries to ensure the quality and supervise the planting of the seedlings by experienced tree planting crews. 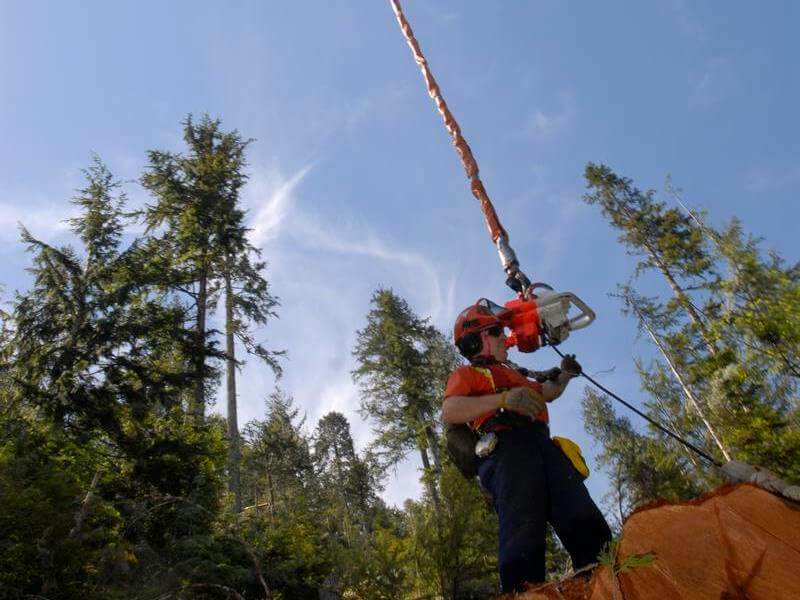 Surveys are scheduled and performed every few years to monitor seedling survival, brush competition, forest health and crop tree performance. 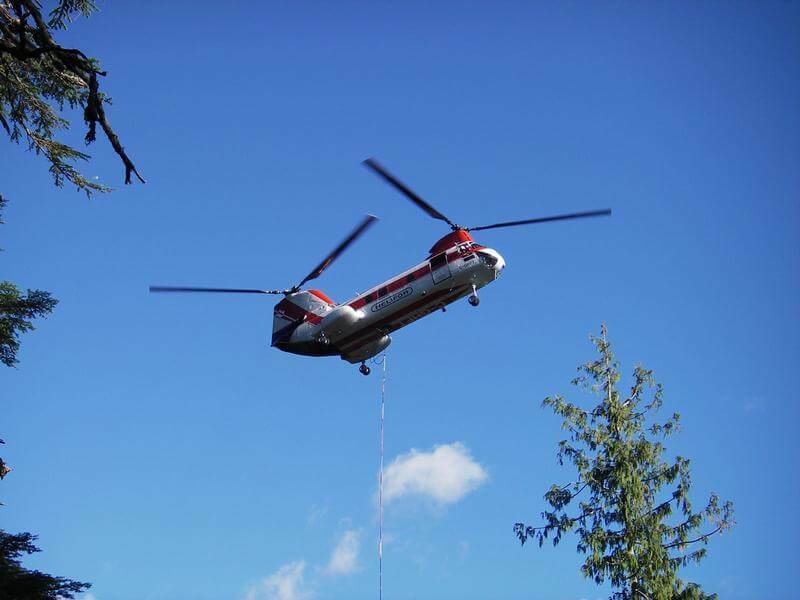 Vegetation management treatments are conducted where competitive species are impacting survival or crop tree performance. 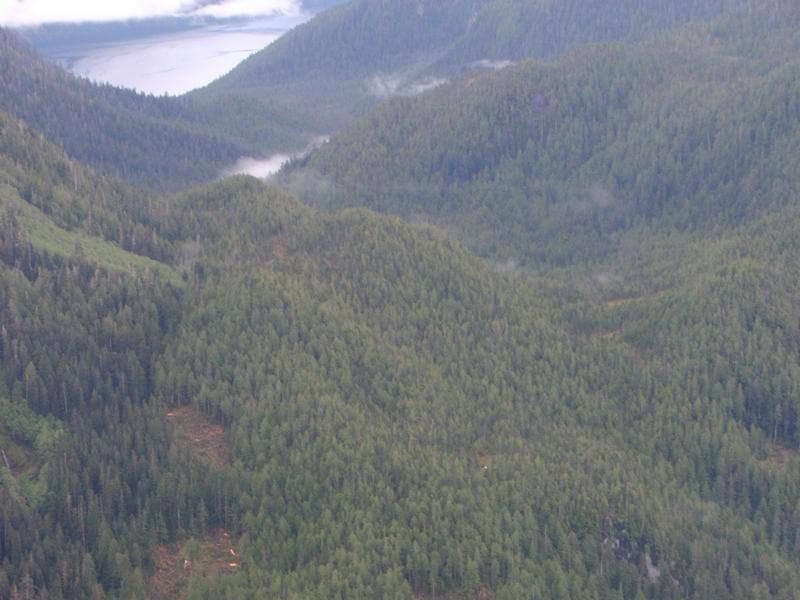 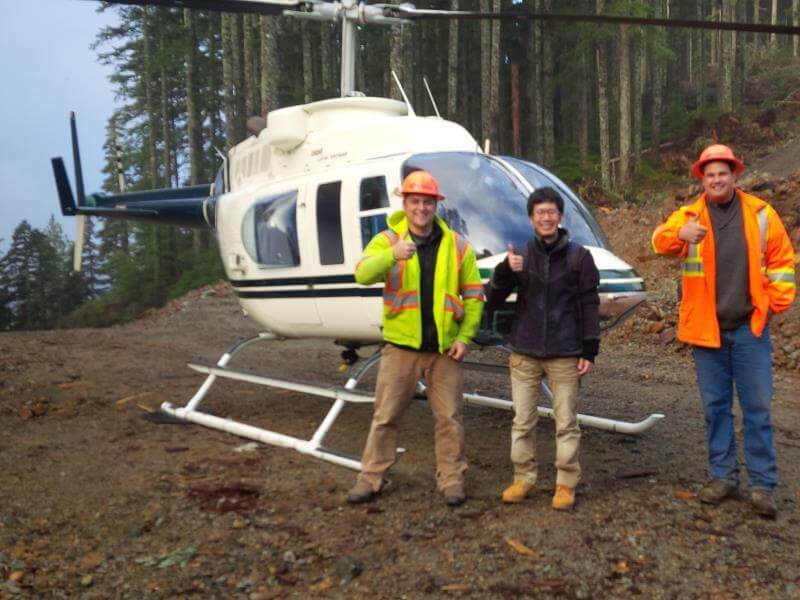 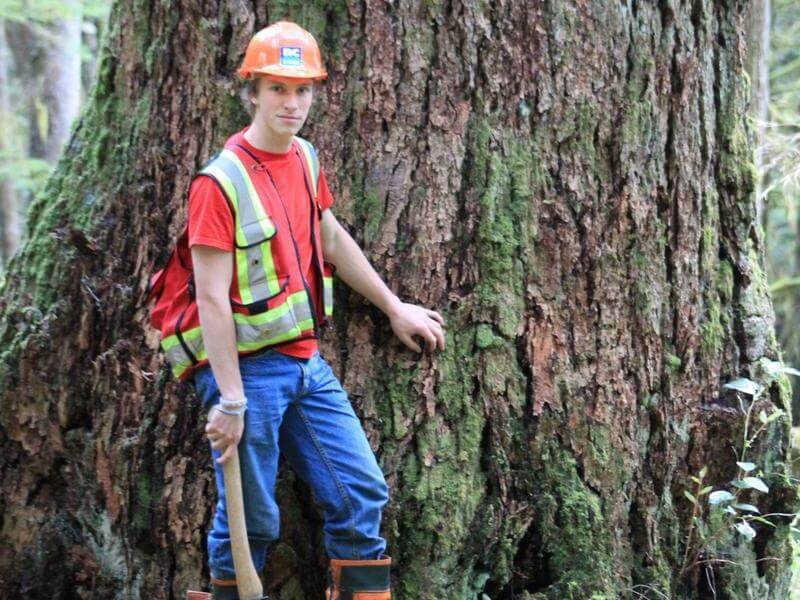 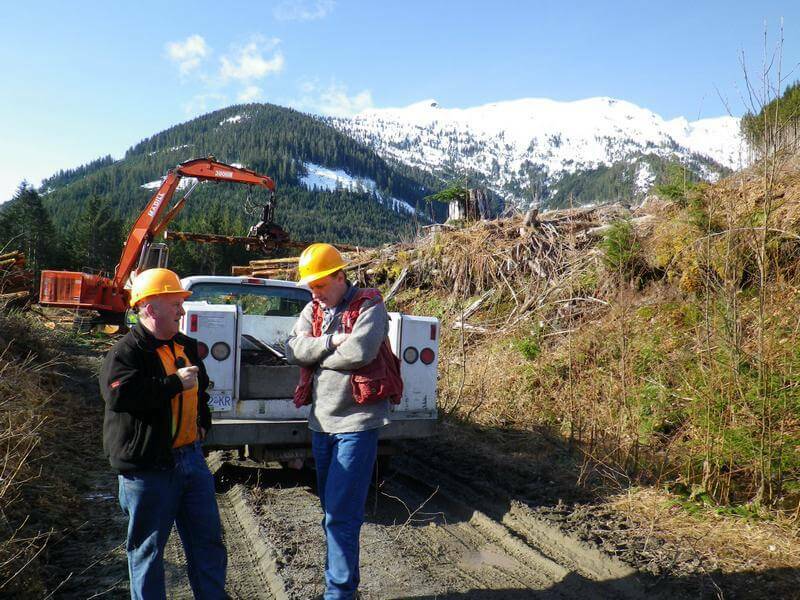 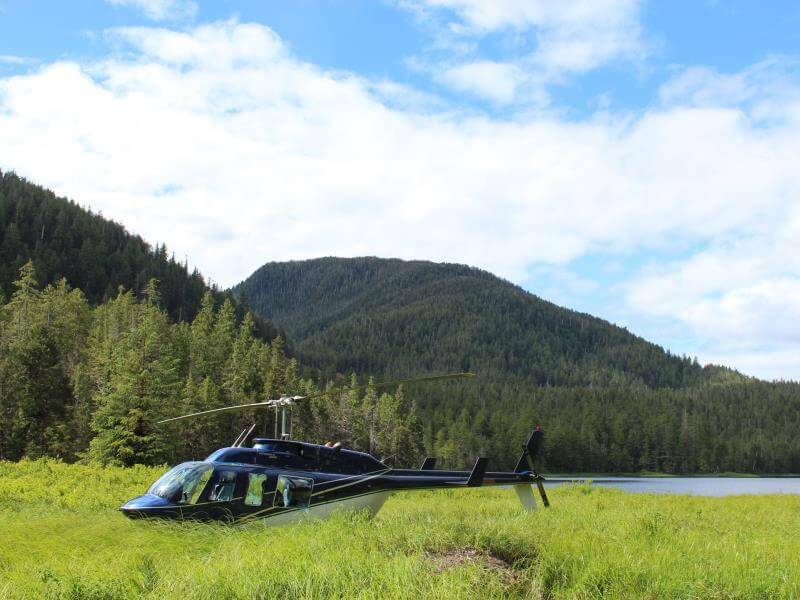 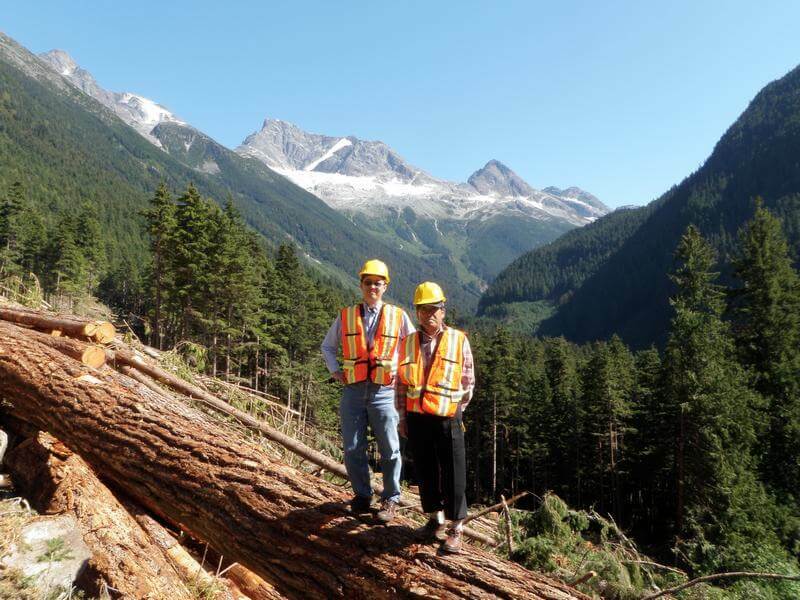 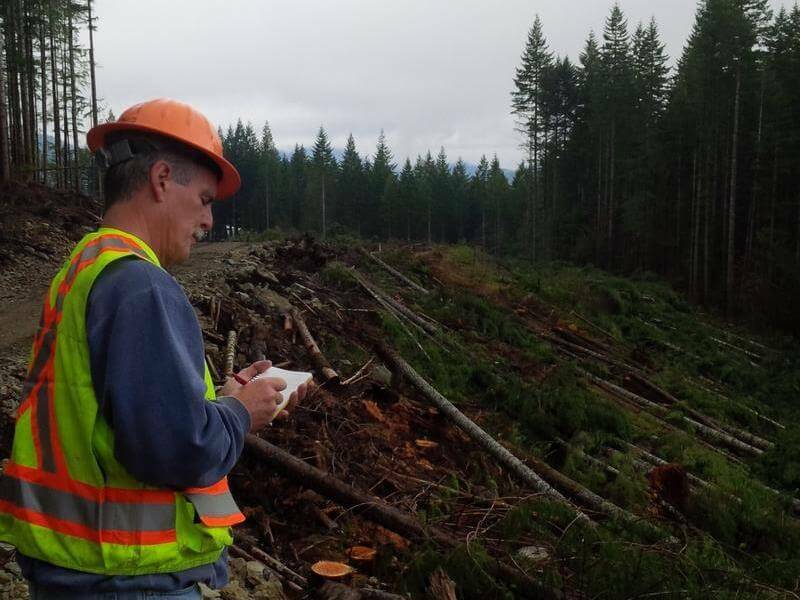 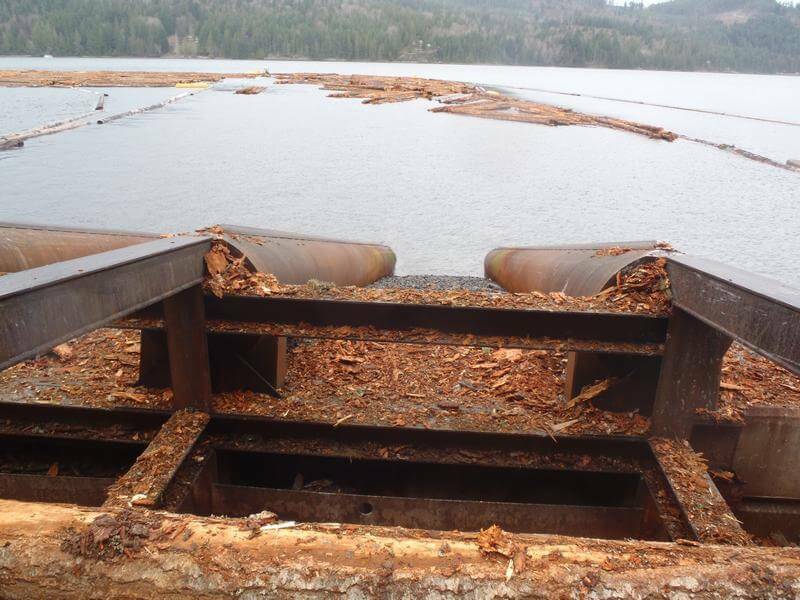 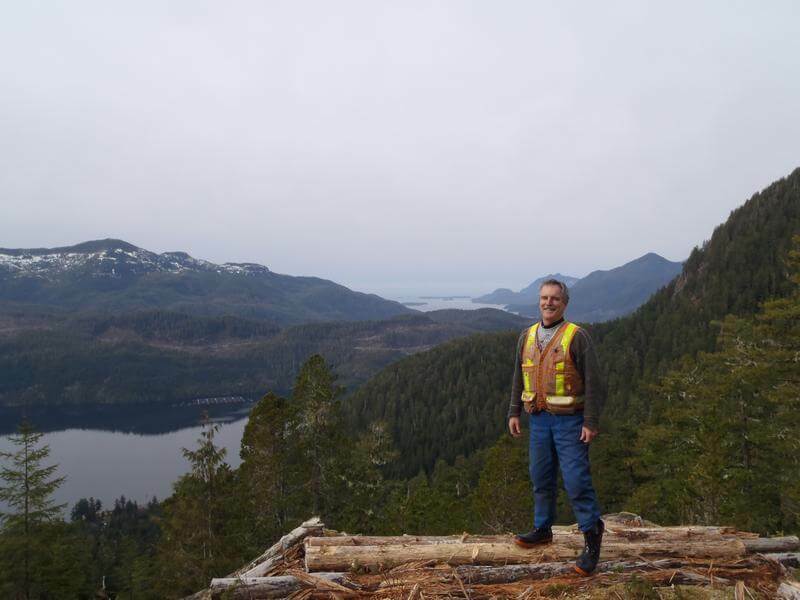 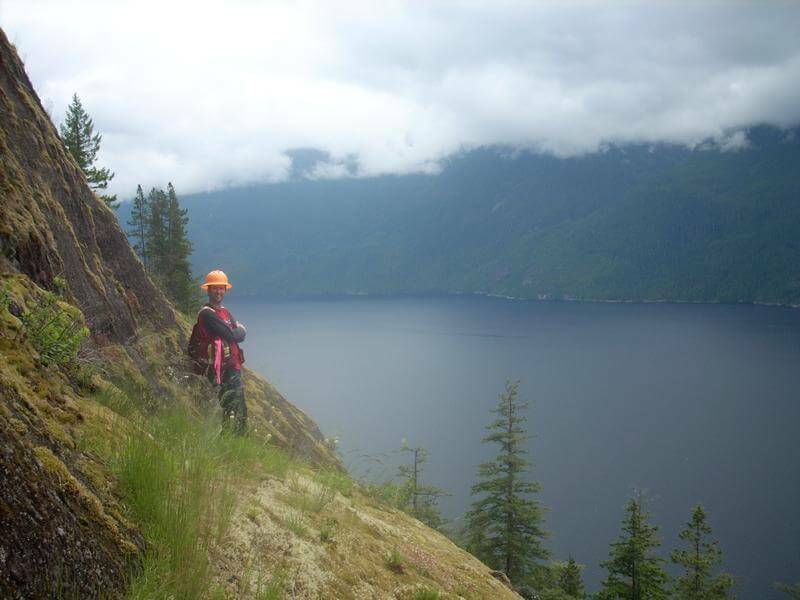 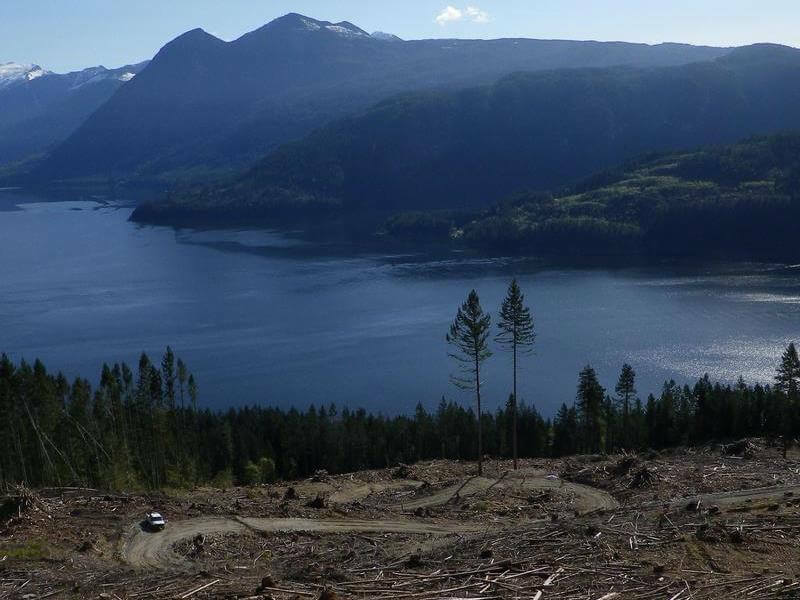 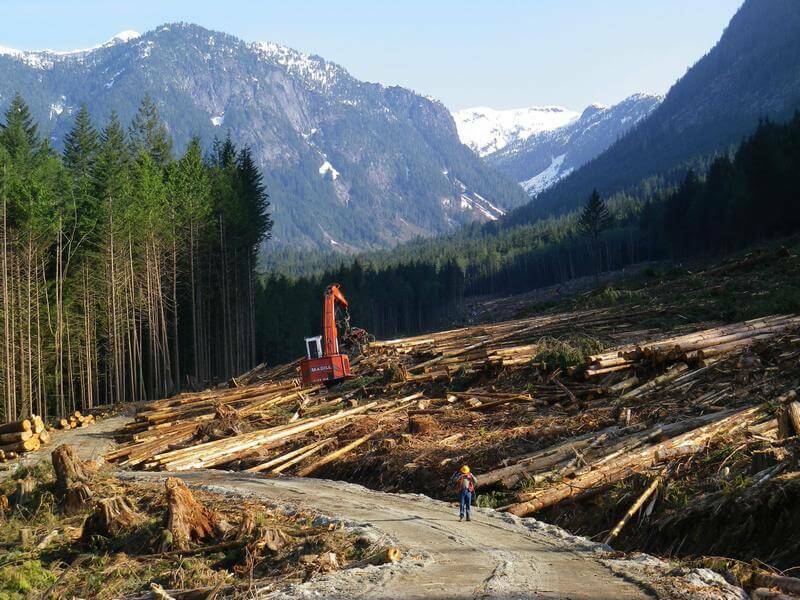 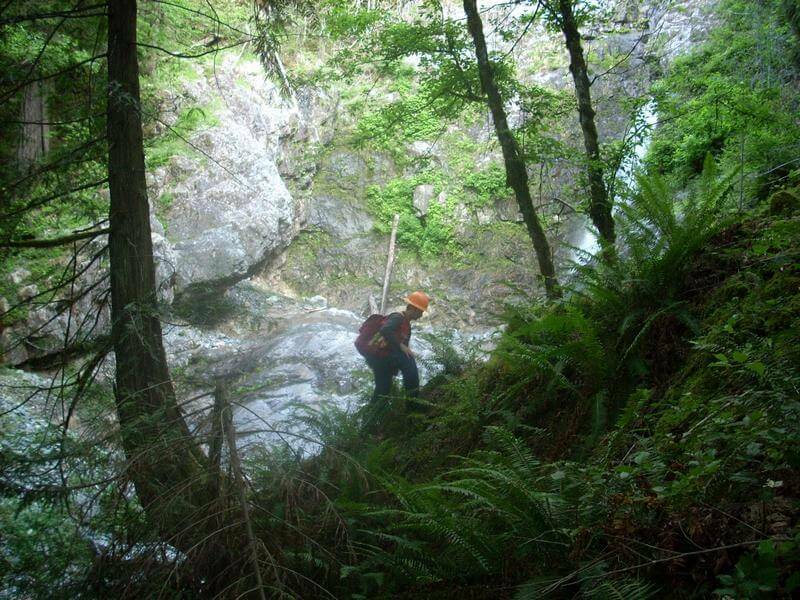 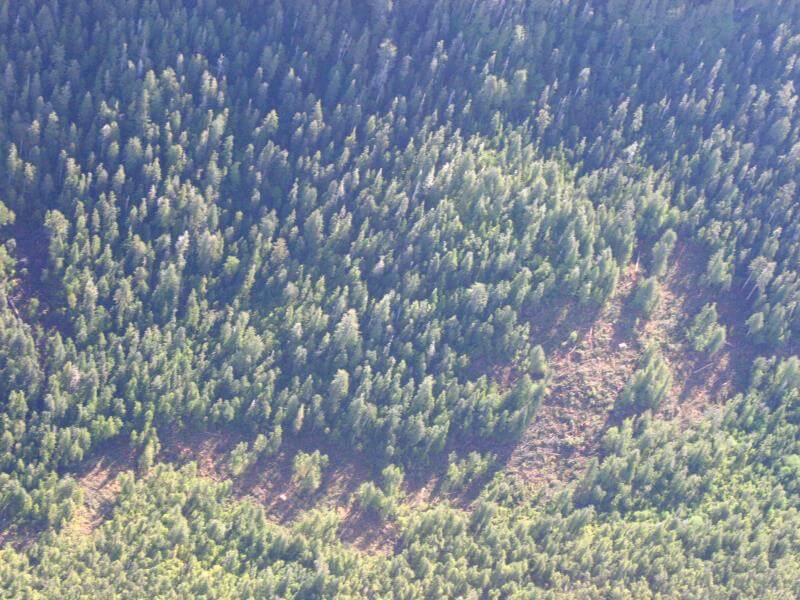 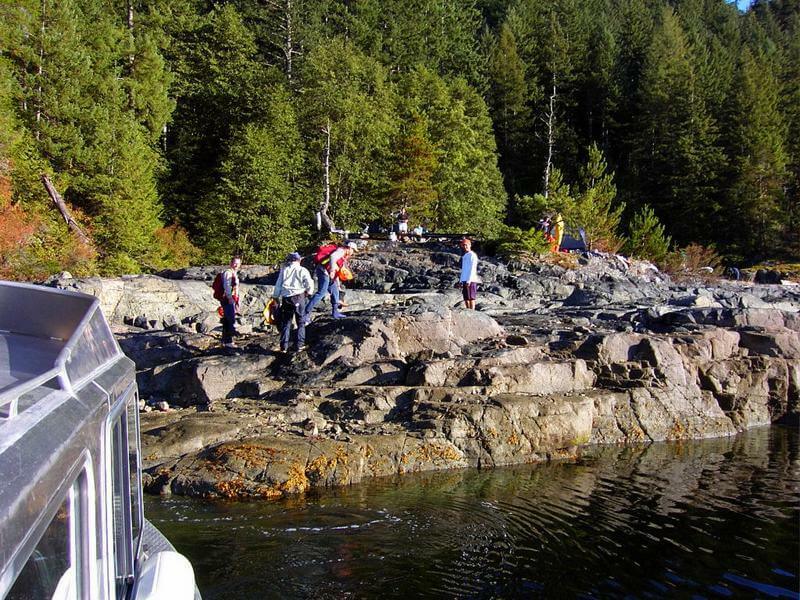 When the regenerating forest meets density and height requirements for the specific site, a final survey is conducted to collect information required to meet A&A Trading’s reforestation obligations. 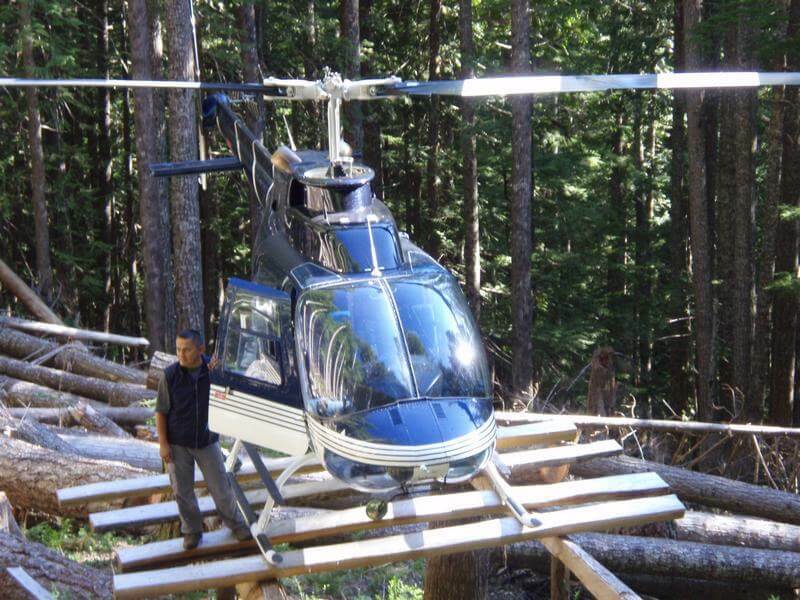 This is called a ‘Free Growing’ survey. 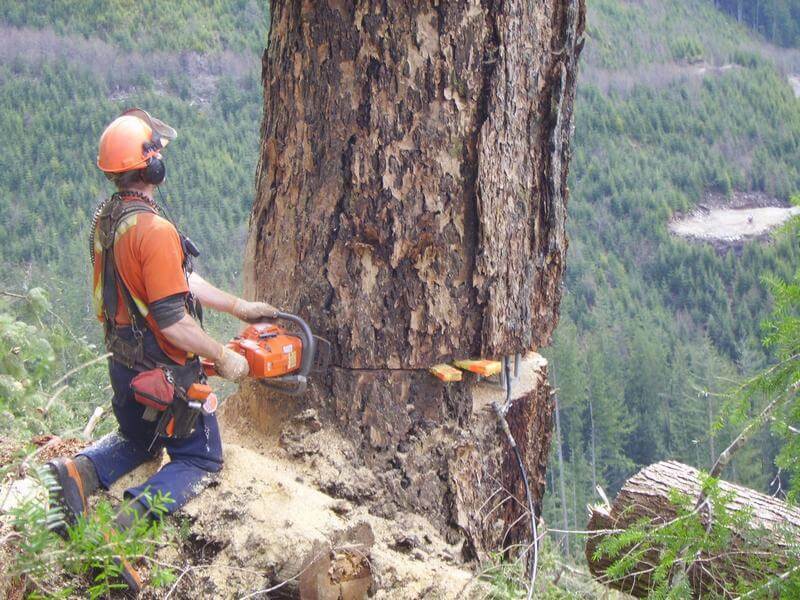 On average, it takes 10 to 12 years, from the commencement of harvesting activities to achieve a ‘Free Growing’ stand. 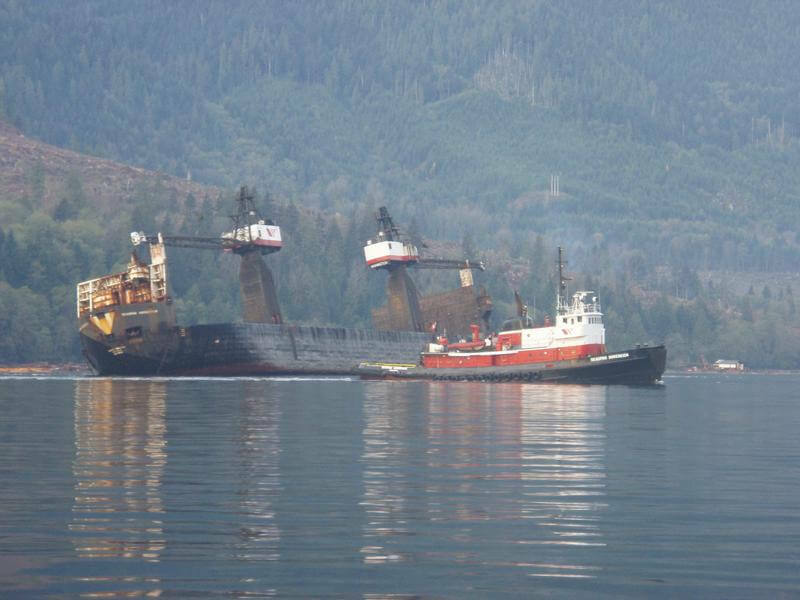 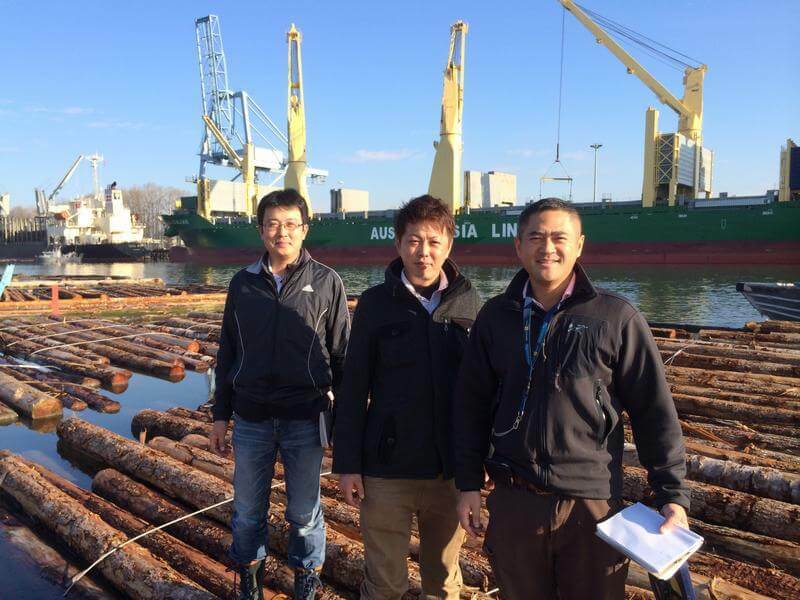 From the time of harvest, through to shipside and final delivery to our end customers, A&A Trading is focused on maximizing the value of the resource. 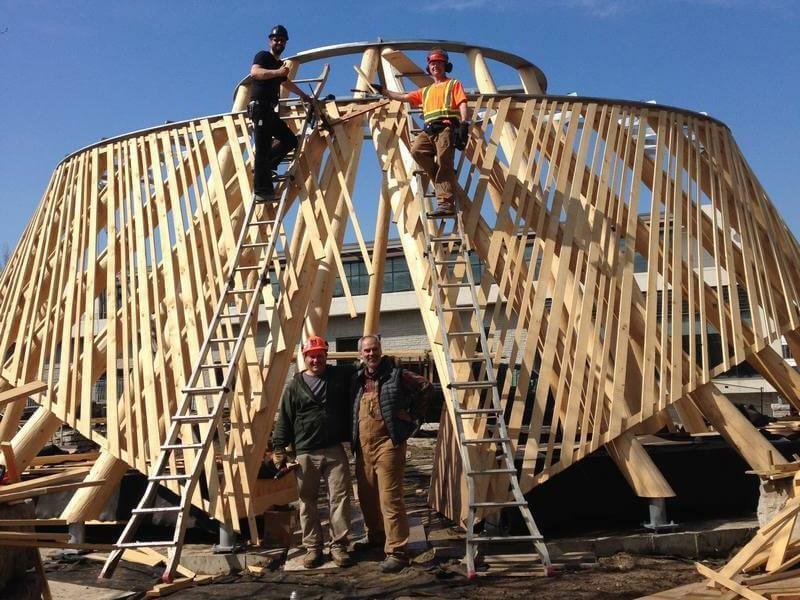 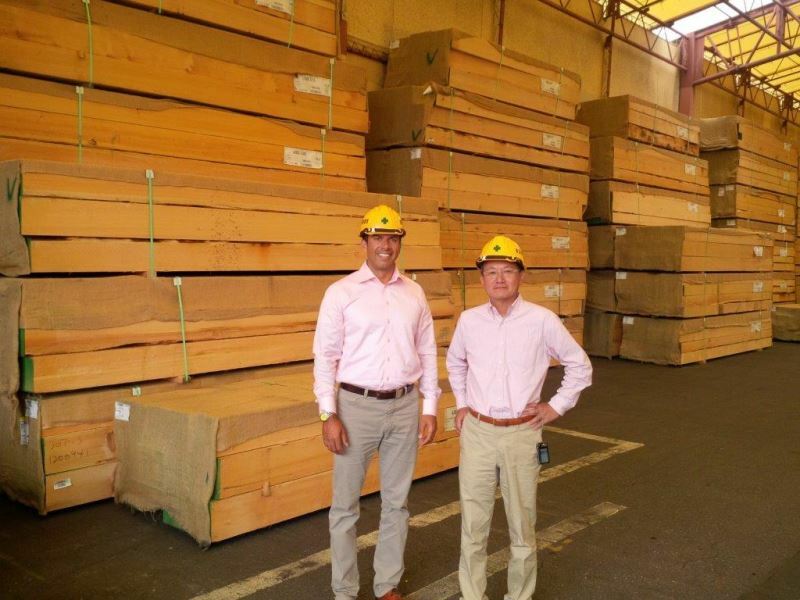 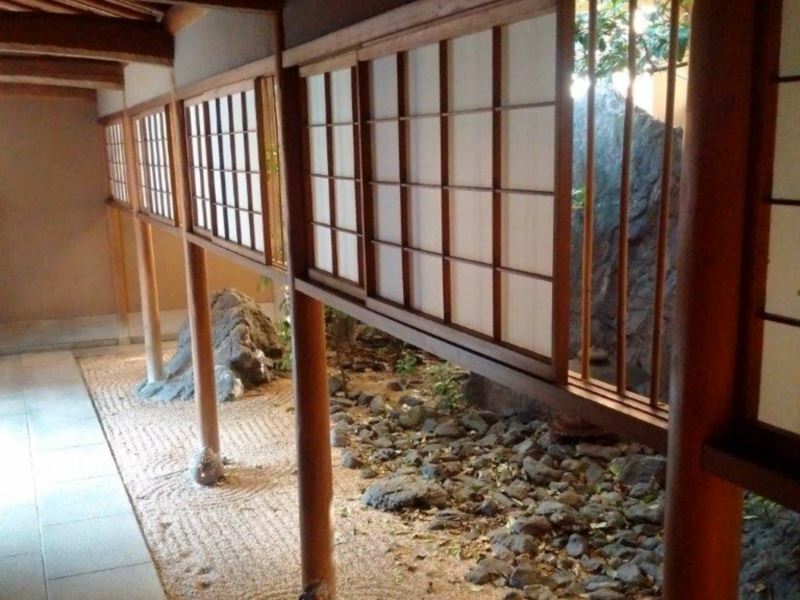 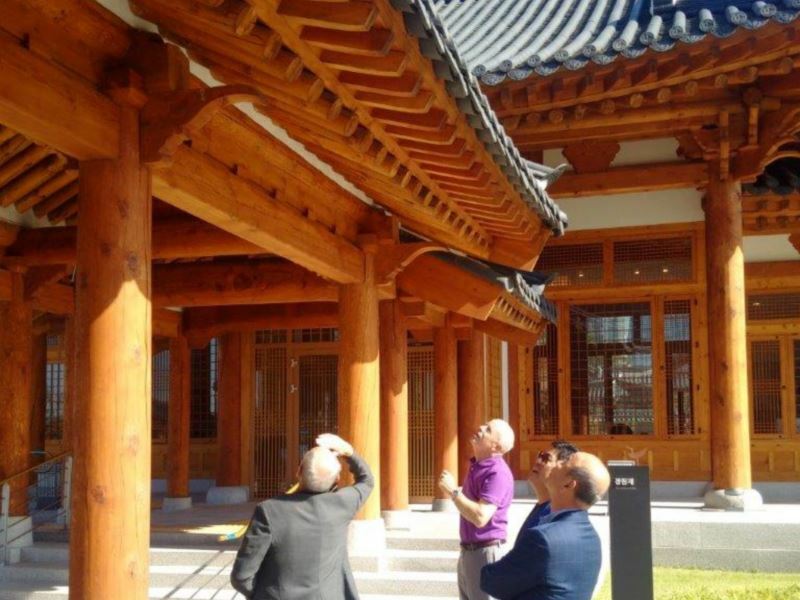 AT A&A TRADING, WE GO ABOVE AND BEYOND TO CONNECT THE RIGHT WOOD TO THE RIGHT CLIENT. 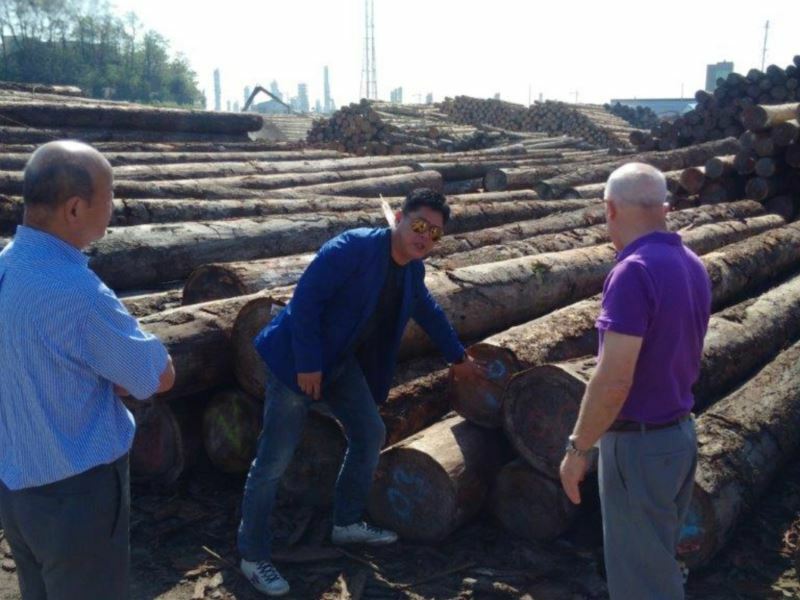 A&A Trading has built strong, quality, long term relationships. 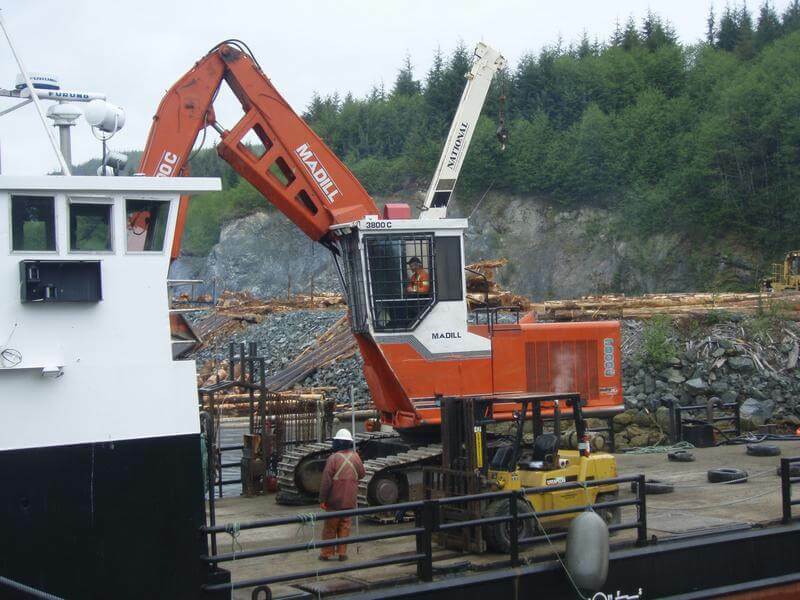 Many of our clients having been working with us for over thirty years. 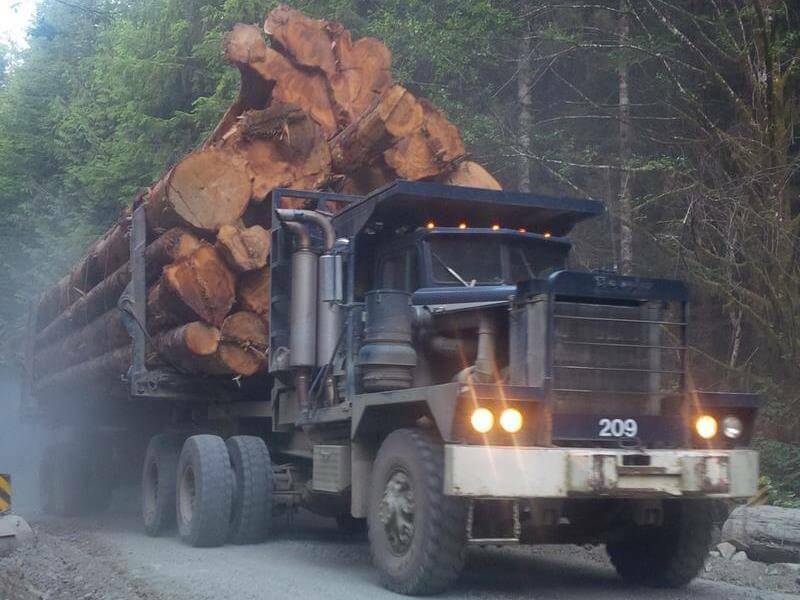 Our marketing starts in the woods where we begin a steady interaction between the harvesting crew, transportation and logistics crew and the marketing team to ensure the harvest is completed and the wood is processed to meet delivery dates for our clients. 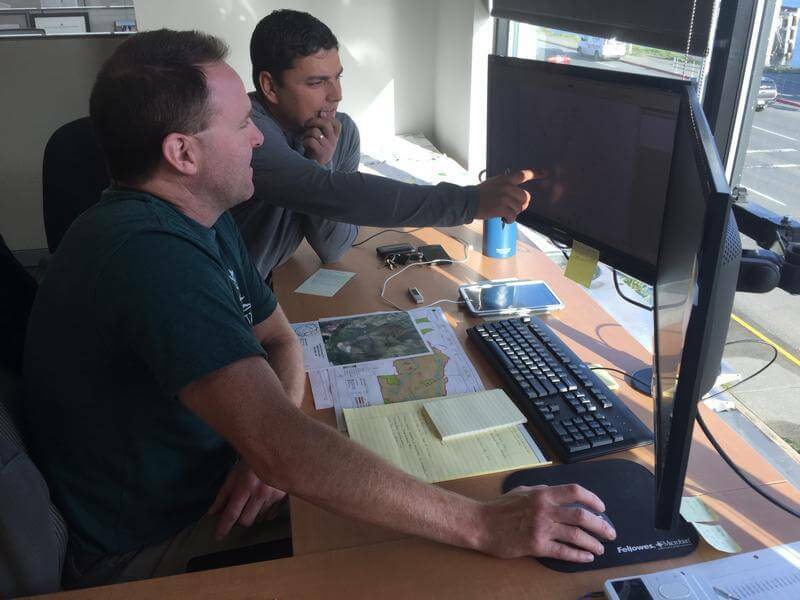 Our integrated approach is driven by market determination, the needs of our clients, the species they require, harvest timing and well organized logistics. 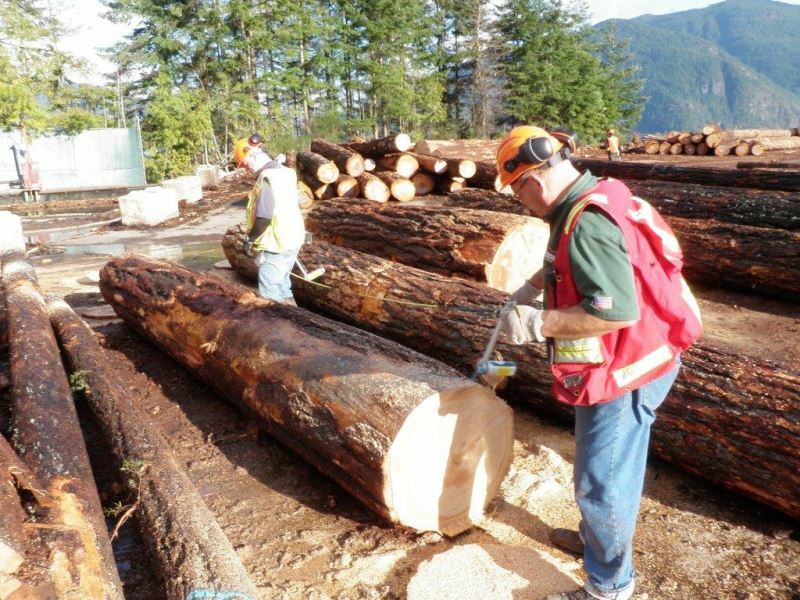 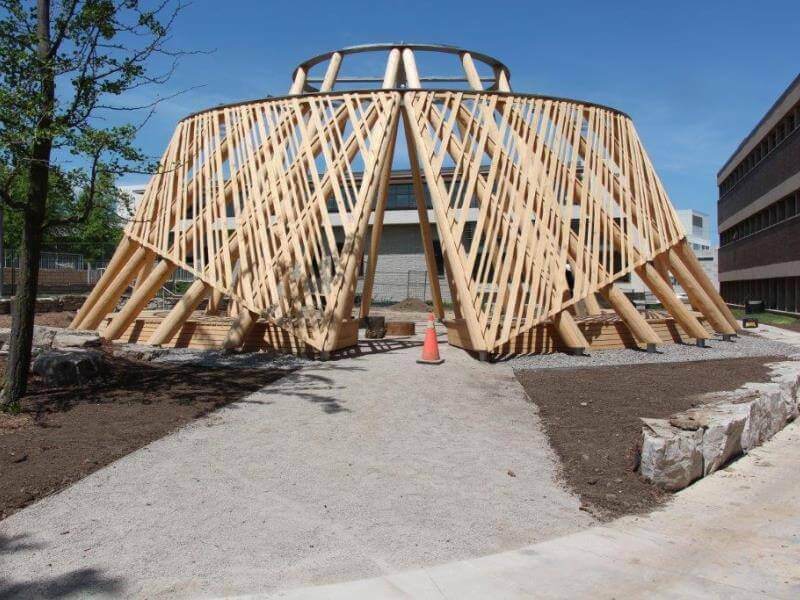 We match timber to the right client and consistently have a home for all species and sorts; from the lowest grade, to the highest grade specialty timber, we service our partners and clients harmoniously. 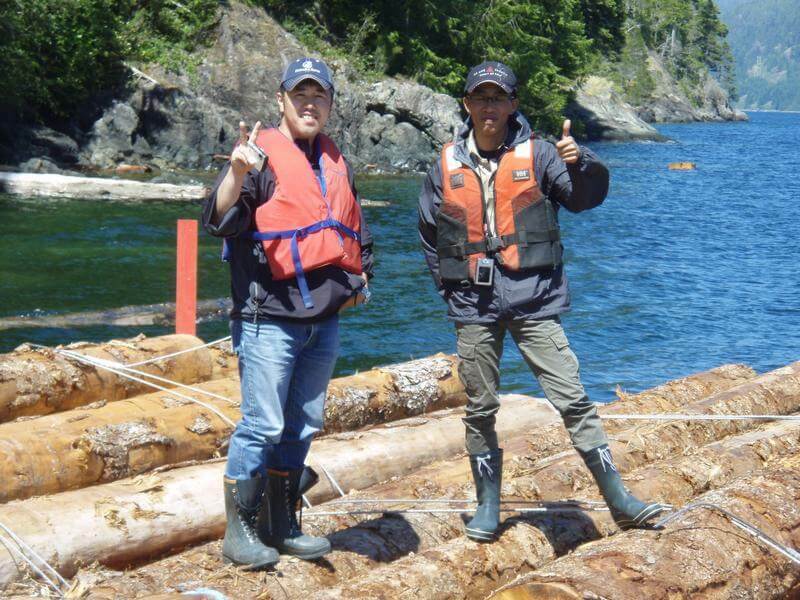 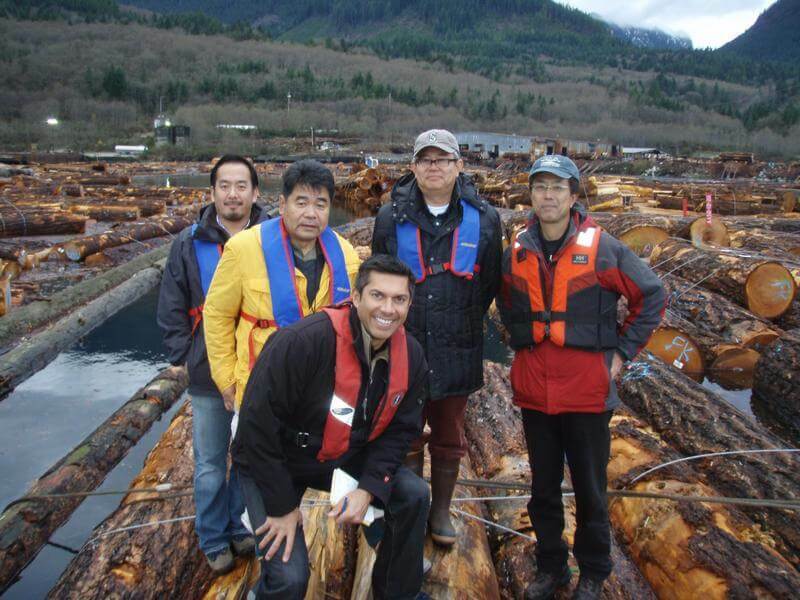 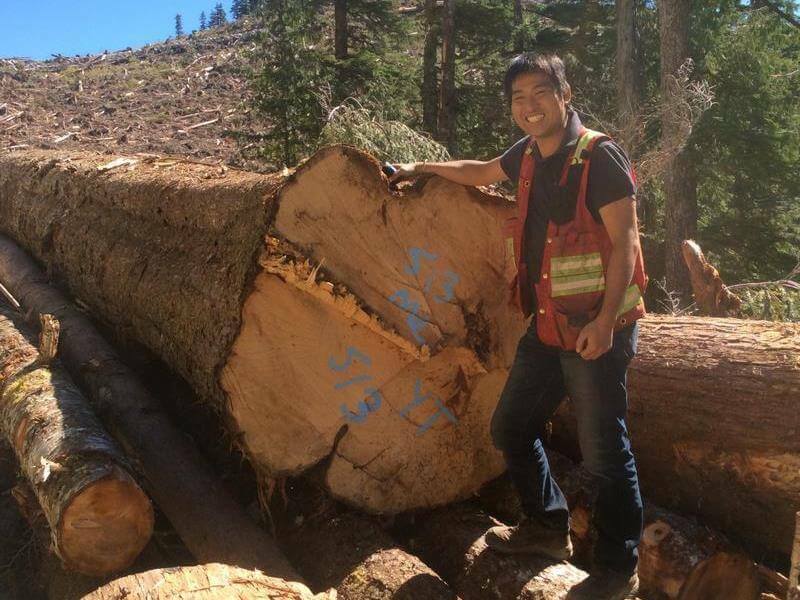 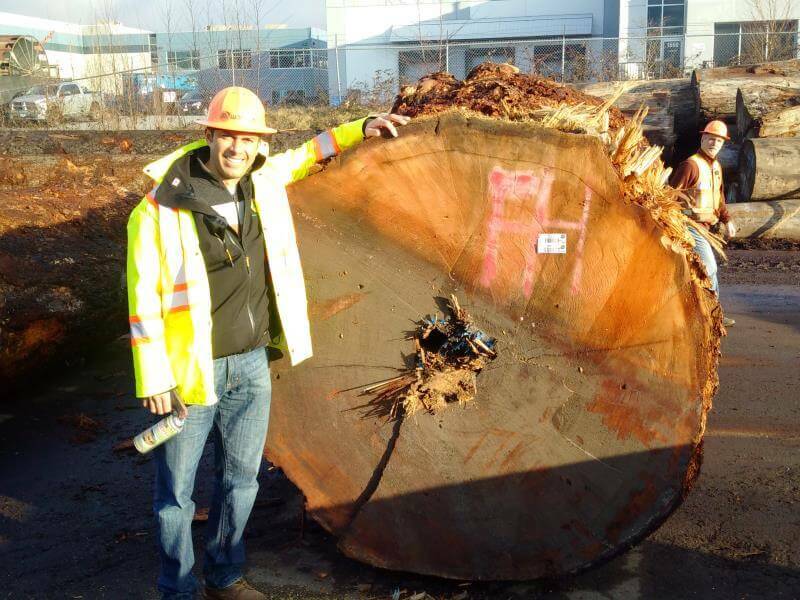 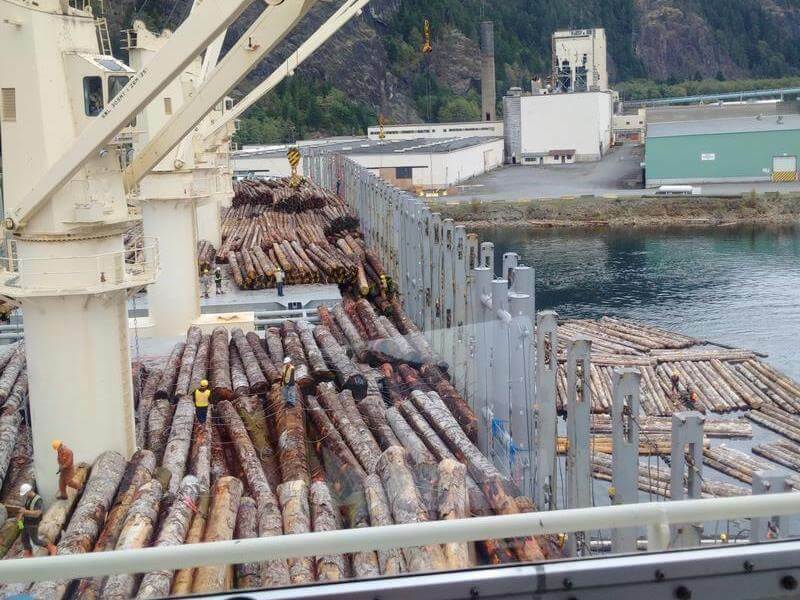 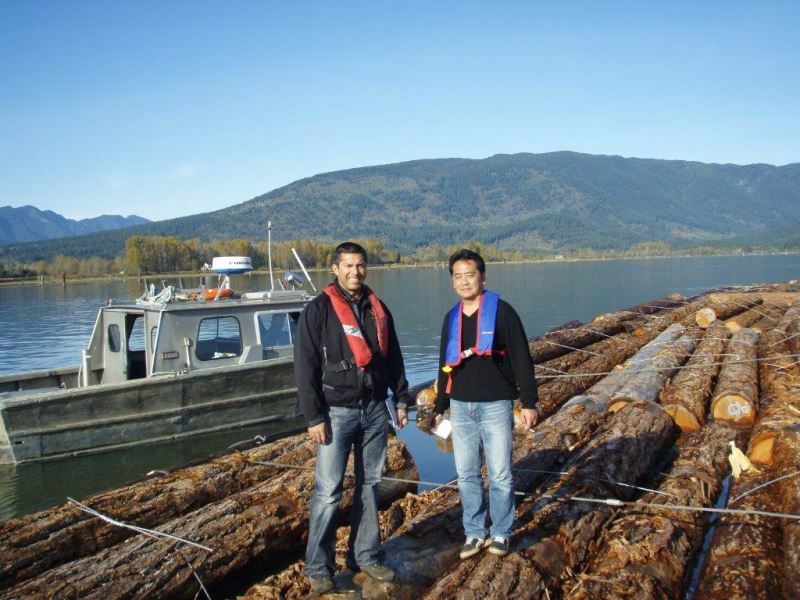 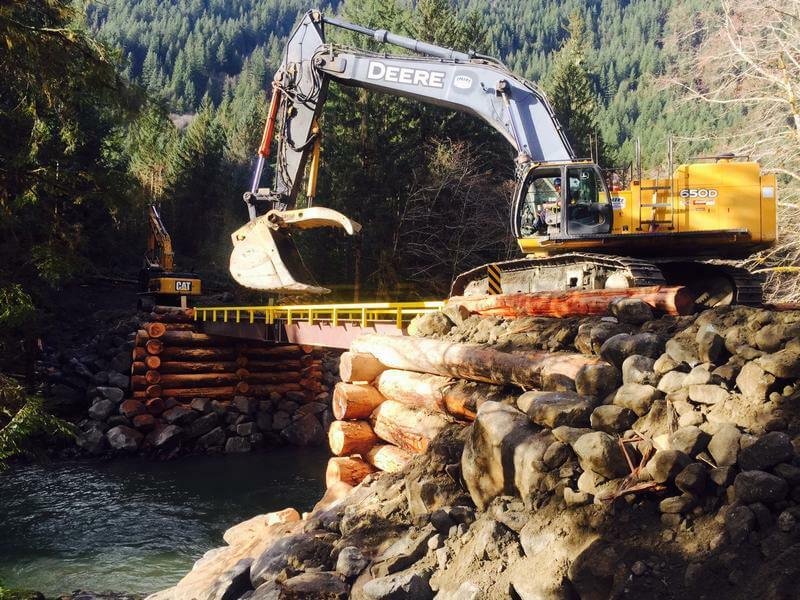 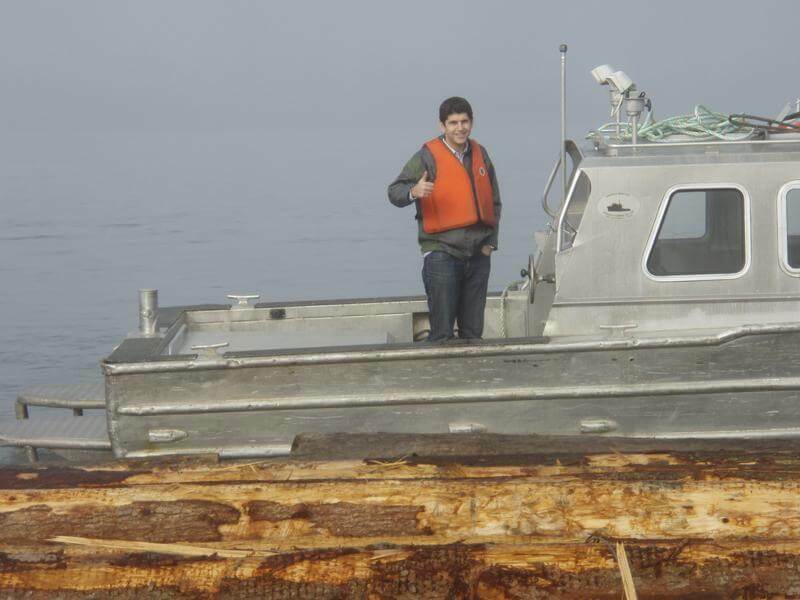 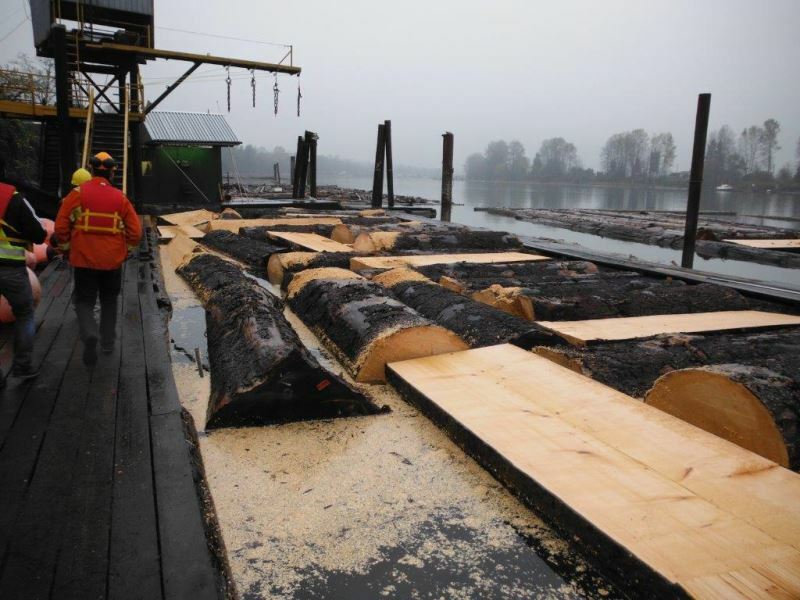 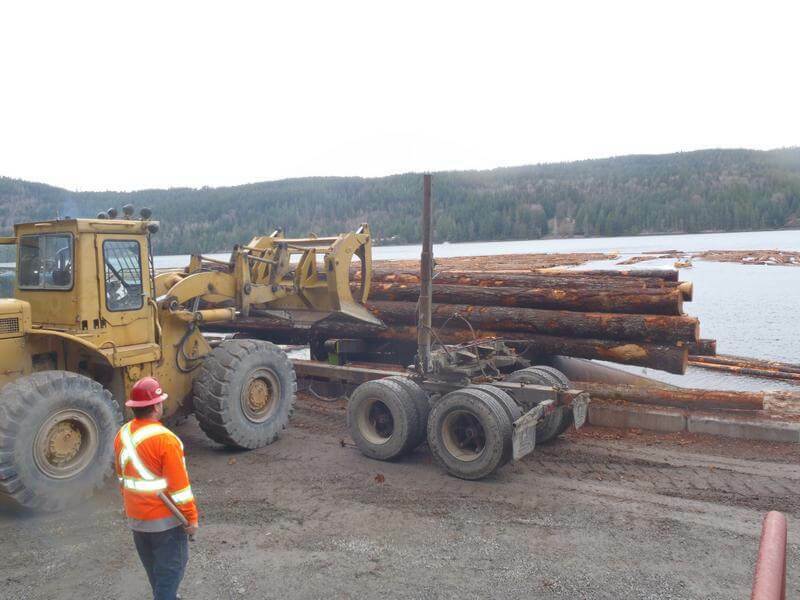 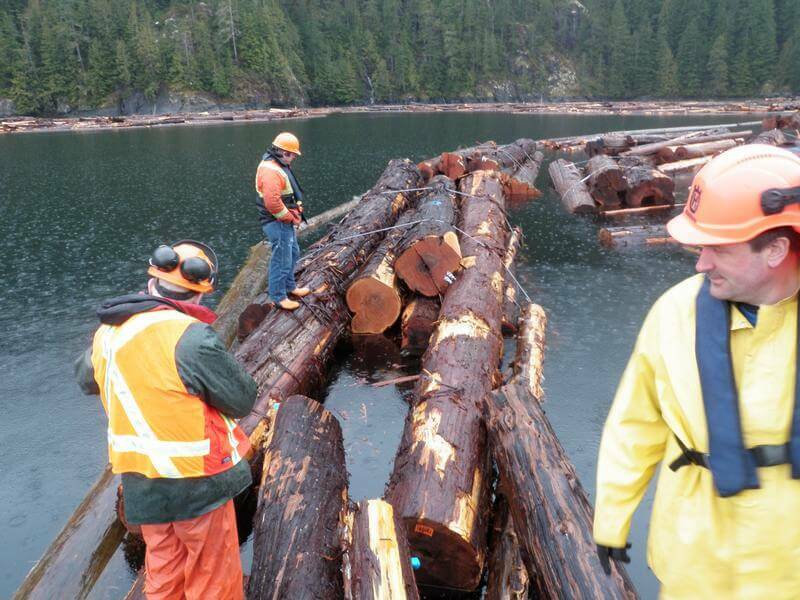 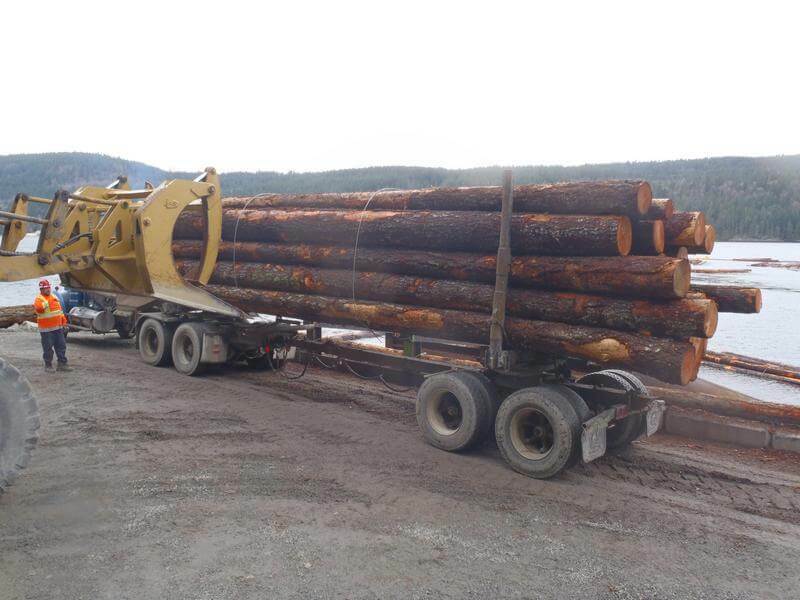 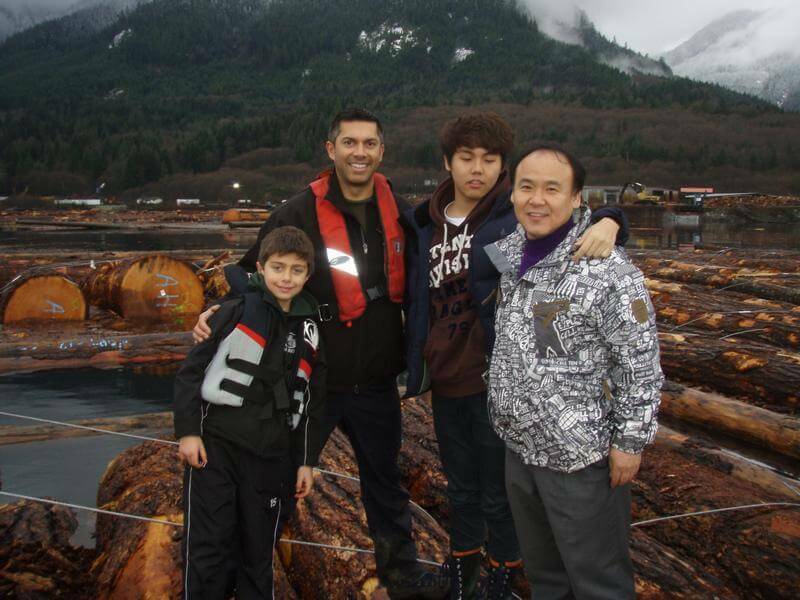 Our transportation and logistics team works with our clients, marketing group and quality control in the field, to ensure that logs are moved in the safest and most cost effective manner. 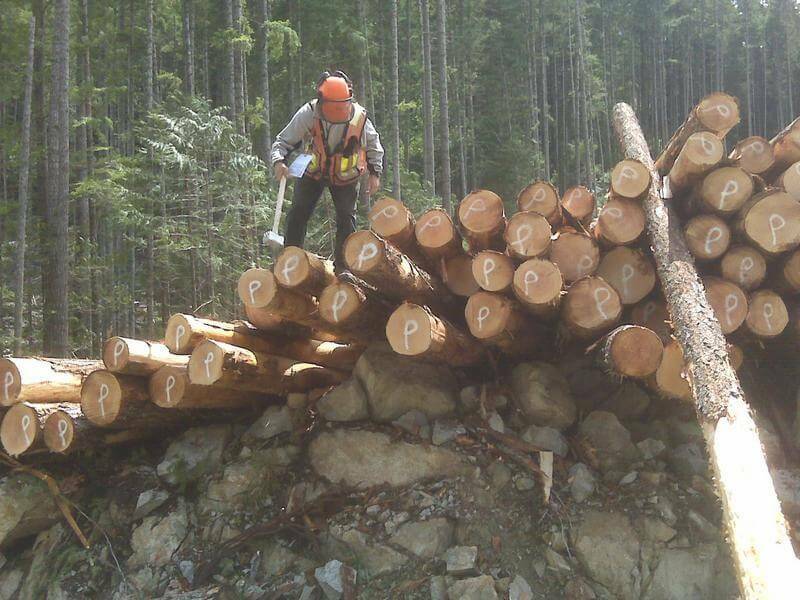 We consider the needs of our clients at every step. 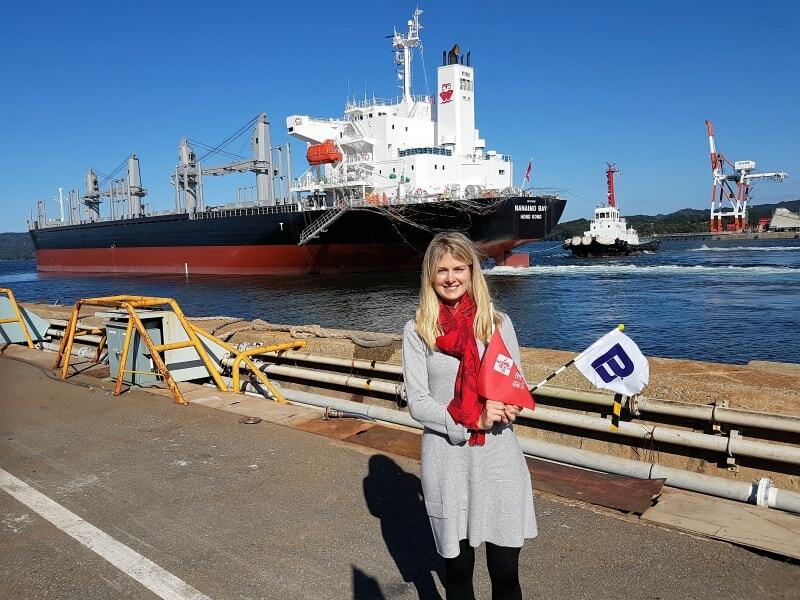 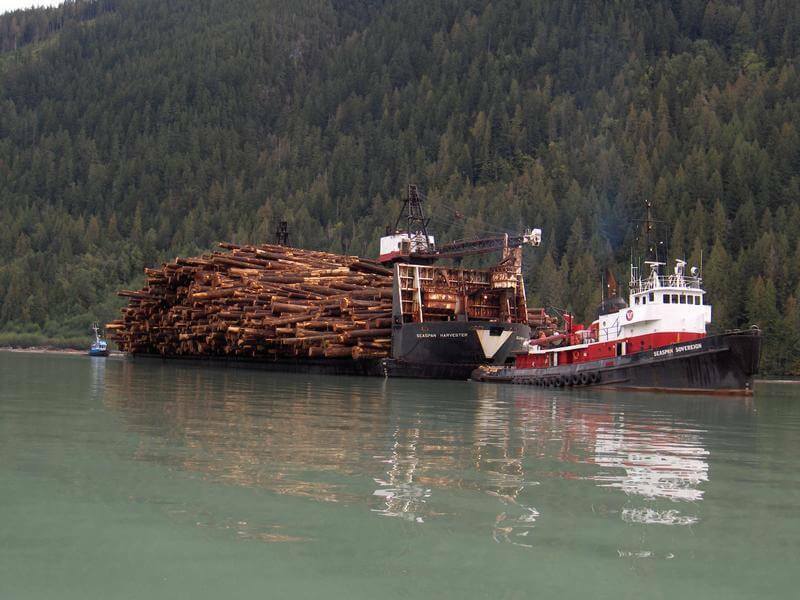 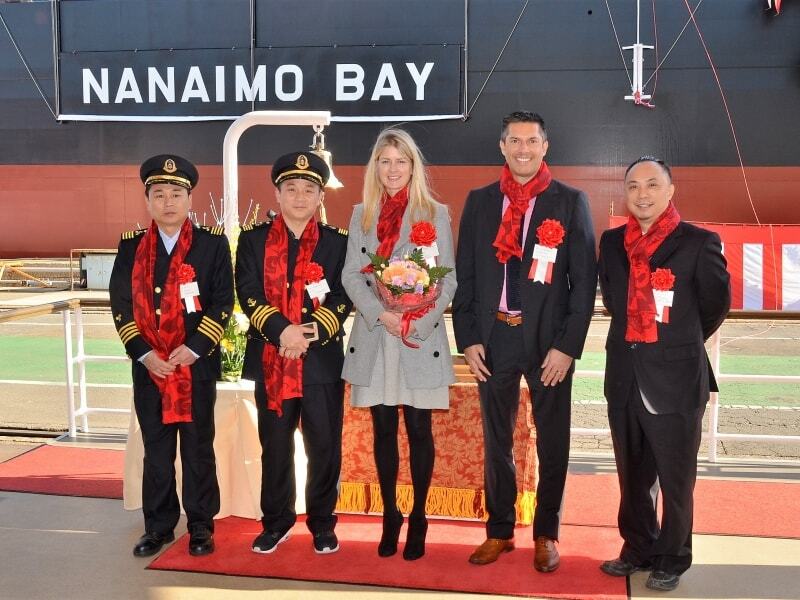 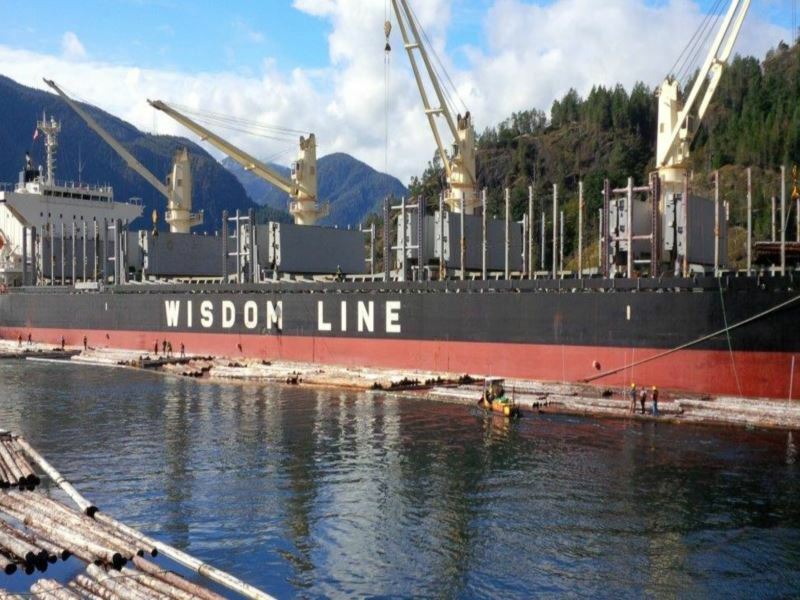 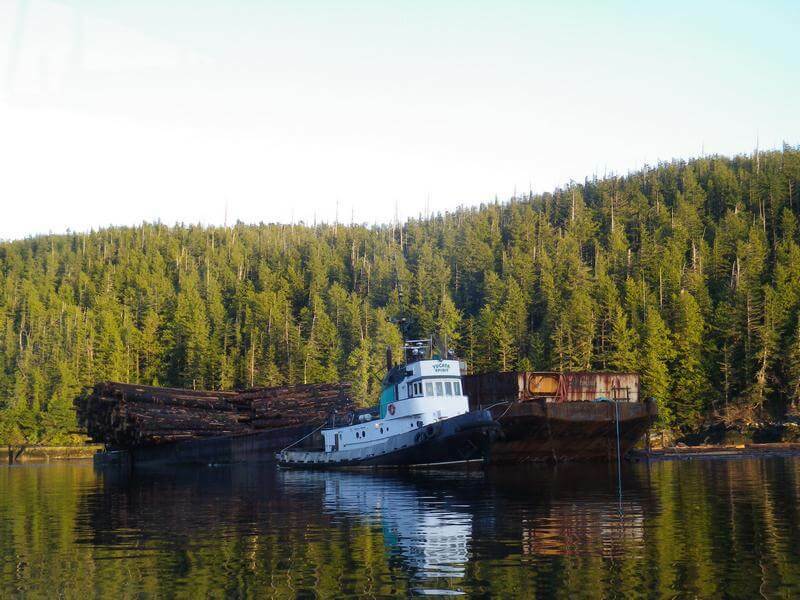 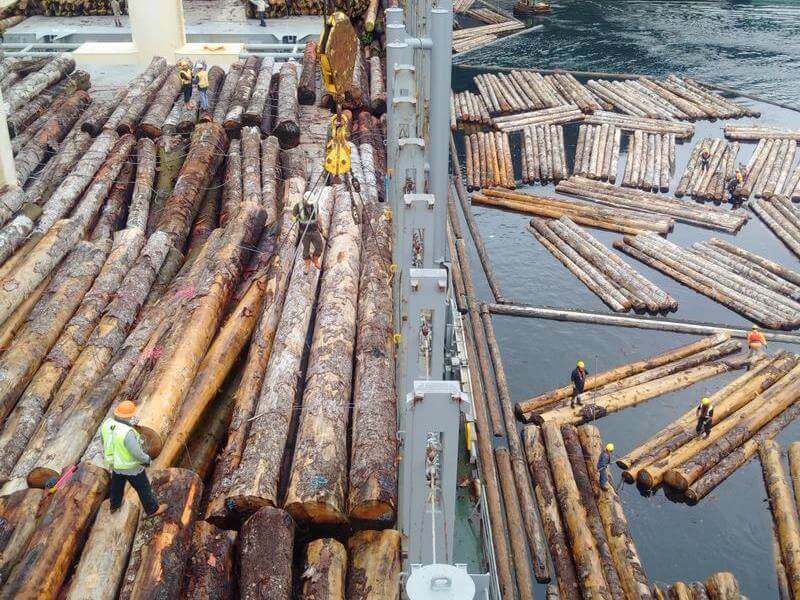 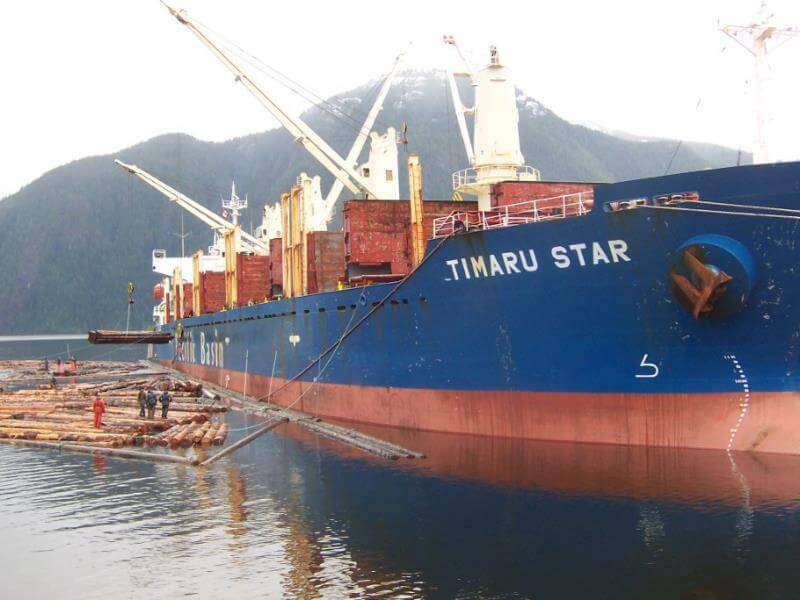 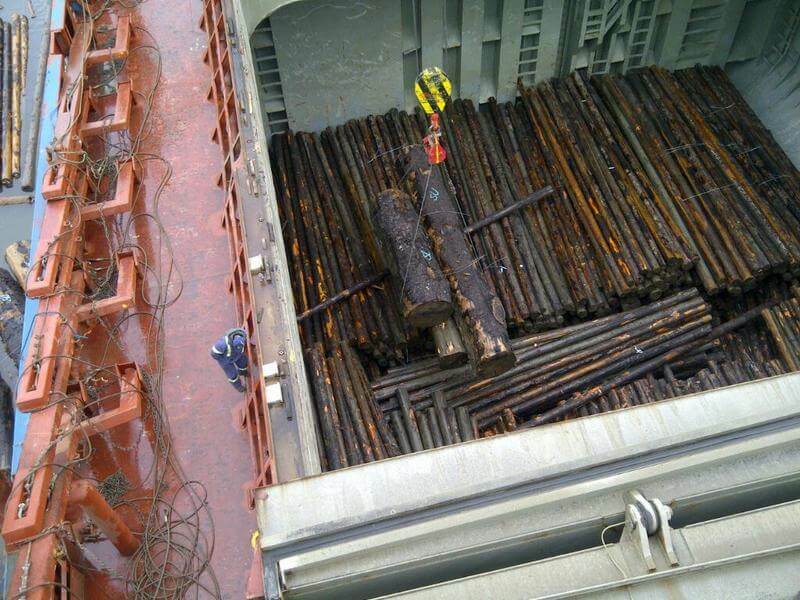 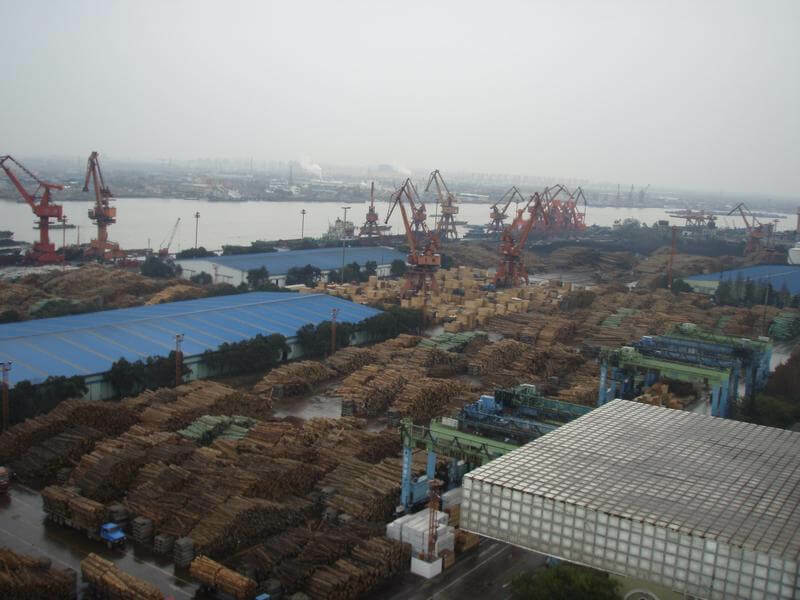 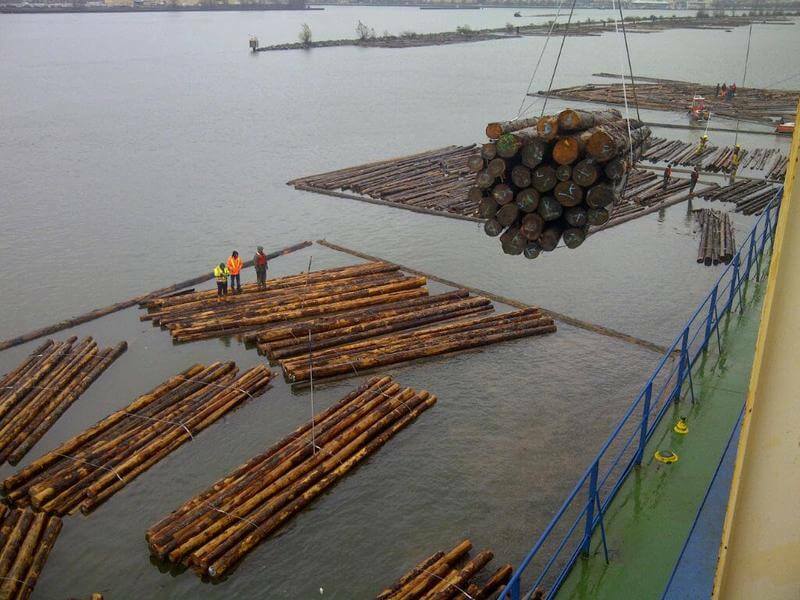 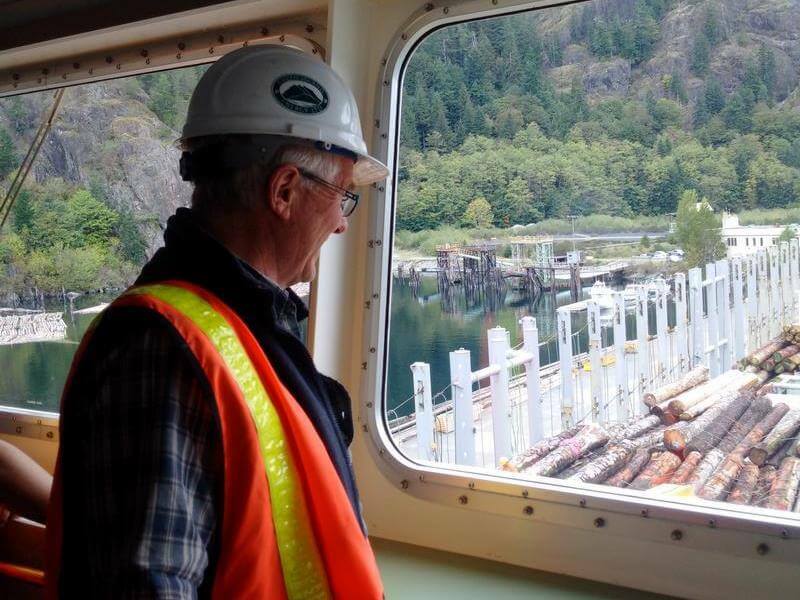 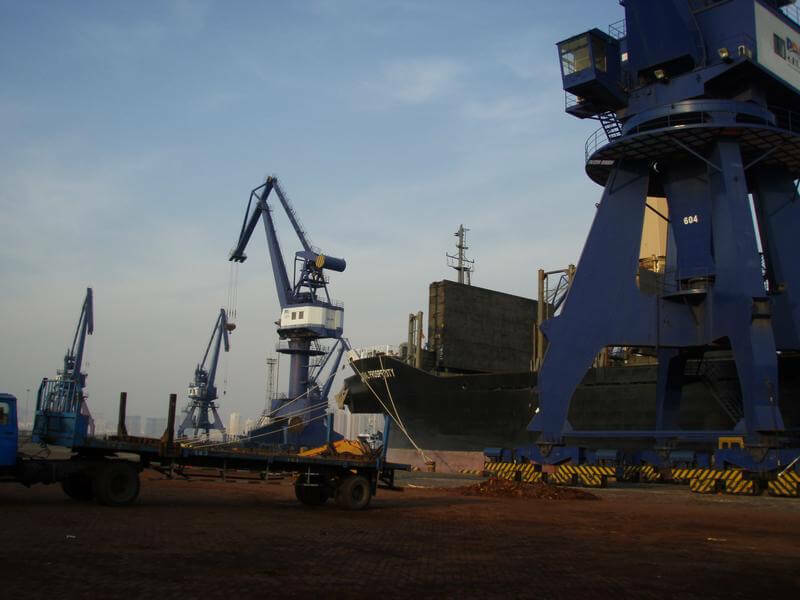 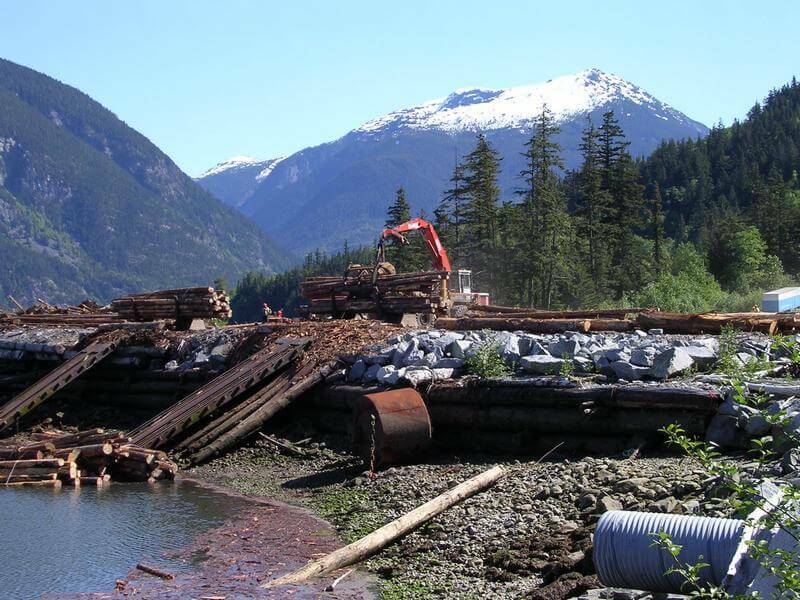 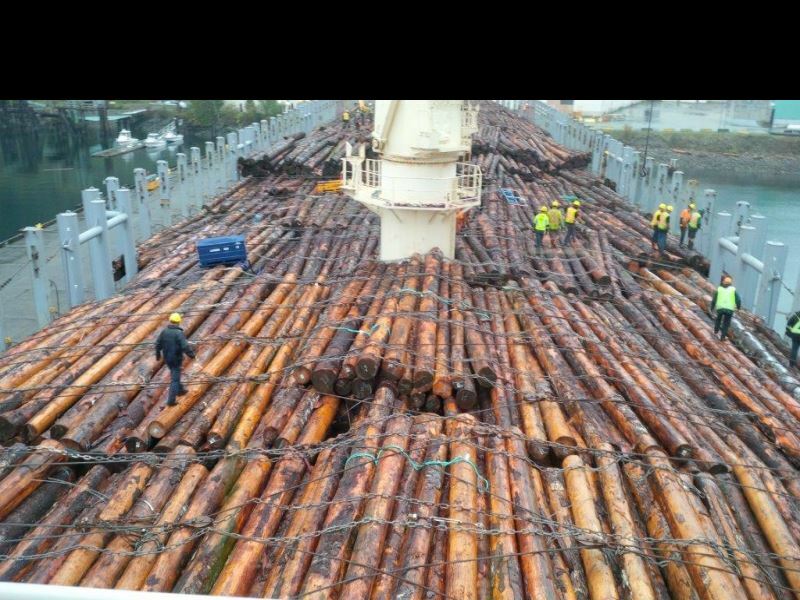 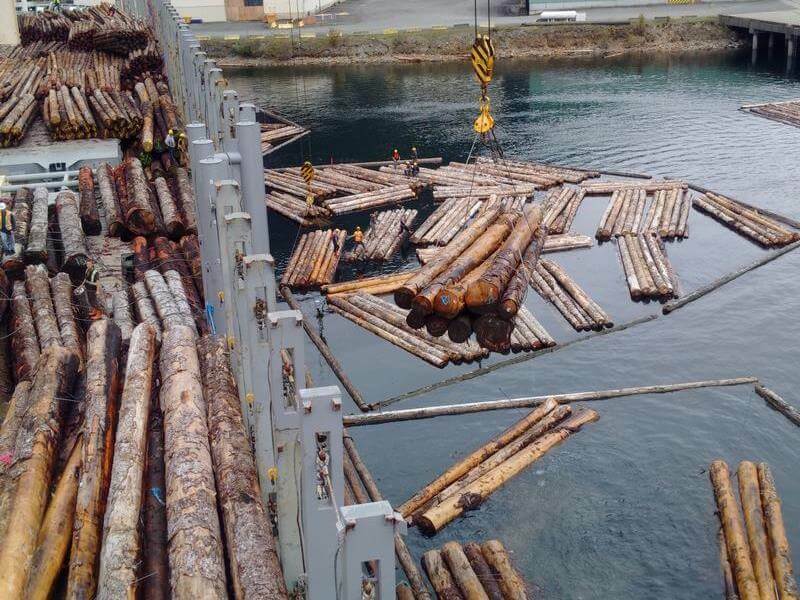 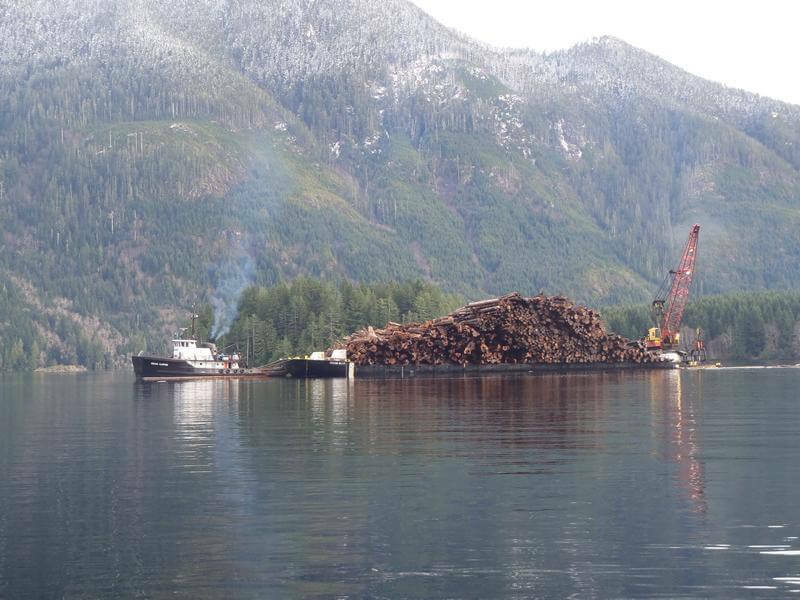 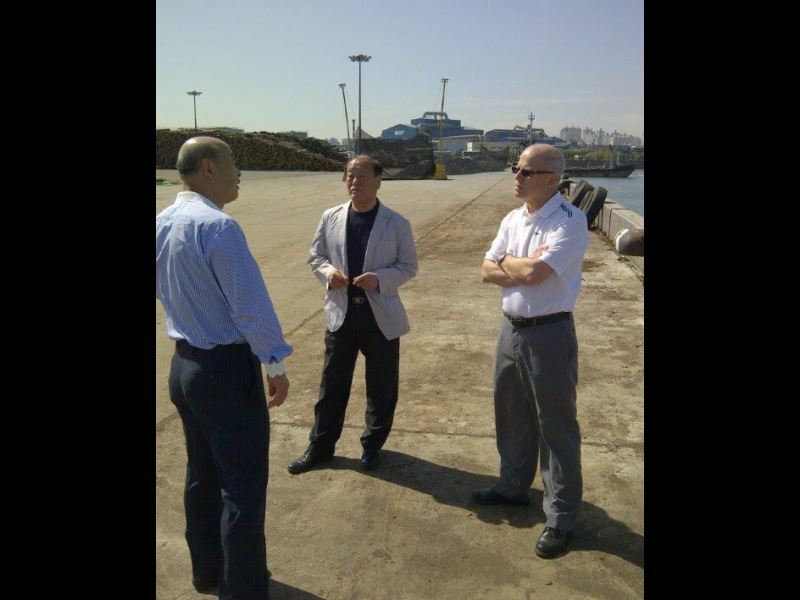 They coordinate all aspects of transportation from barging and towing from remote areas; to ship and container loading—all to ensure that the wood arrives seamlessly at its final destination.